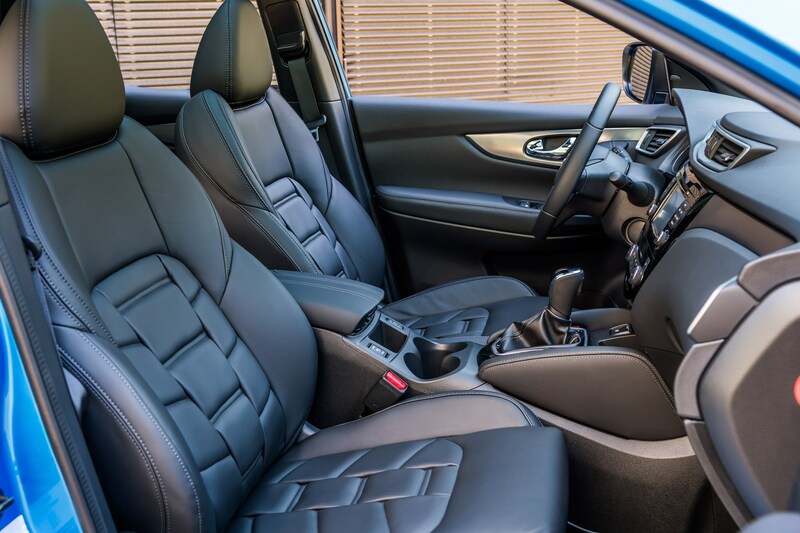 Insurance group: 13 - 21 How much is it to insure? 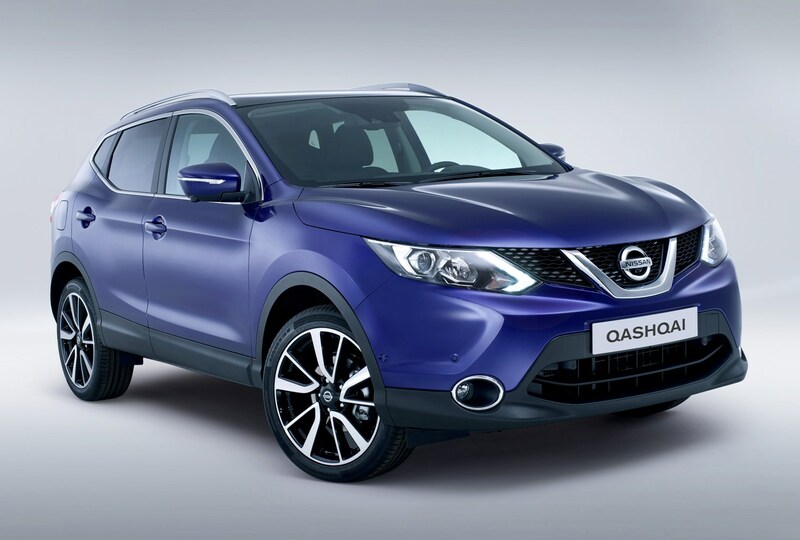 The Nissan Qashqai defined the crossover/small SUV class when it first debuted in 2007, and is now in its second generation. 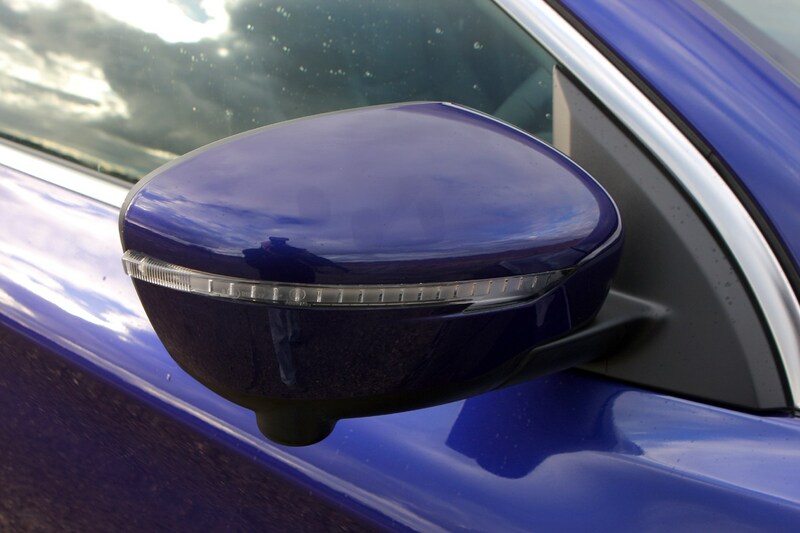 It's been such a success that it's frequently found on top 10 bestselling lists in the UK, and you really do see them everywhere. 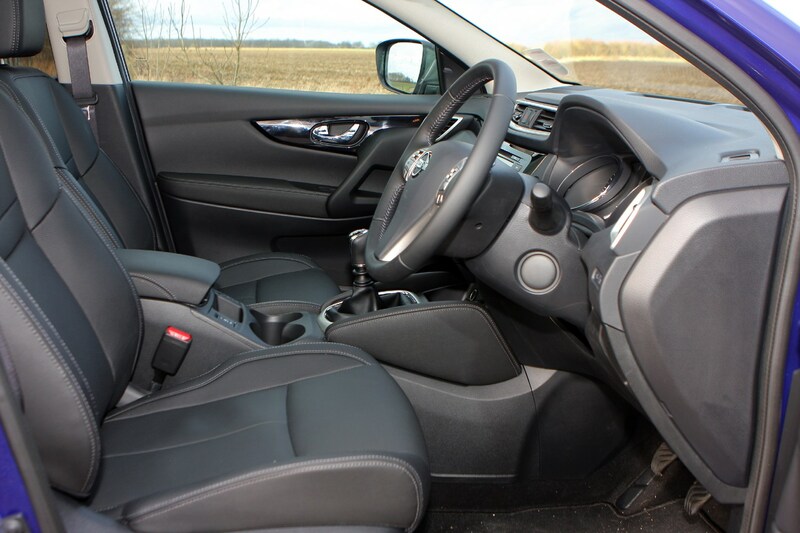 What makes it such a popular car with UK buyers is that it offers a desirable commanding driving position in a stylish body that isn't actually much larger in terms of exterior dimensions than a more traditional hatchback like the Volkswagen Golf or Ford Focus. 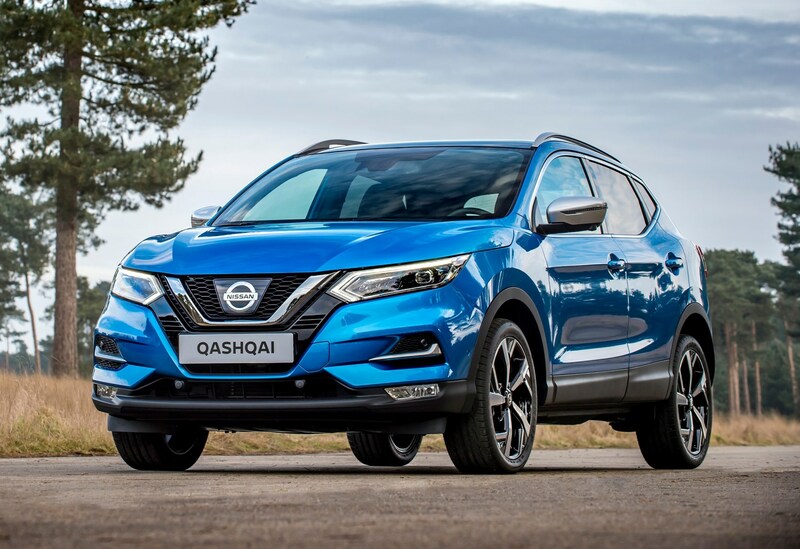 That means the Qashqai's rivals form part of a lengthy list of competition, from regular family hatchbacks to the swathes of newer family crossovers to have joined the market. 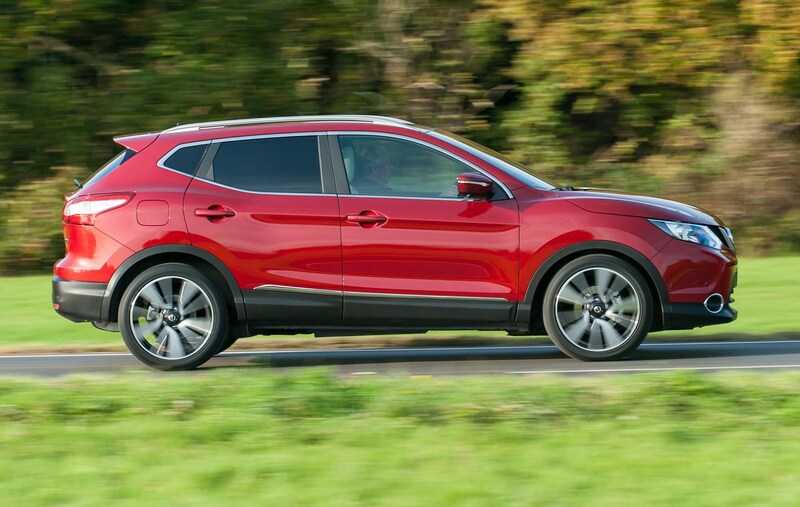 These include the Renault Kadjar, with which it shares mechanical components, but also the Skoda Karoq, SEAT Ateca, Ford Kuga, Fiat 500X, Peugeot 3008 and Vauxhall Grandland X. 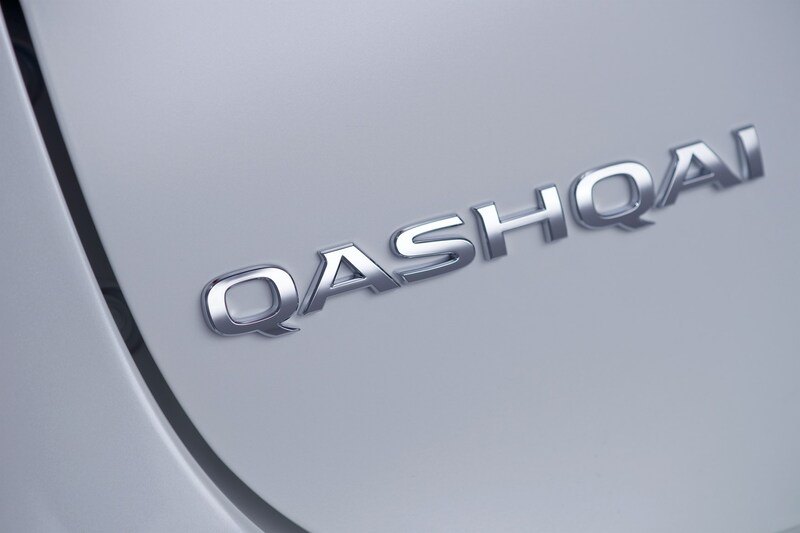 However, because of the Qashqai's dimensions, it manages to sit between other SUVs in terms of size. 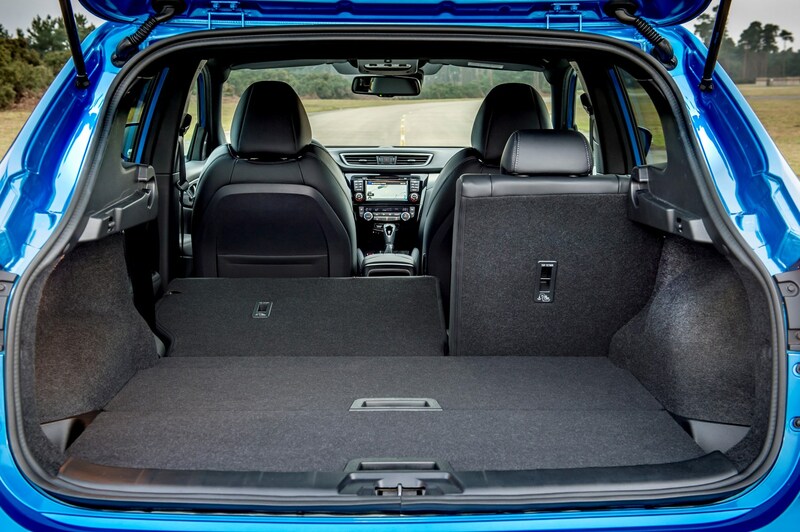 For example, it's halfway between the Hyundai Kona and Tucson, and the same can be said of the Volkswagen T-Roc and Tiguan, as well as the Kia Stonic and Sportage. 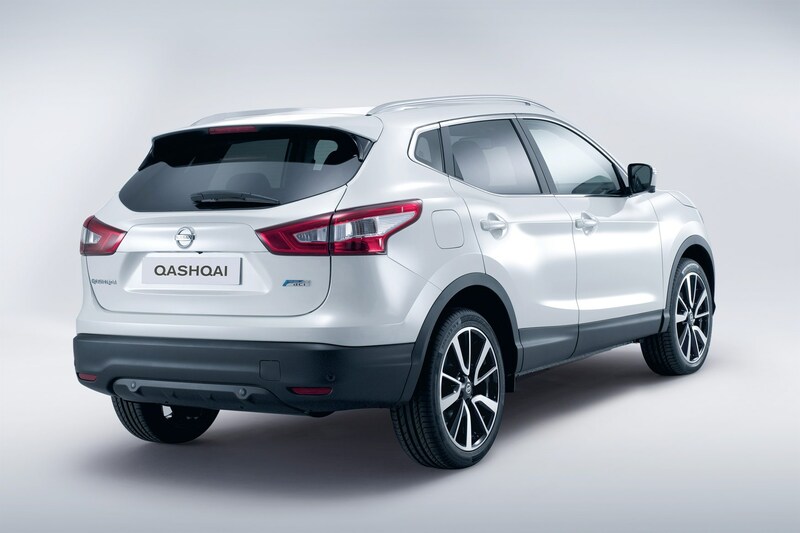 Since this version of the Qashqai was launched in 2014, many rivals have come and gone that are more competitive than ever. 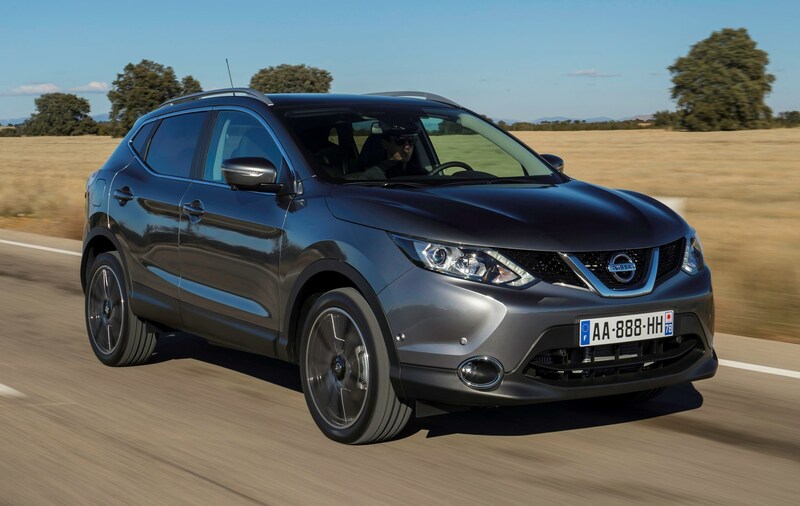 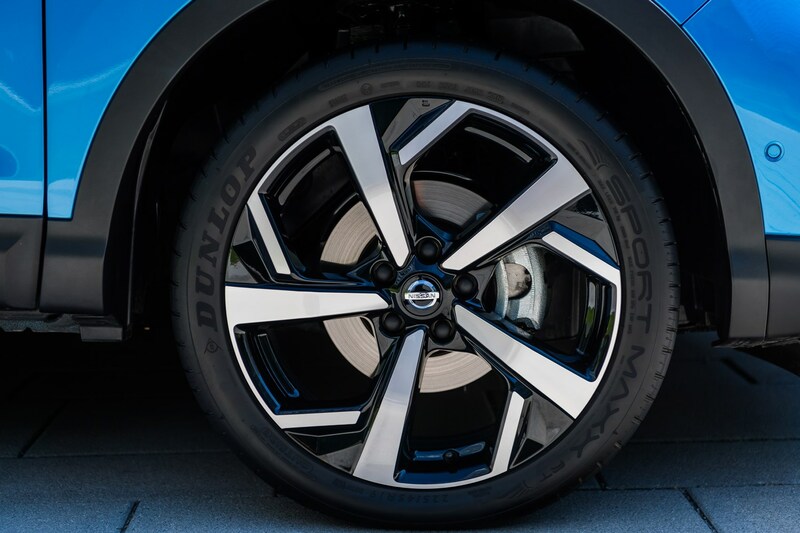 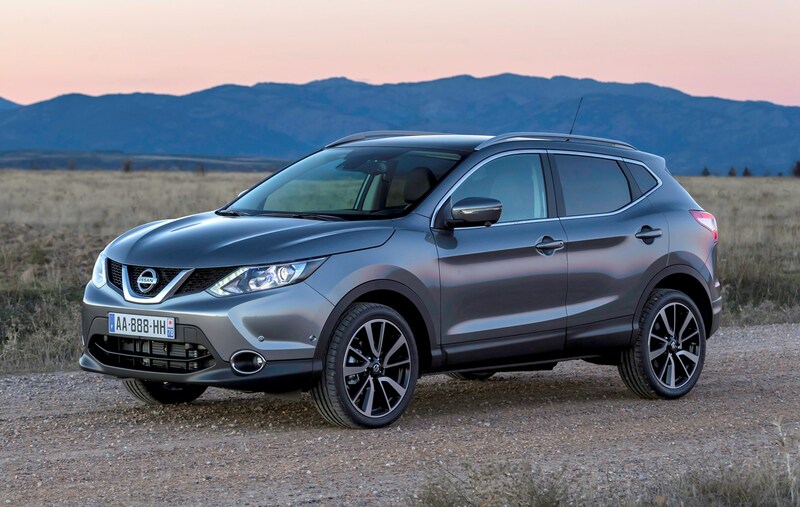 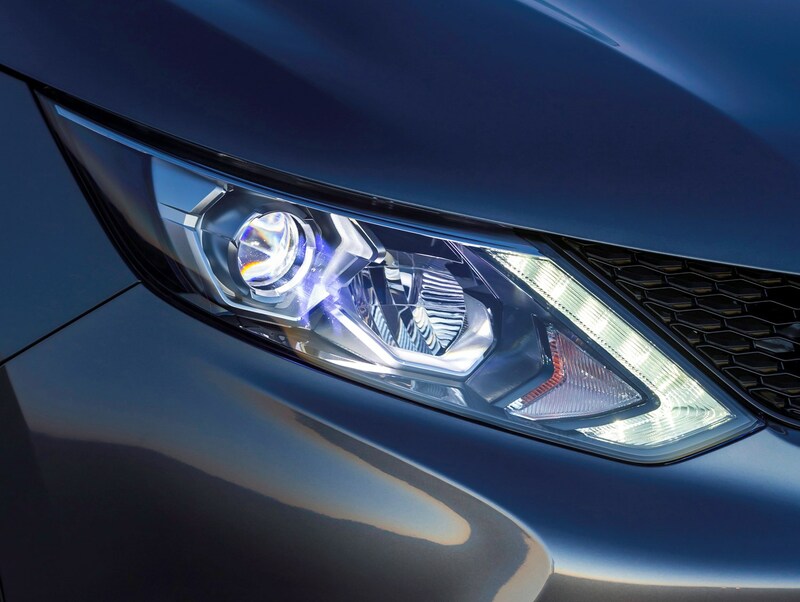 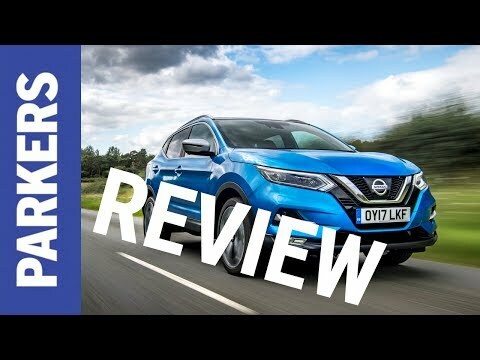 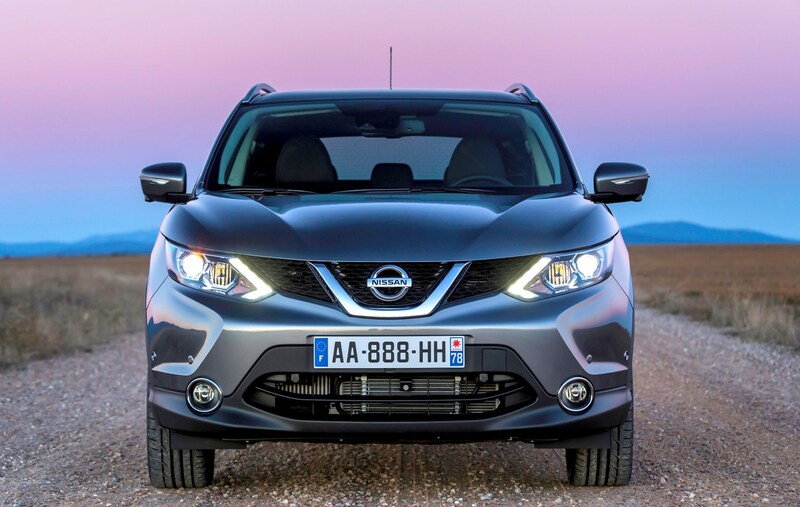 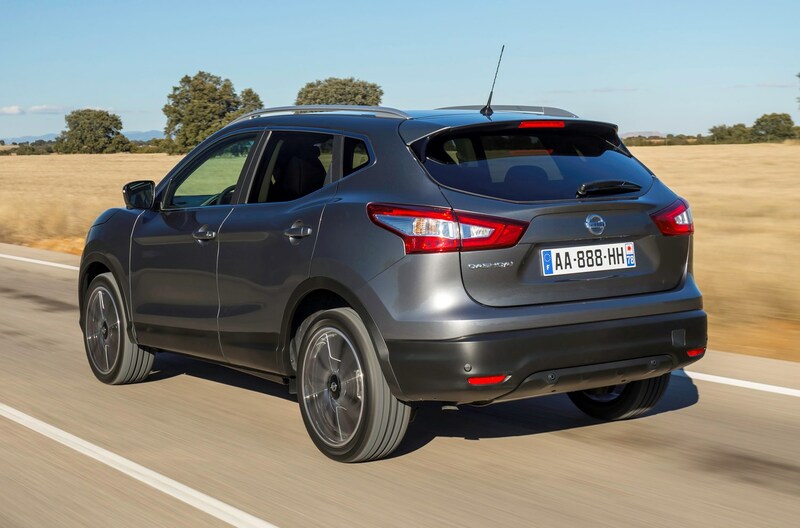 Nissan has paid attention and, in 2017, gave the Qashqai an extensive facelift with a sharper look and - more importantly - an interior that felt higher quality, too. 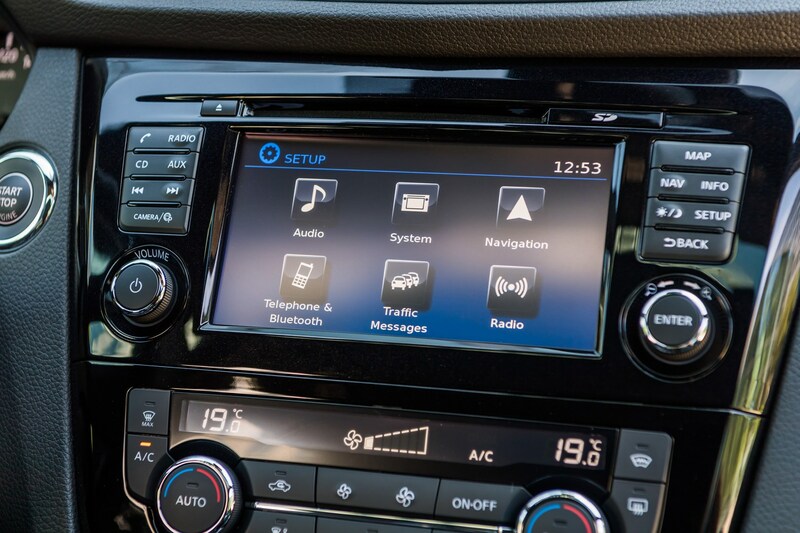 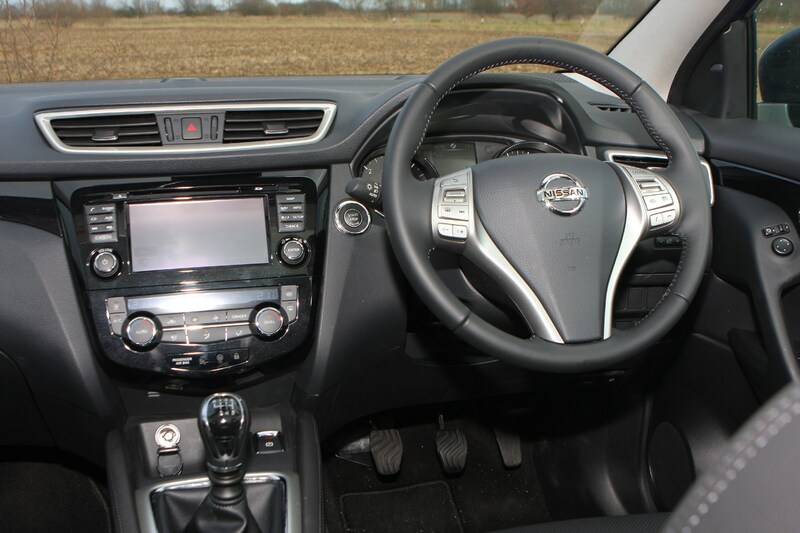 It's well-equipped in any trim level, but higher-spec N-Connecta, N-Motion, Tekna and Tekna+ models come with a vast kit list lavished on them and a more premium feel to the roomy cabin. 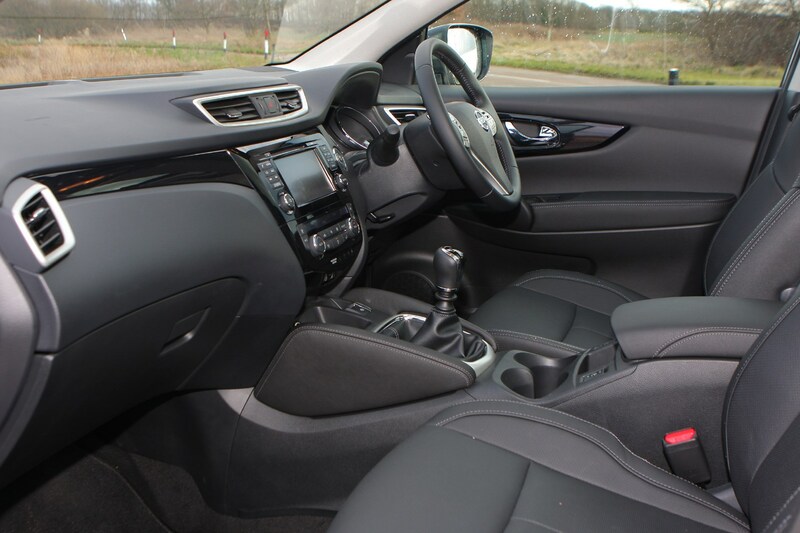 All models have plenty of sound deadening meaning it's a quiet place to be as well, with a quiet and relaxed feel on the move. 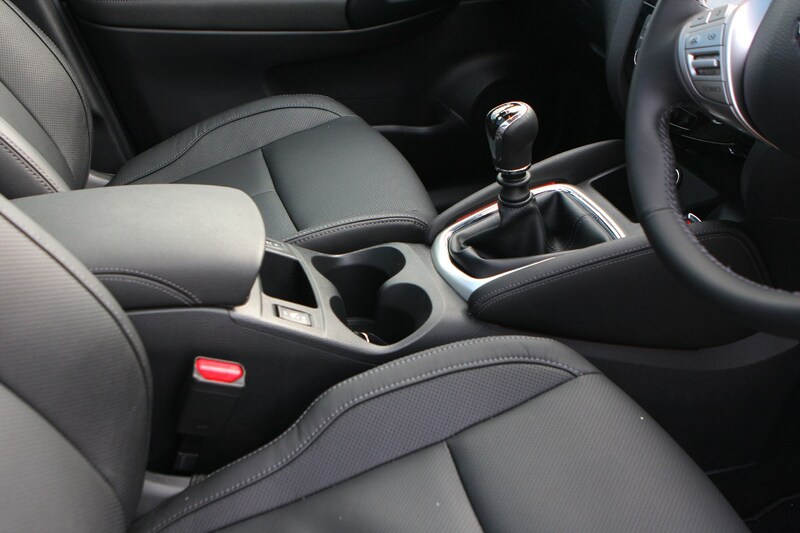 However, the overall interior quality is still a little underwhelming when you consider top-spec cars reach £30,000. 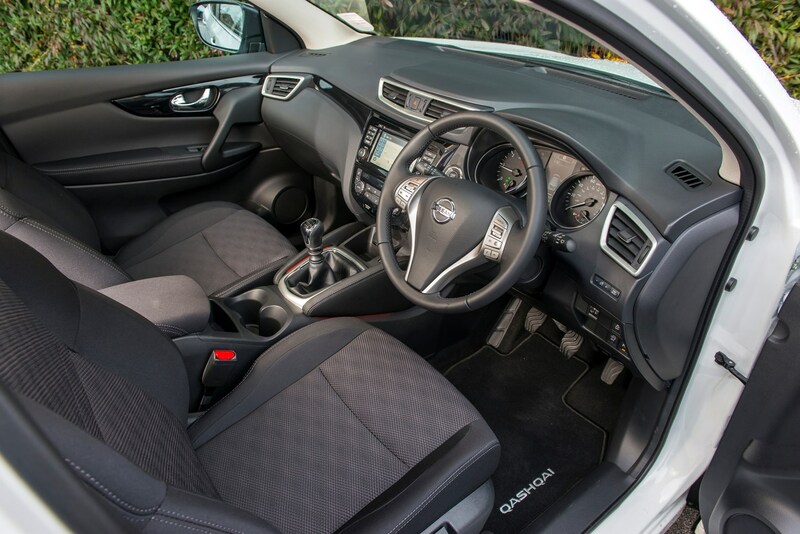 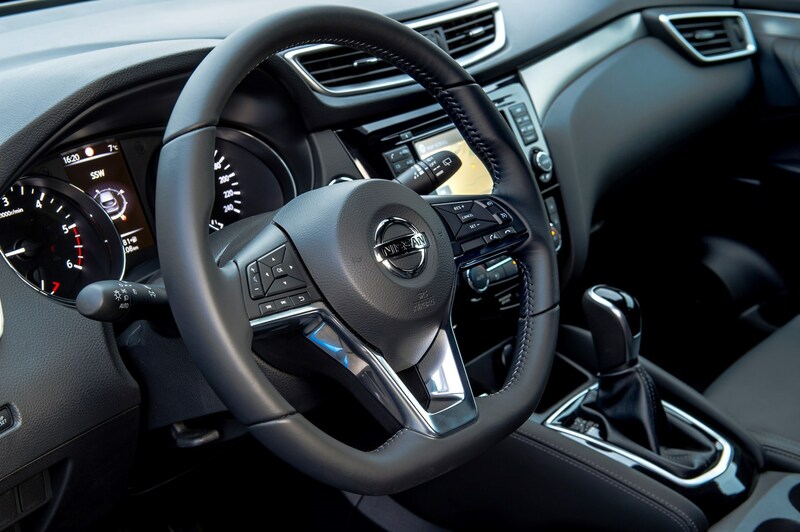 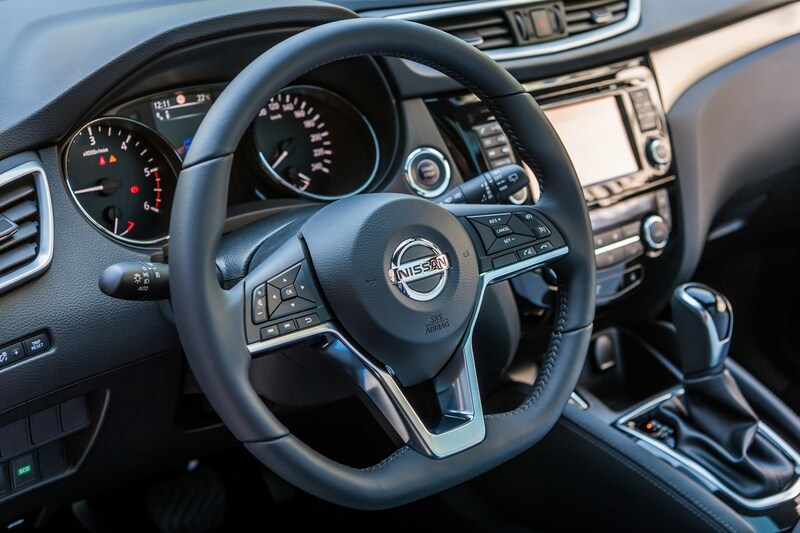 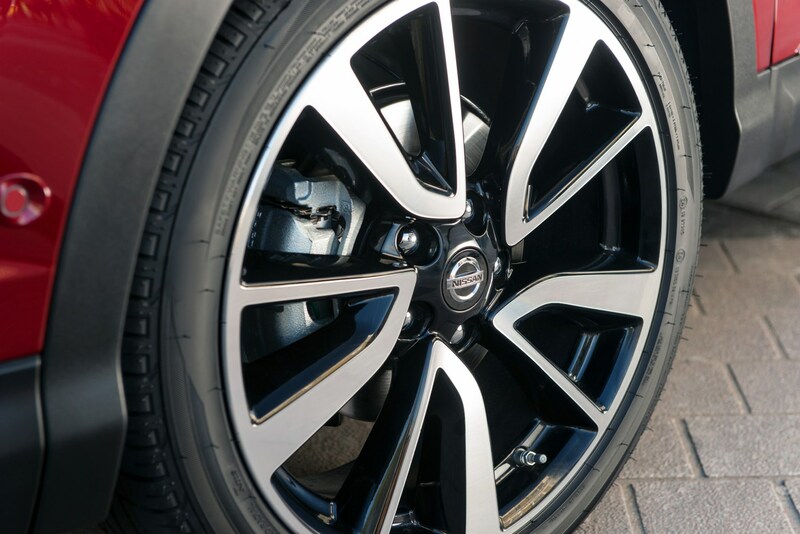 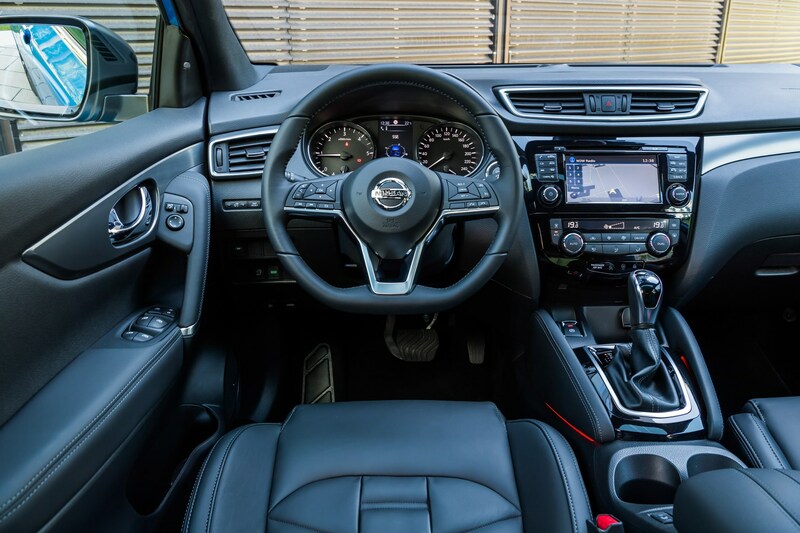 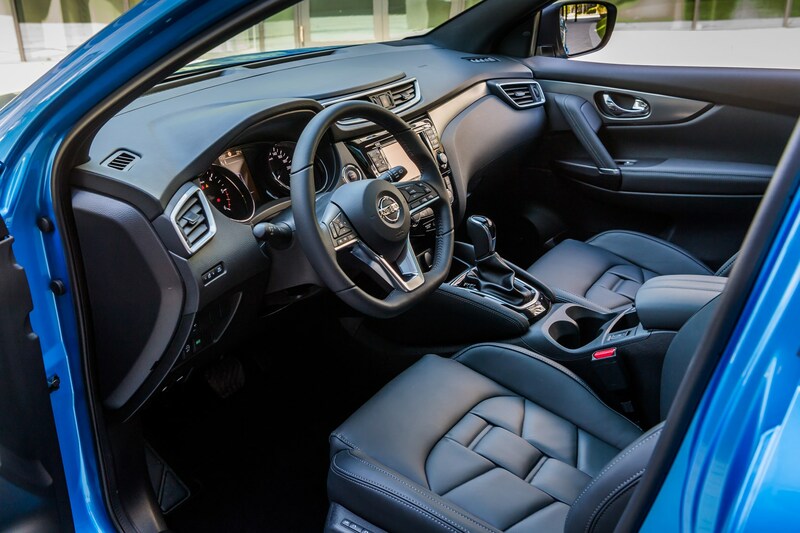 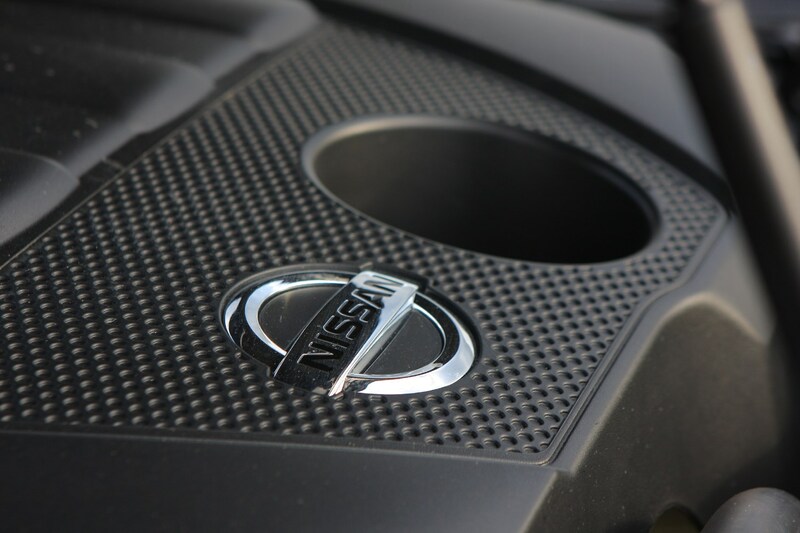 The leather is soft and plush, but some of the switches inside you'll find on much cheaper Nissan models, and look and feel dated, especially compared with rivals with a more sophisticated feel inside. 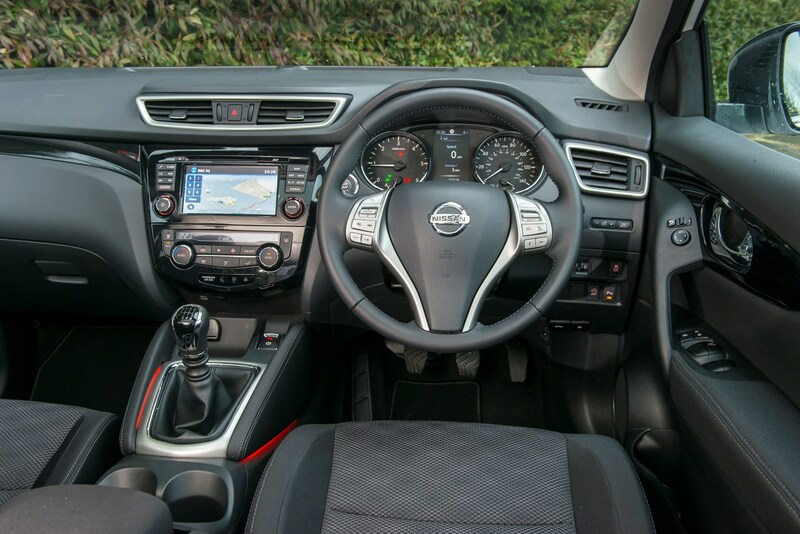 The cabin is well suited to the rigours of family life, though, with plenty of room front and rear. 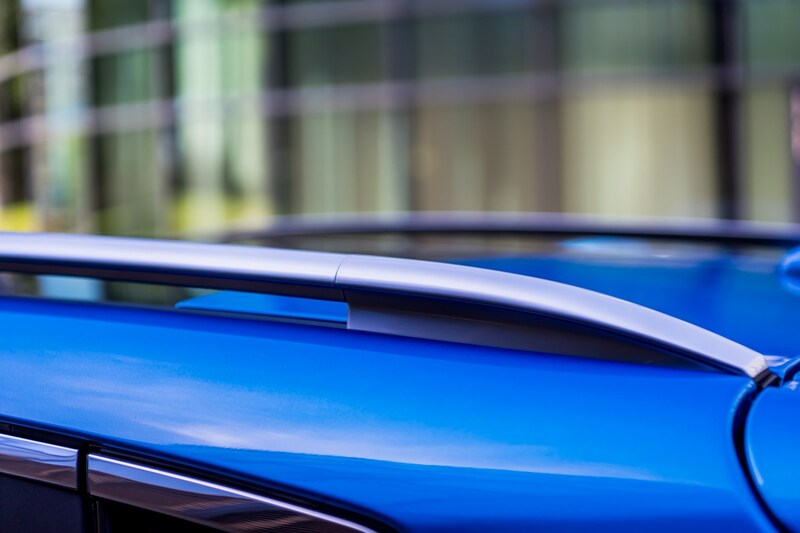 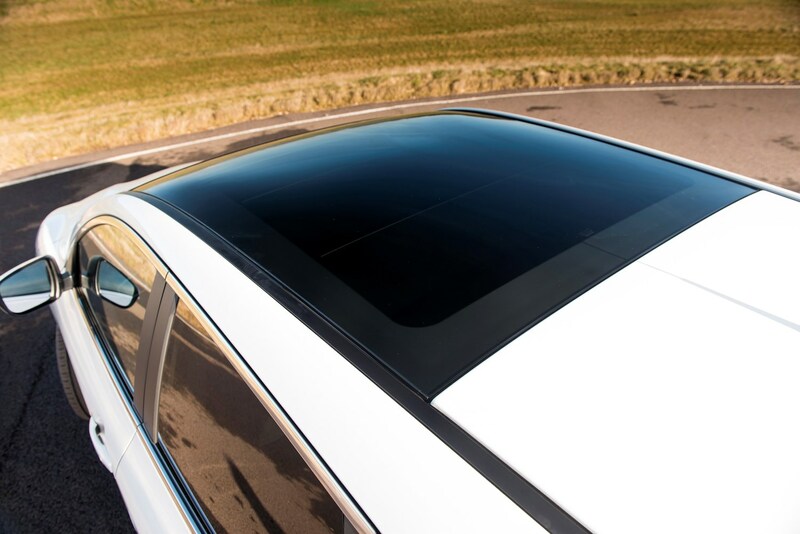 Higher-spec cars get a full-length panoramic glass roof, which provides a bright and airy interior; just watch out as it also nibbles into rear headroom. 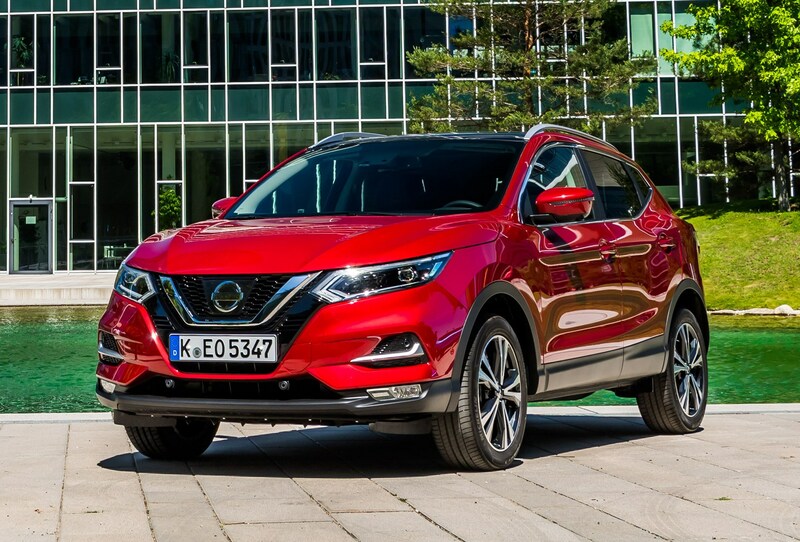 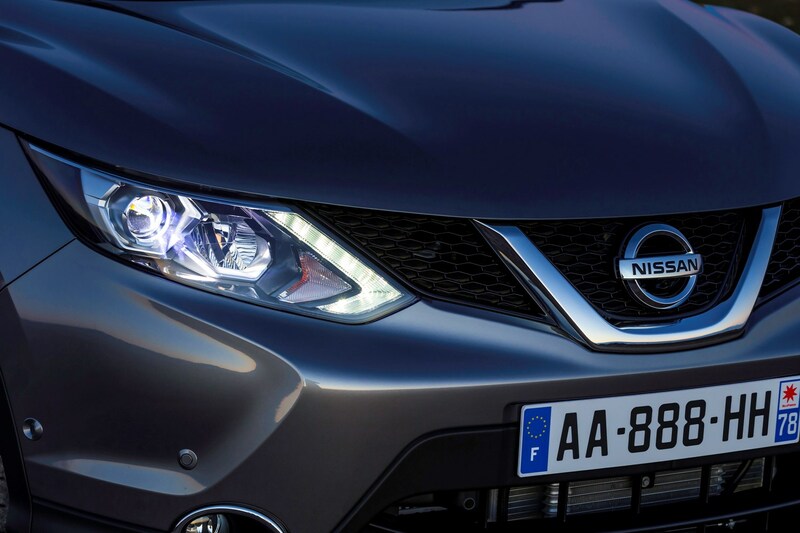 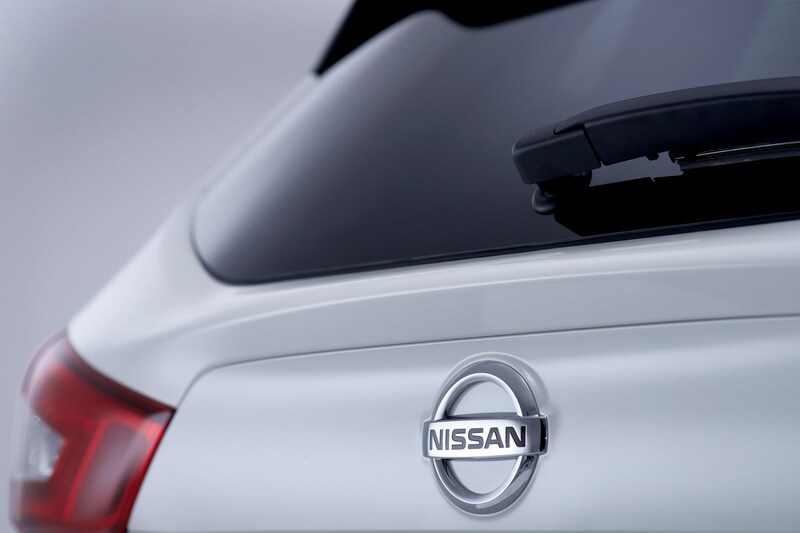 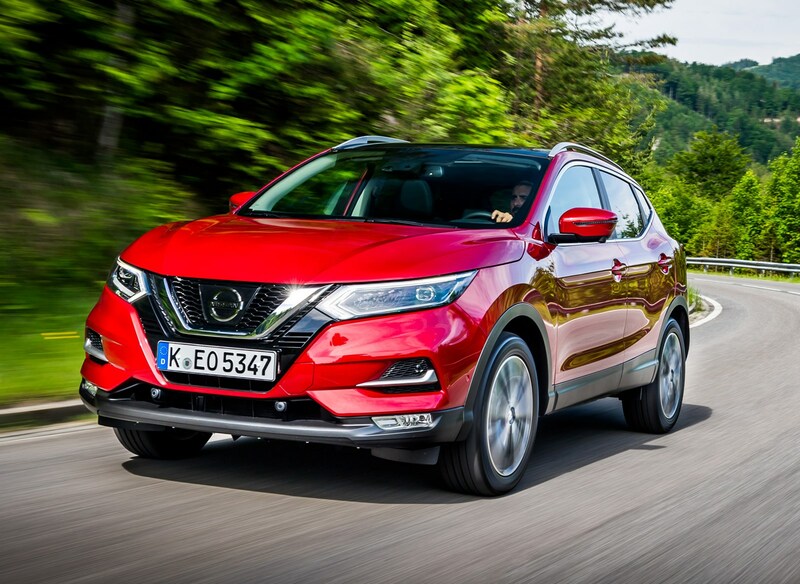 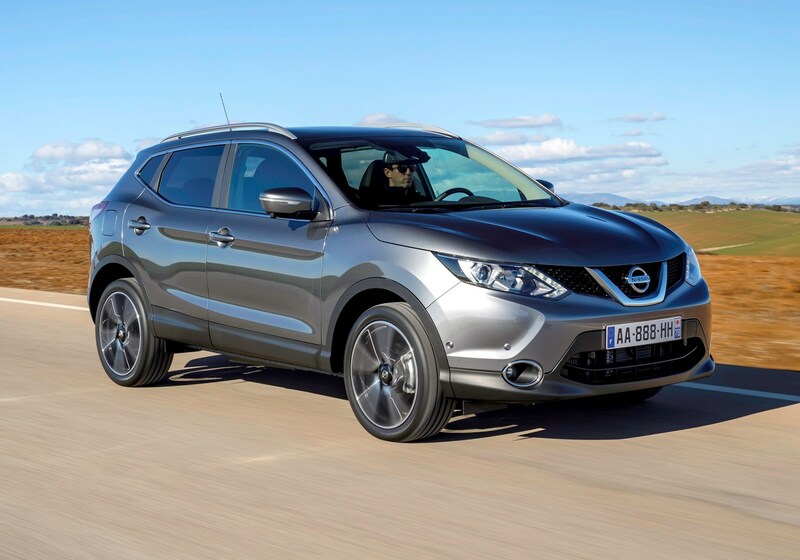 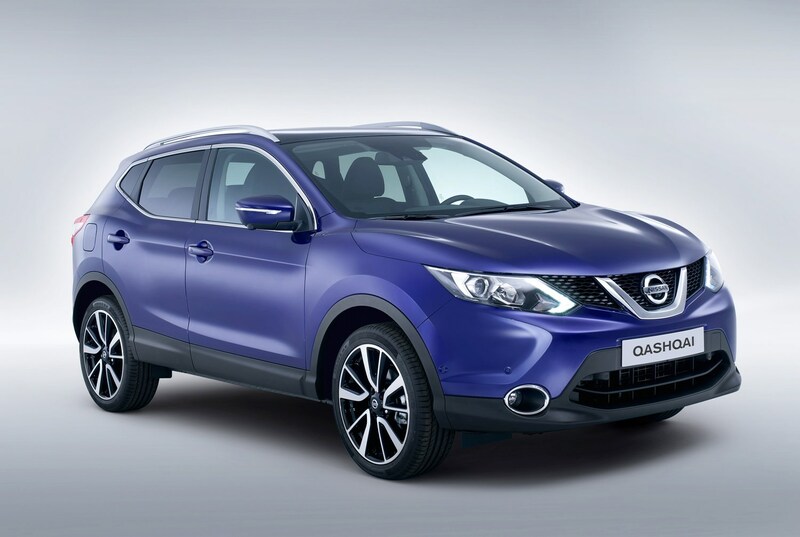 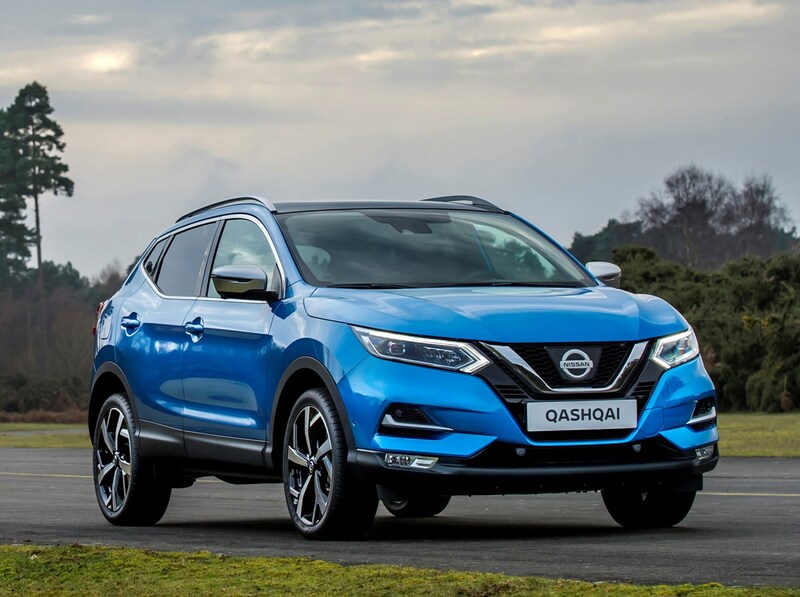 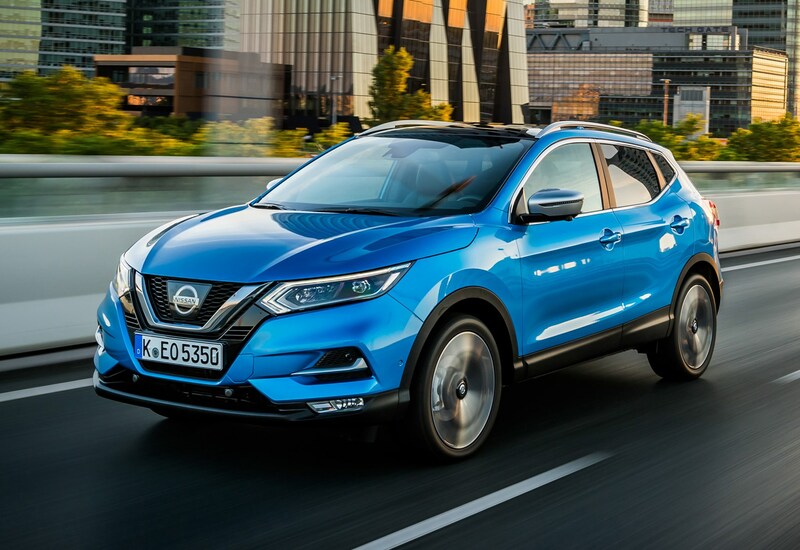 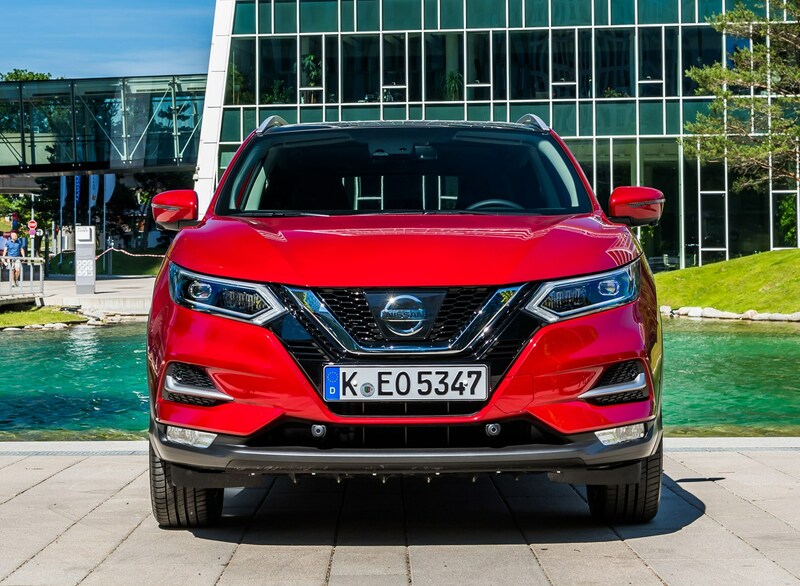 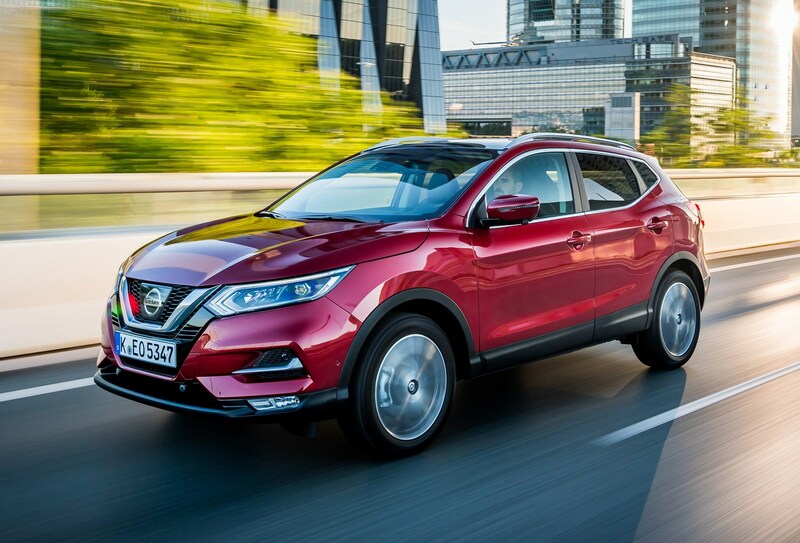 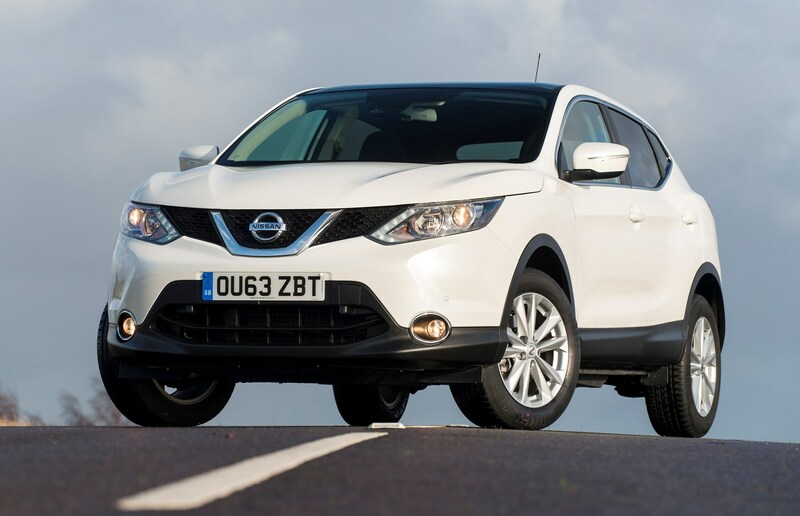 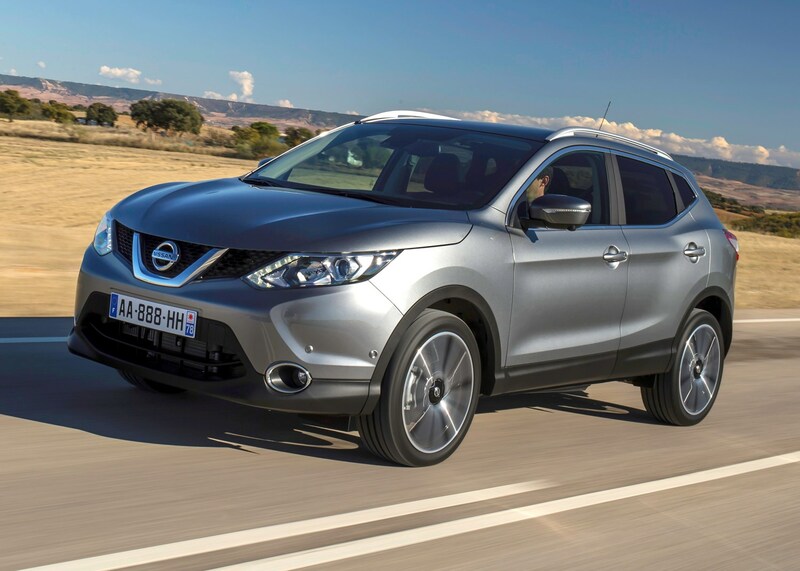 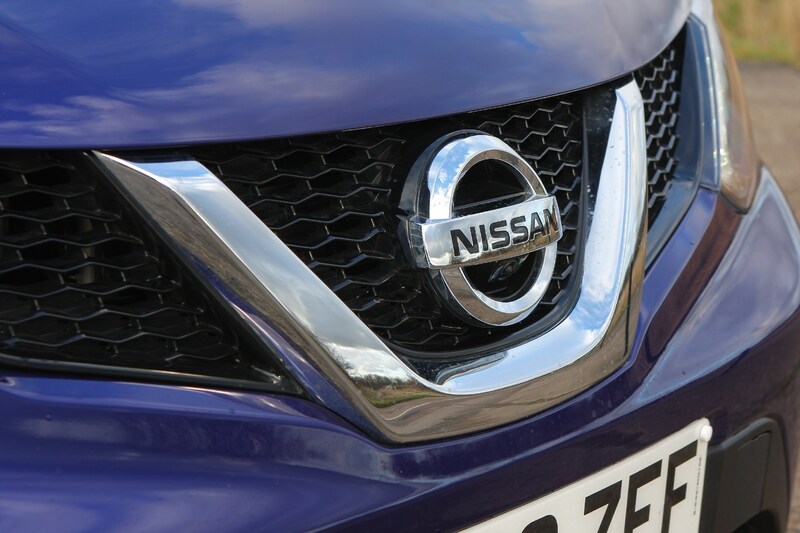 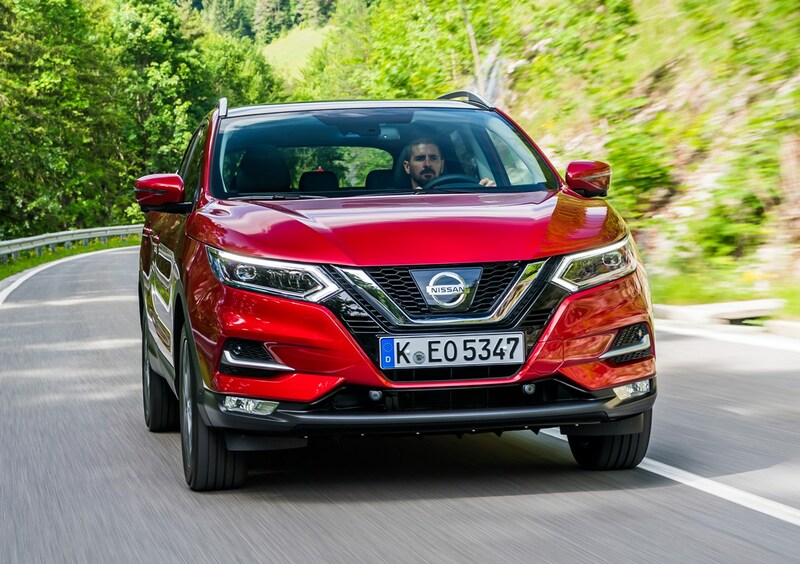 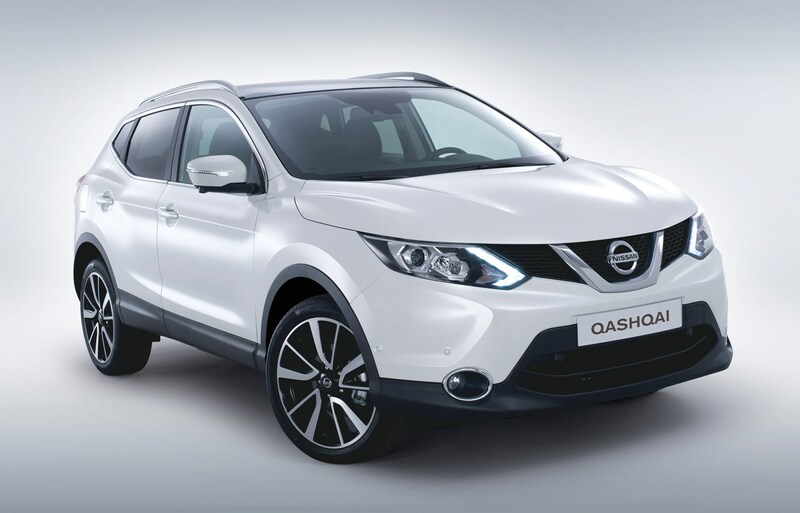 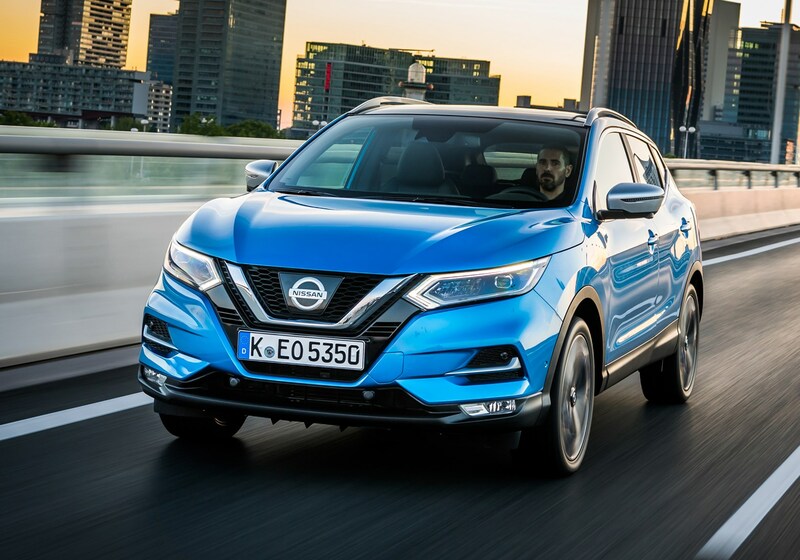 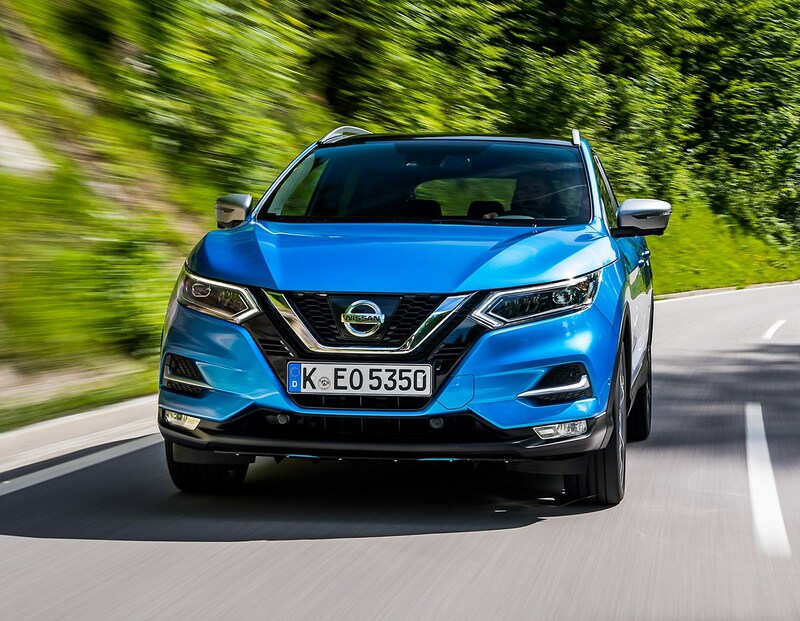 In terms of value for money, Nissan is keen to shift Qashqais, as sales have dropped off in relation to its newer, shinier rivals. 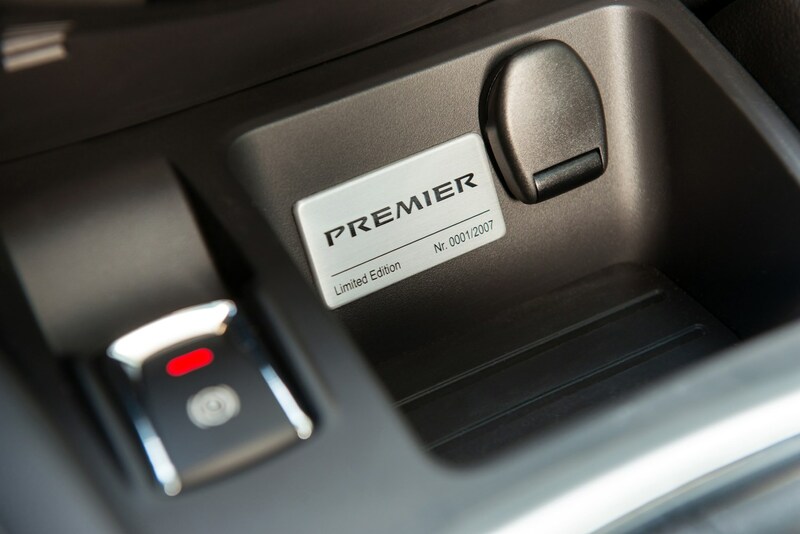 So there's aways a deal to be had. 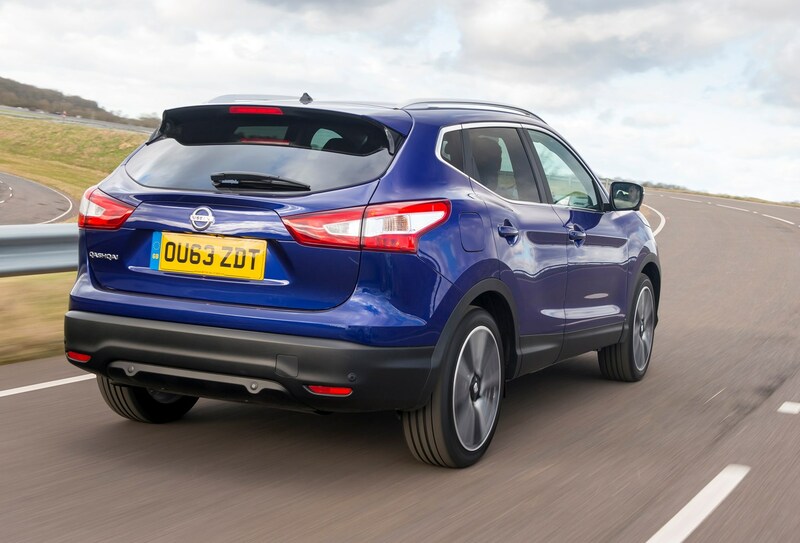 Our leasing partner, ZenAuto, currently has the Qashqai on offer, and if you stump up a £2,000 initial payment (plus £199 processing fee), you can grab a 1.3 DiG-T Visia, you will pay just £115 per month over 23 months on an 8,000-mile a year contract. 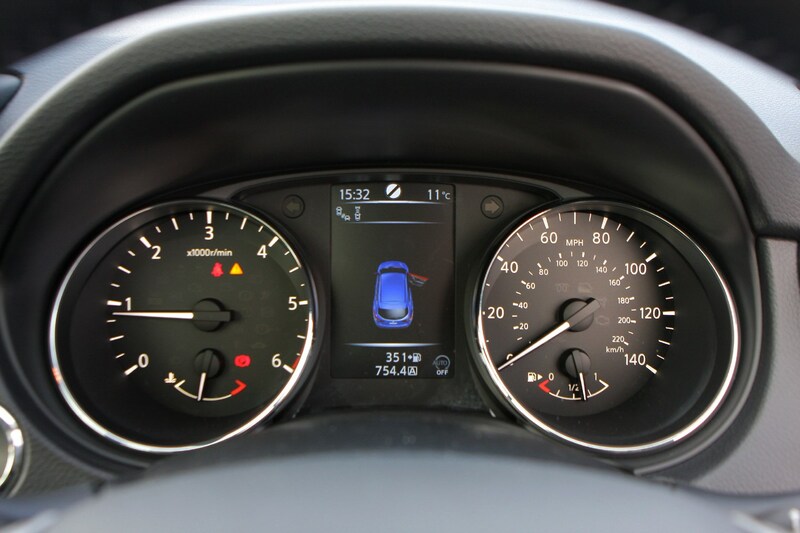 If you go over your mileage allowance, you'll pay just £67.60 per additional 1,000 miles. 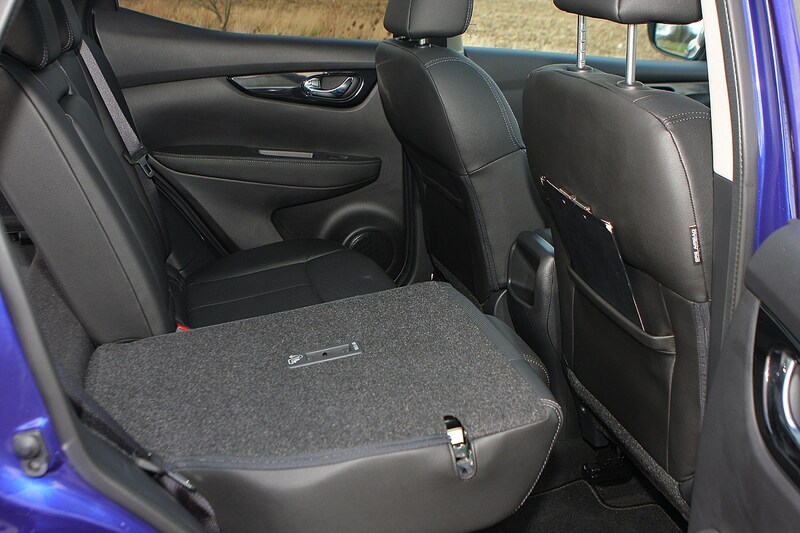 Interior storage space is taken care of by a large central storage box between the front seats, while there are numerous cubbies and compartments to store keys, wallets and mobile phones. 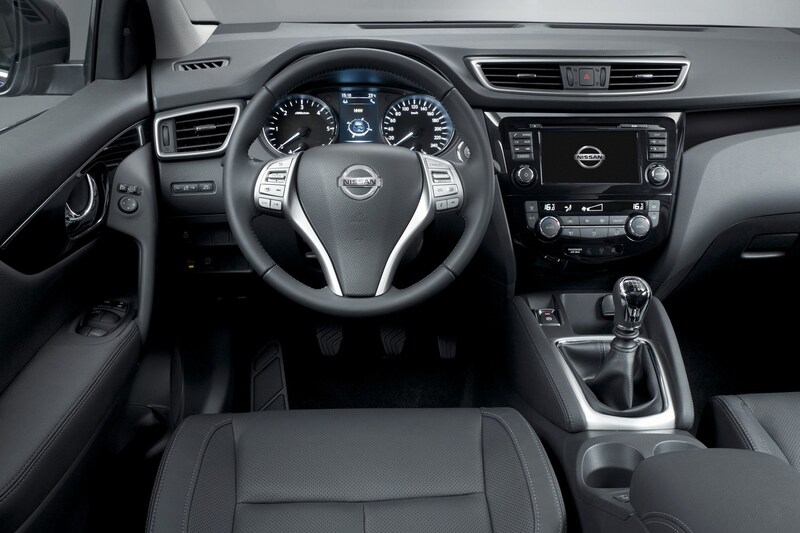 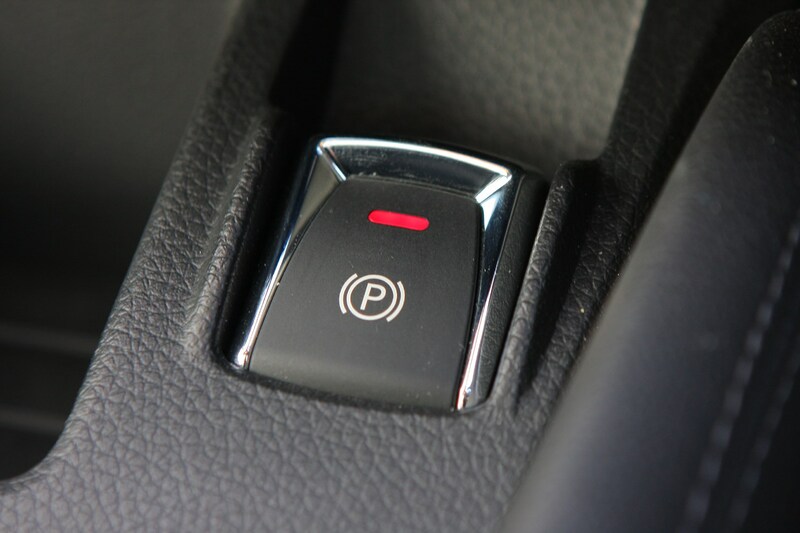 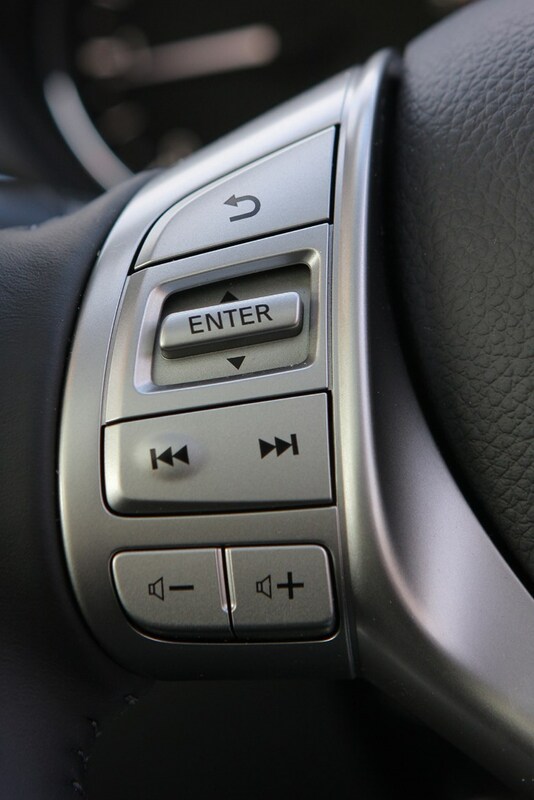 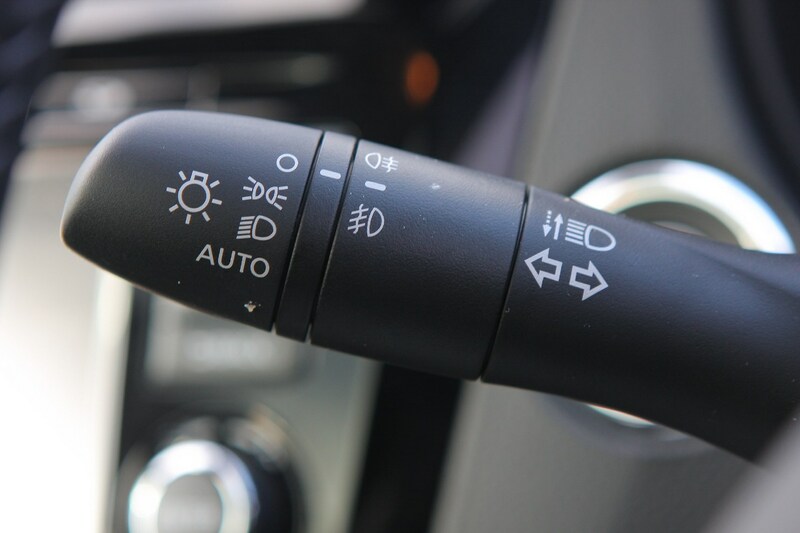 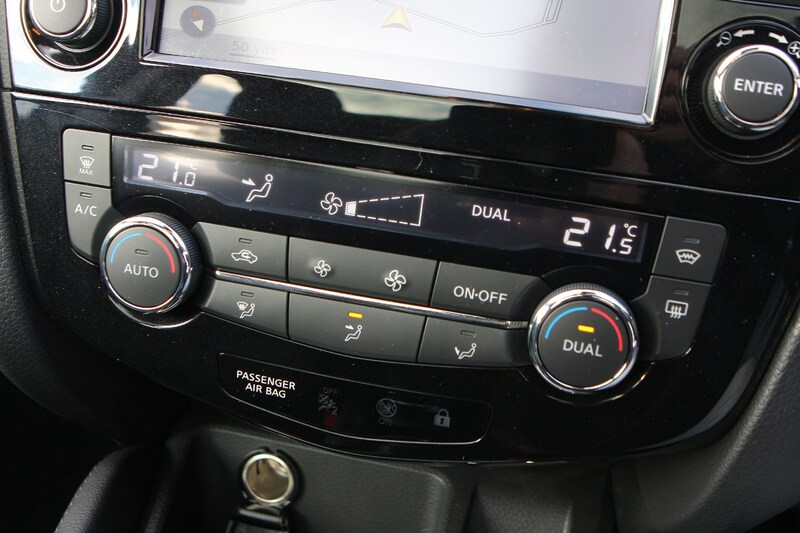 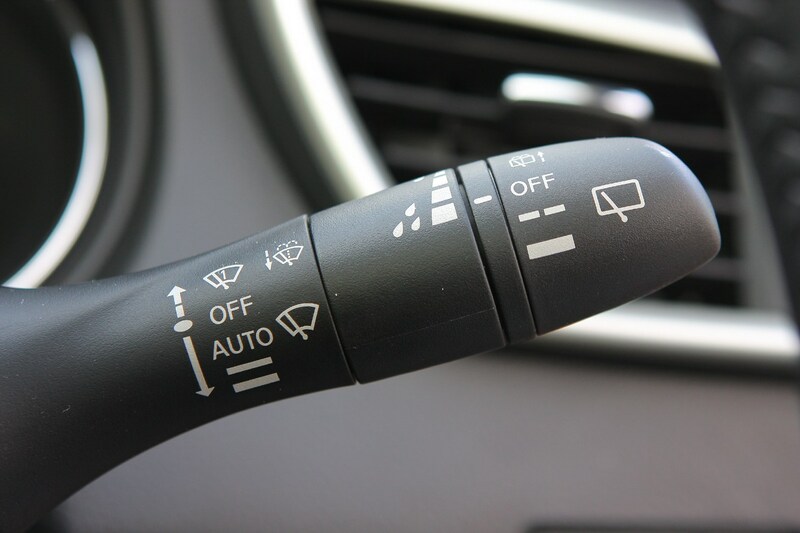 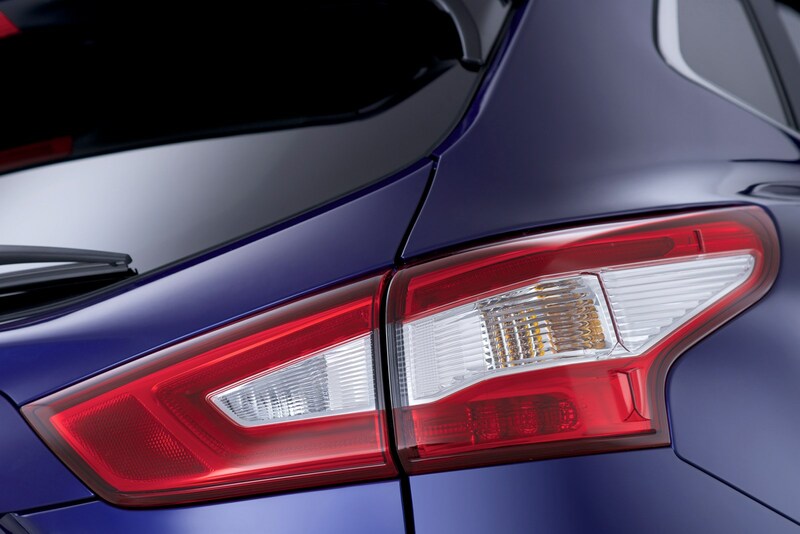 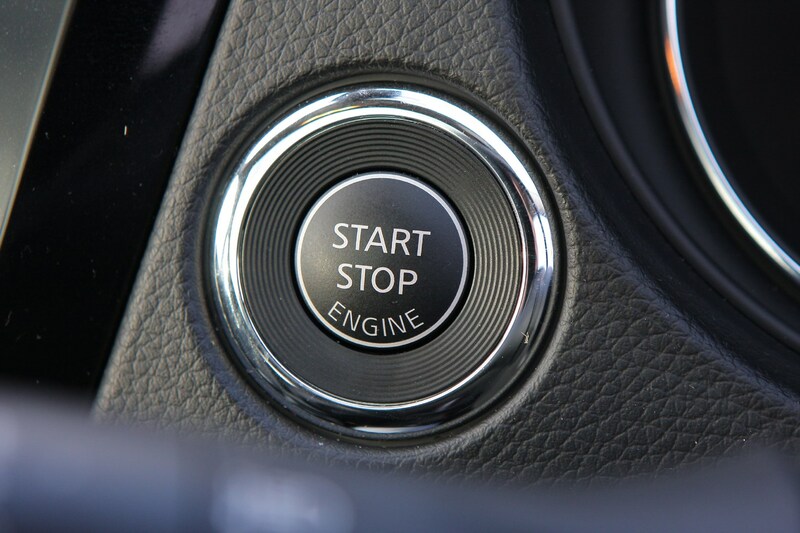 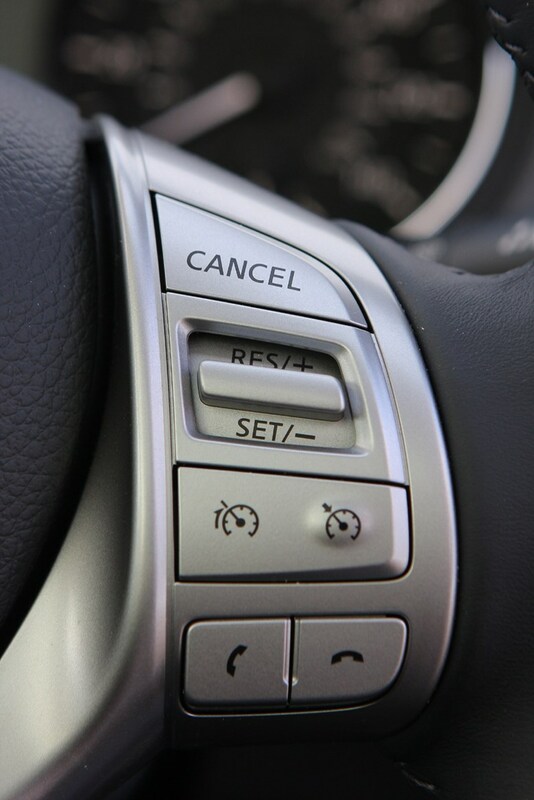 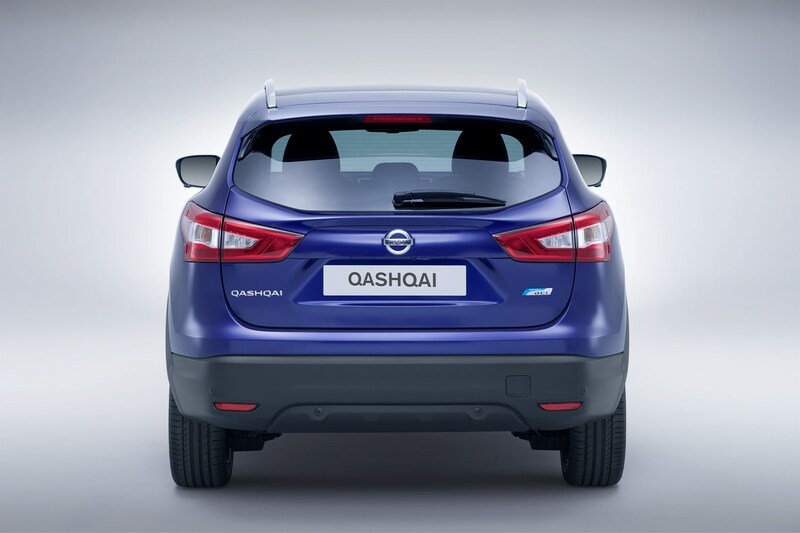 To make room for this, the Qashqai uses an electronic parking brake switch rather than a conventional handbrake lever. 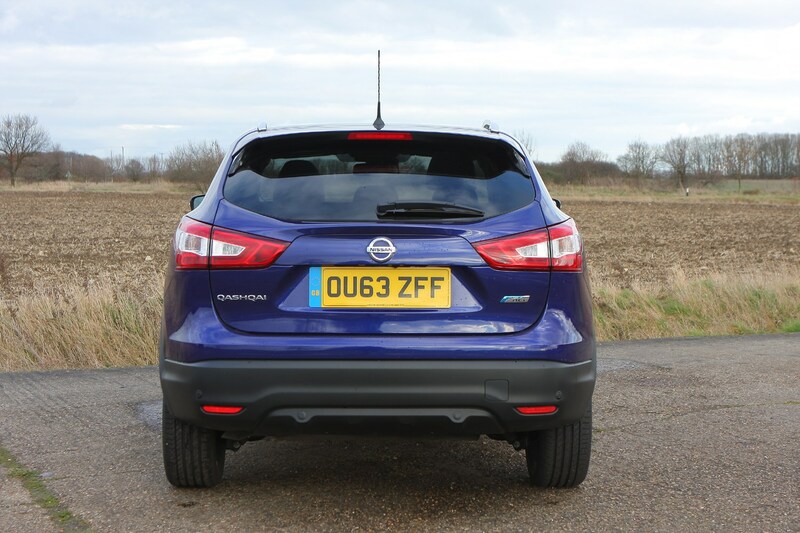 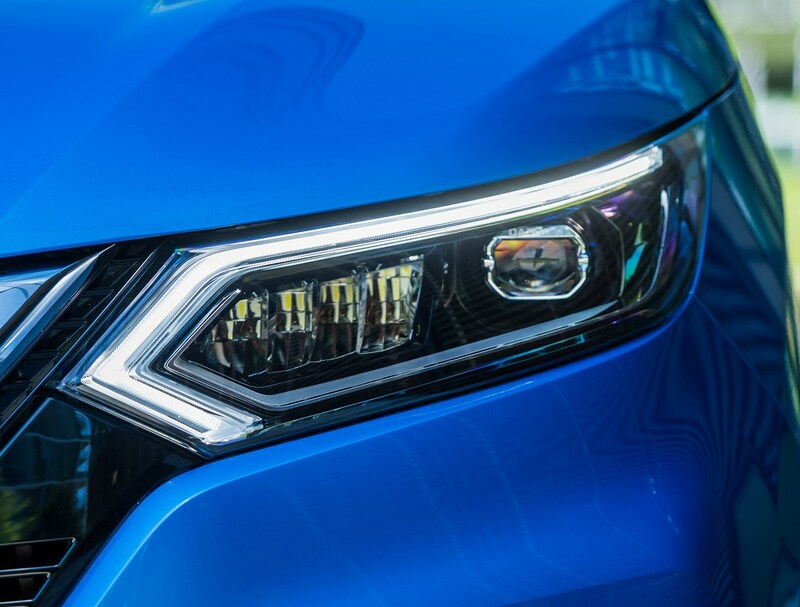 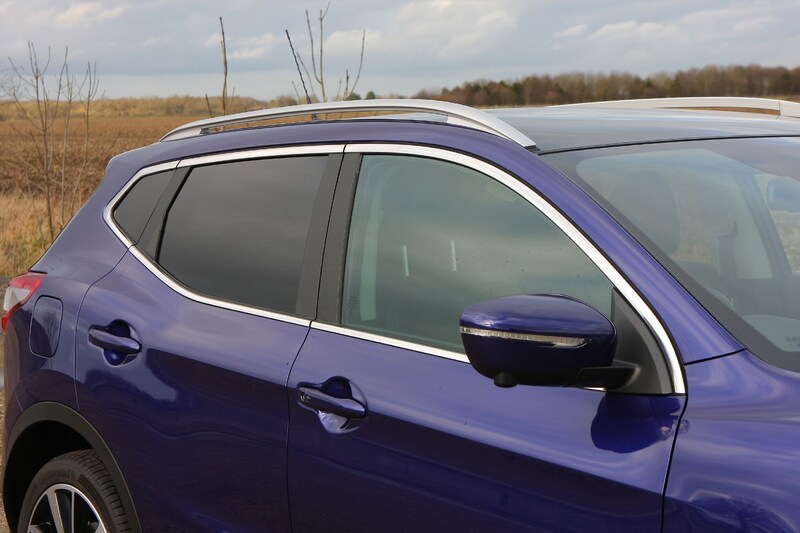 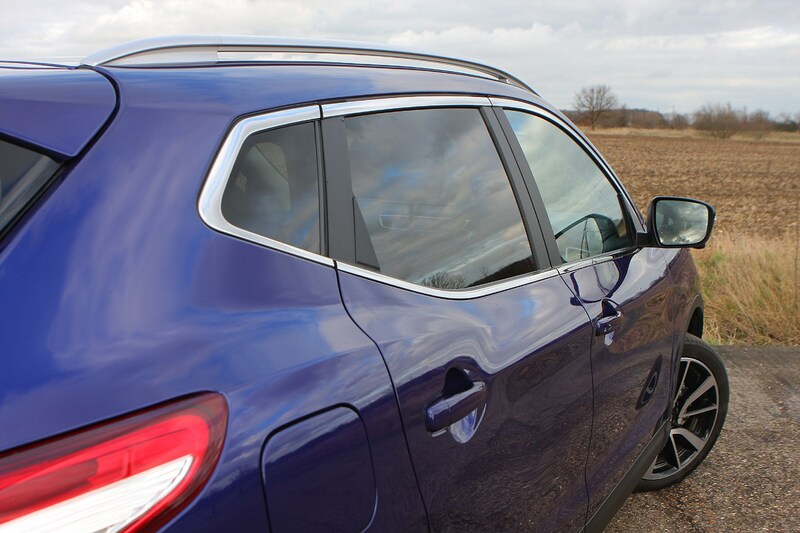 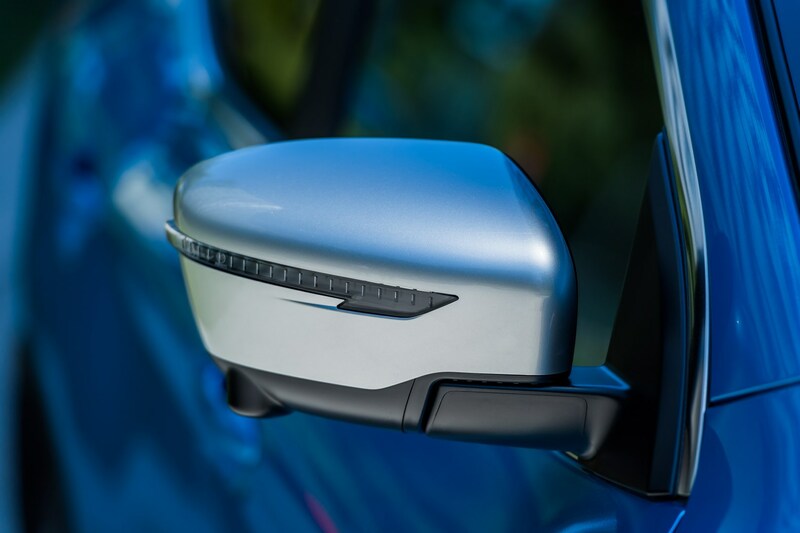 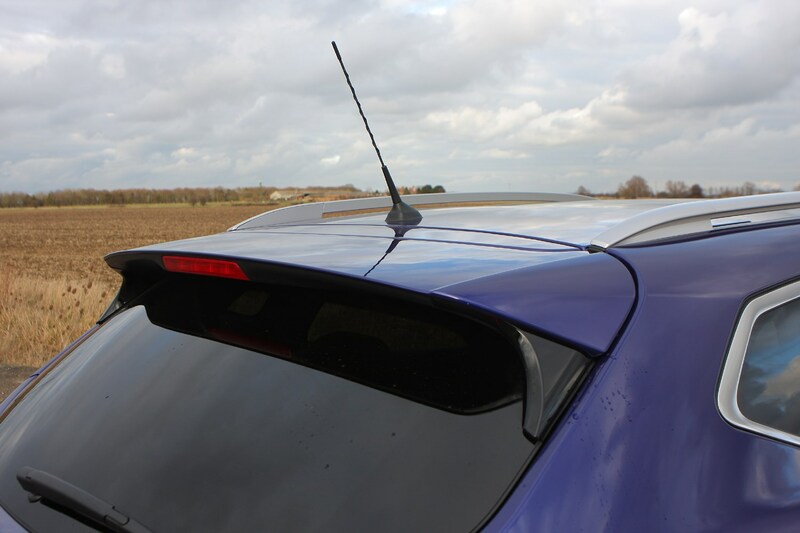 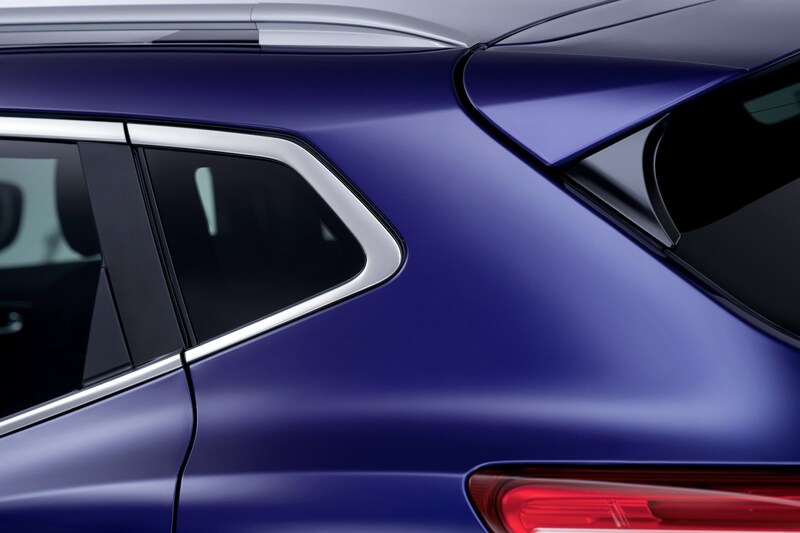 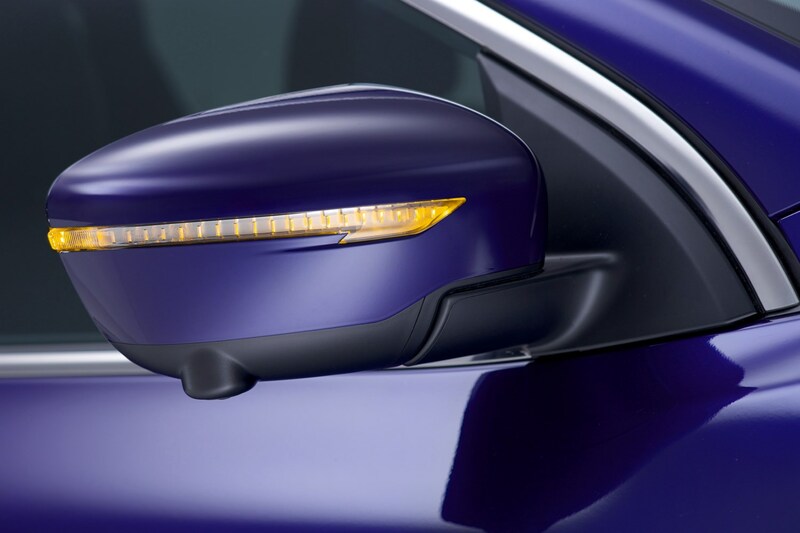 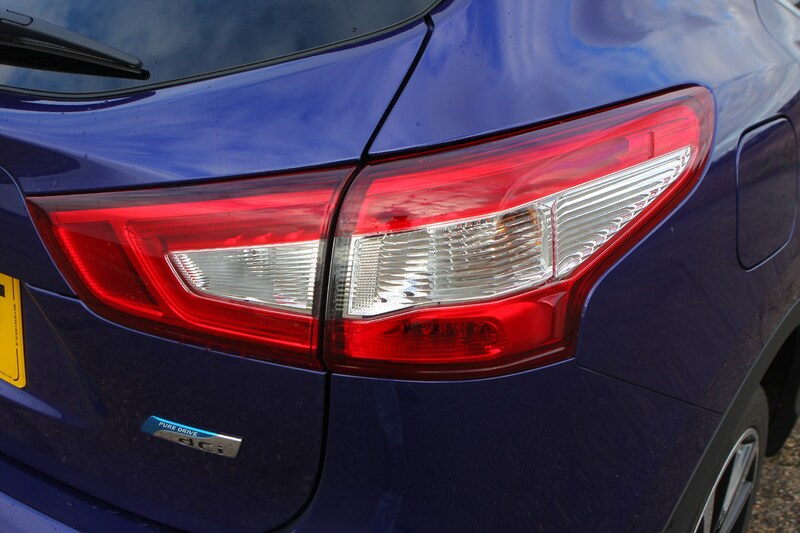 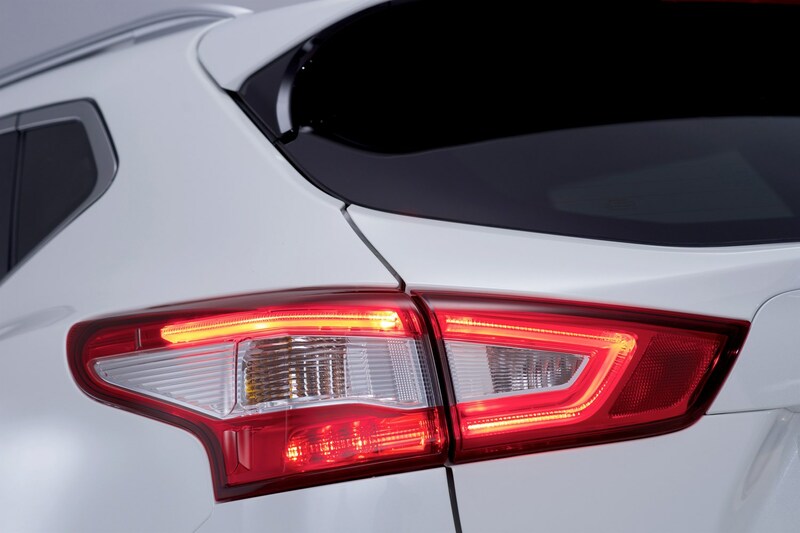 One slight niggle is that over-the-shoulder visibility is still restricted by the large rear pillars, making checking the Qashqai’s blindspot tricky at times. 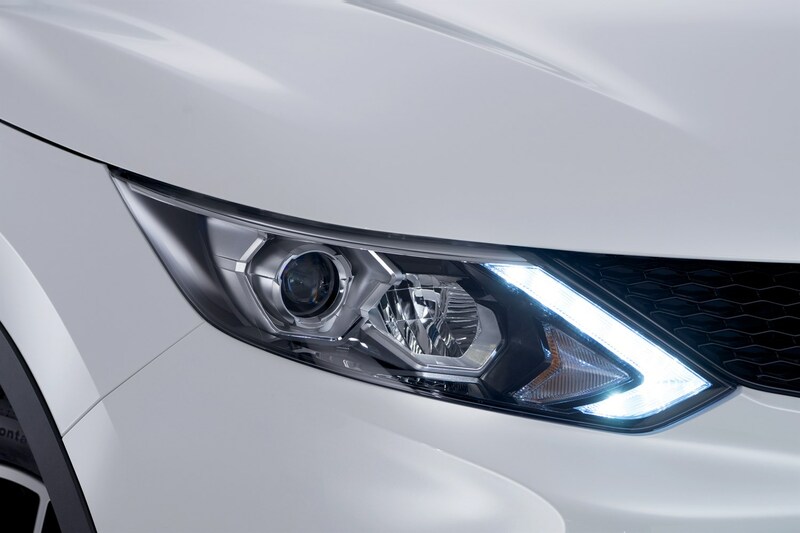 Most models get a single or 360-degree surround-vision parking camera to make up for it, but they're not the highest-resolution cameras out there. 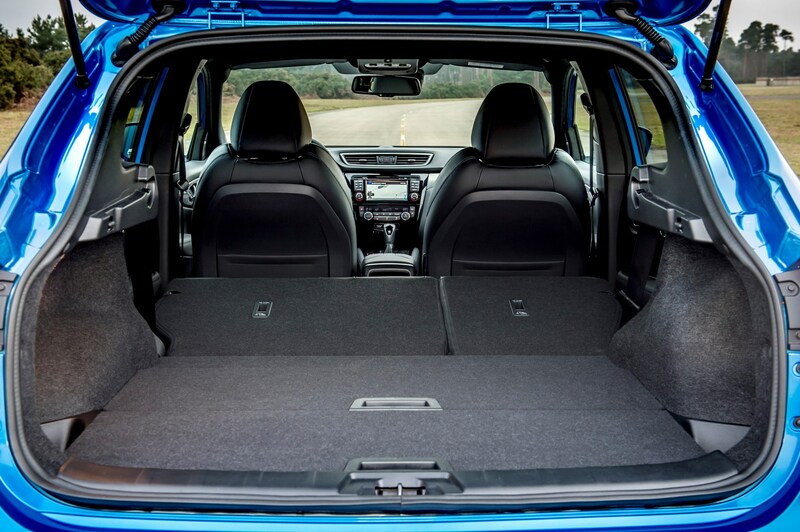 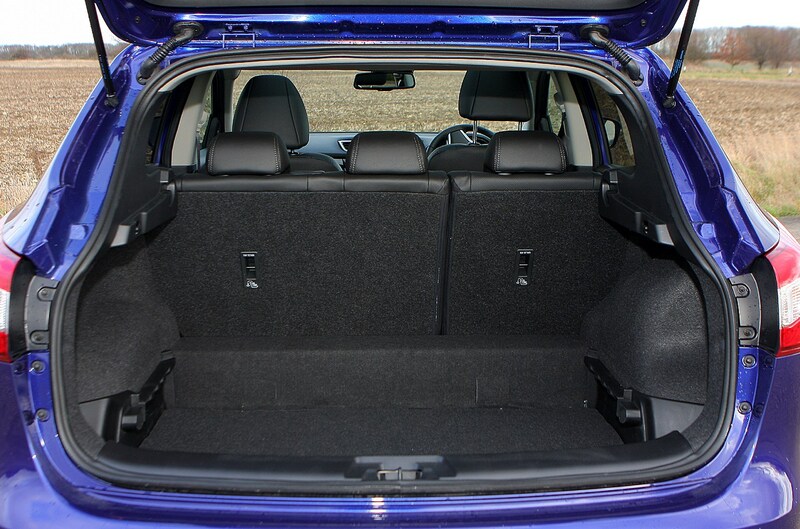 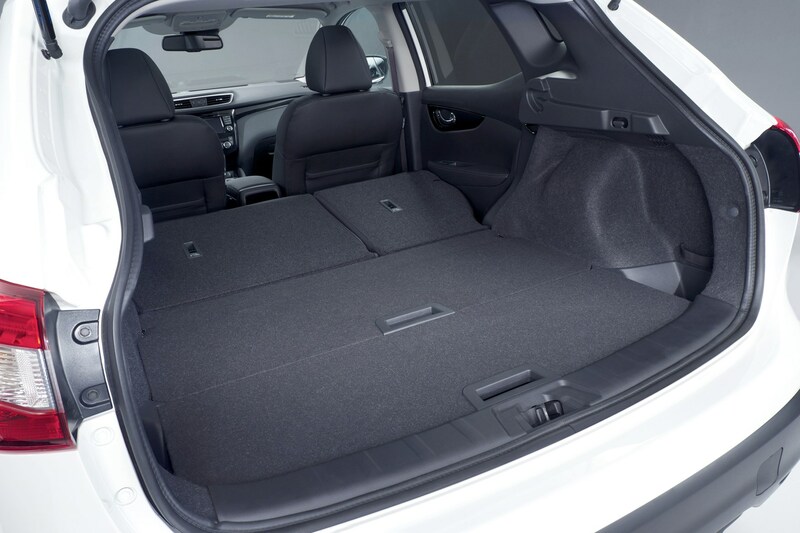 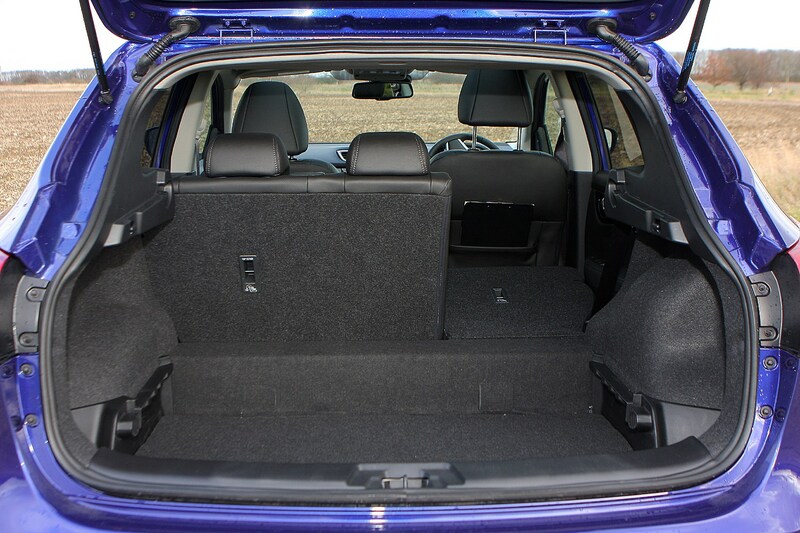 Luggage volume stands at 430 litres (somewhat smaller than many rivals) and the boot floor has a clever trick up its sleeve: it’s made up of two panels, which can be repositioned to create either a deeper boot or a totally flat load area when the rear seats are folded down. 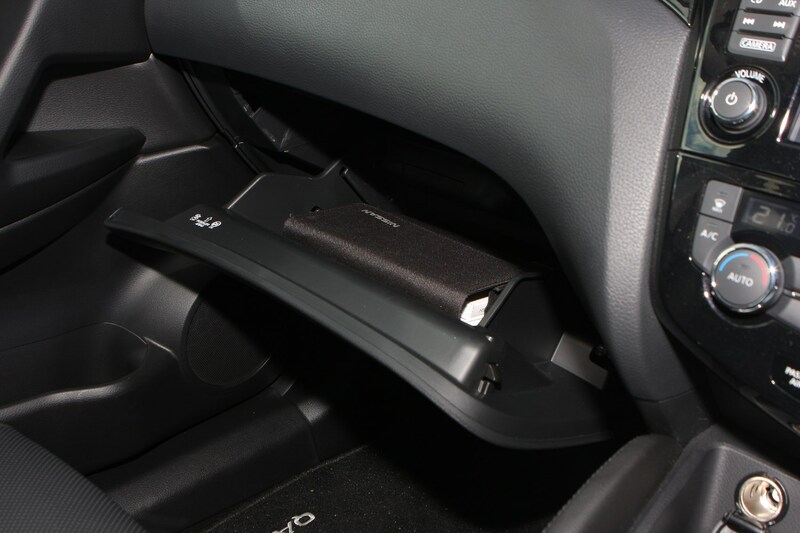 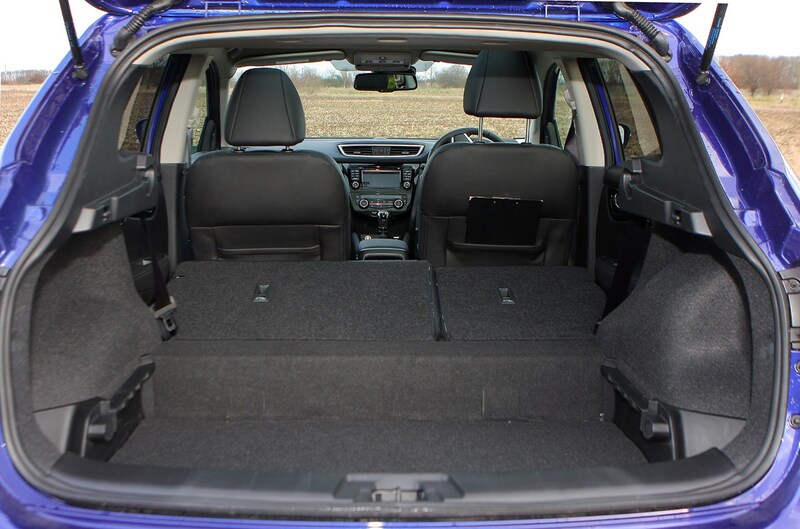 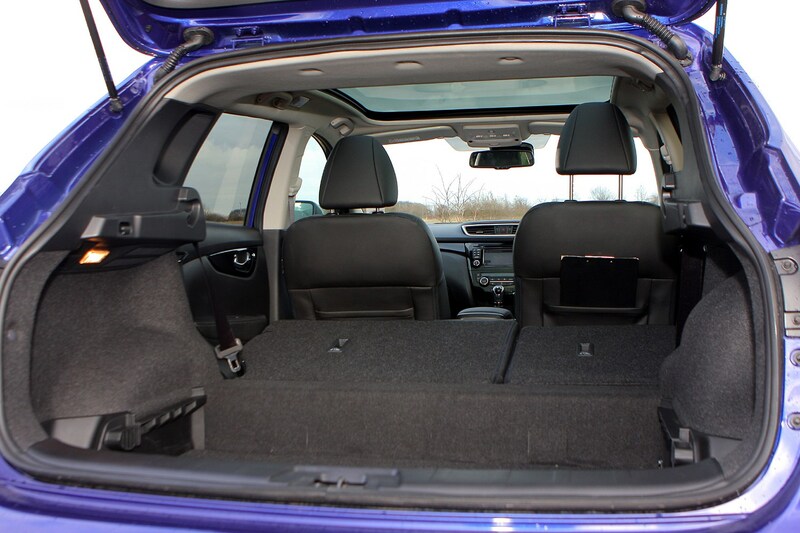 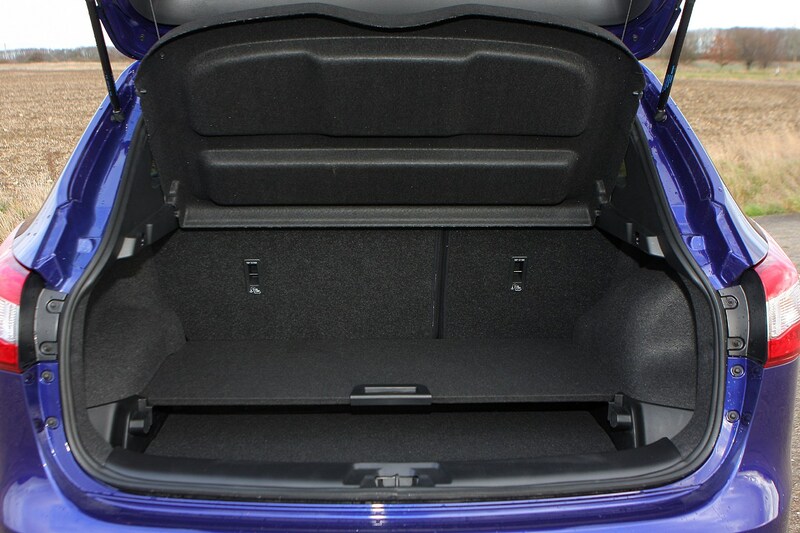 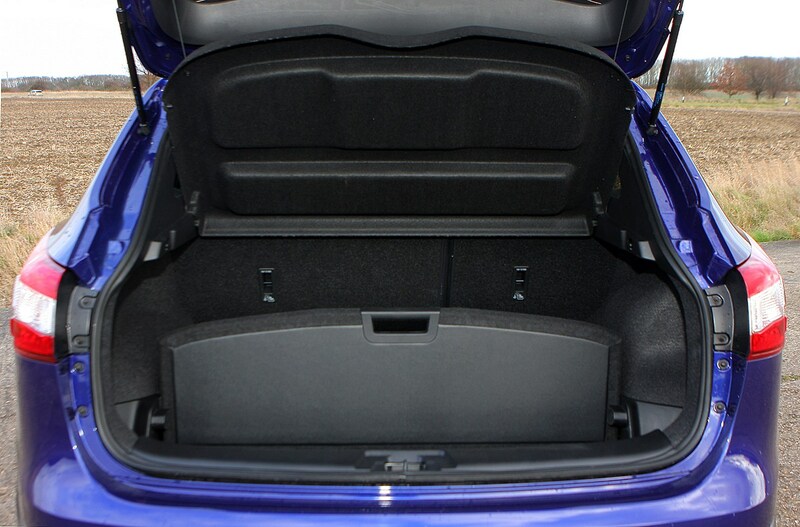 There’s also space under the boot floor to stow the parcel shelf when not in use. 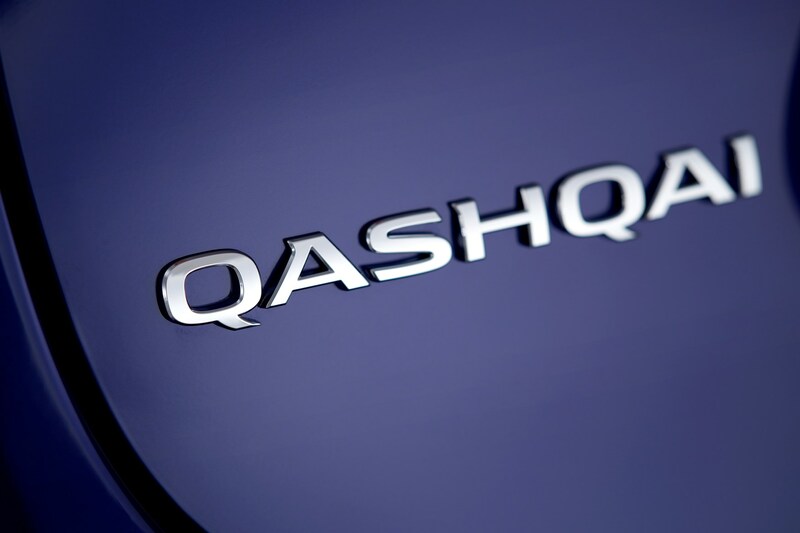 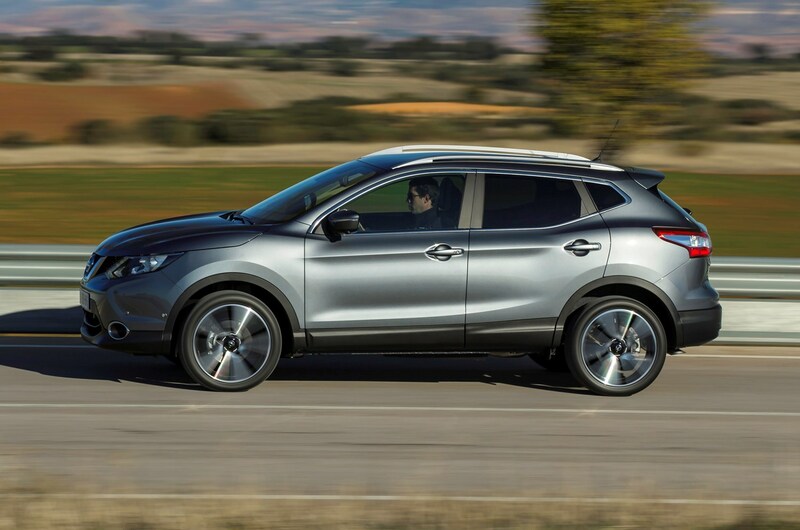 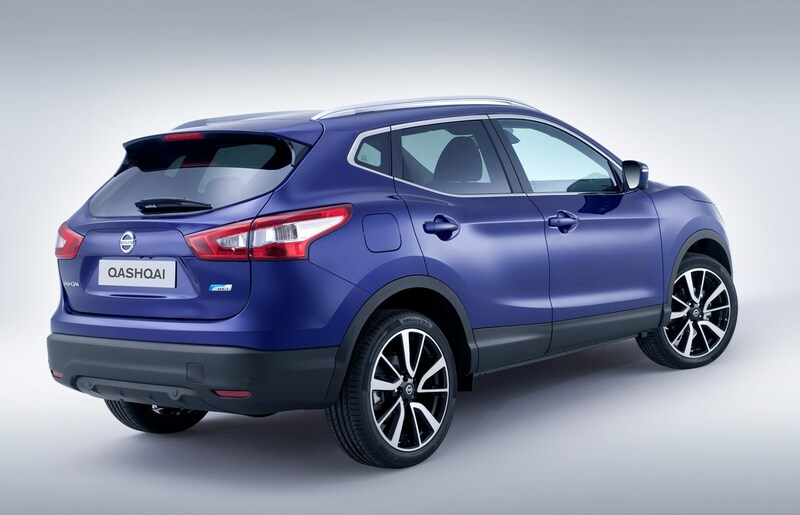 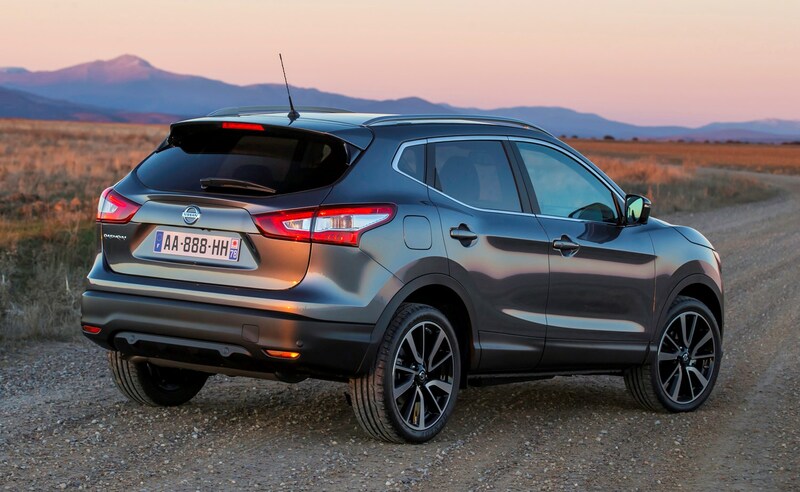 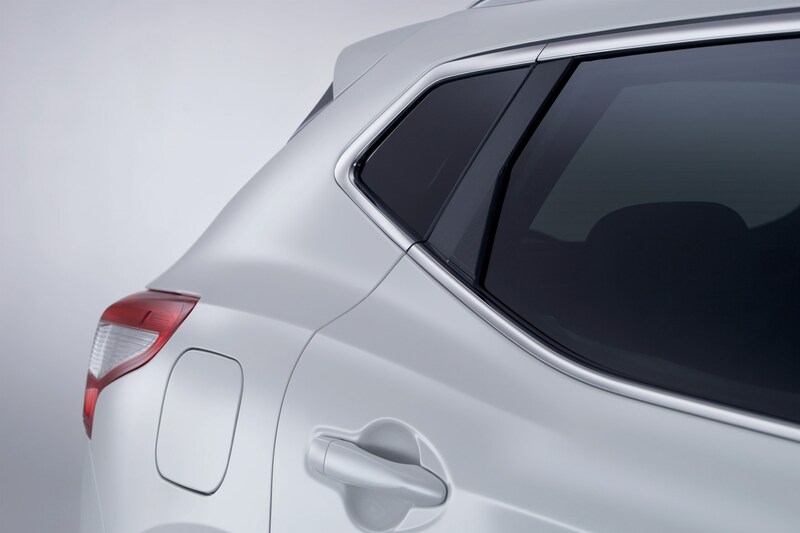 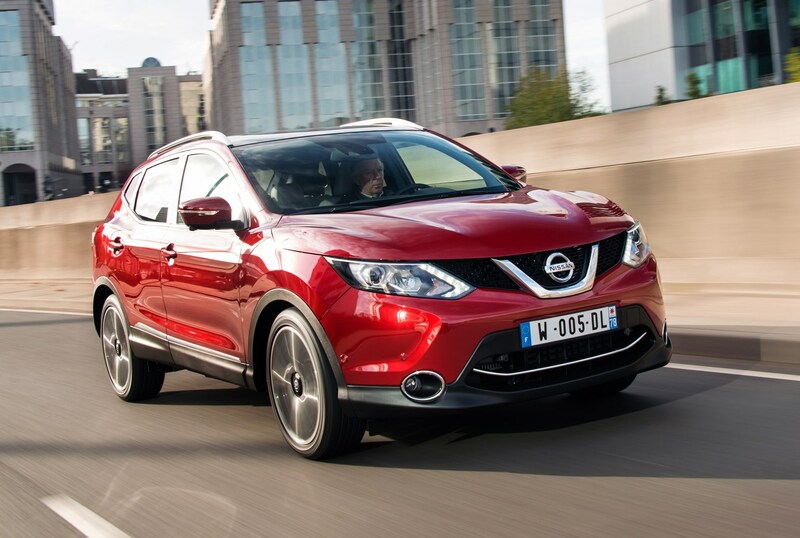 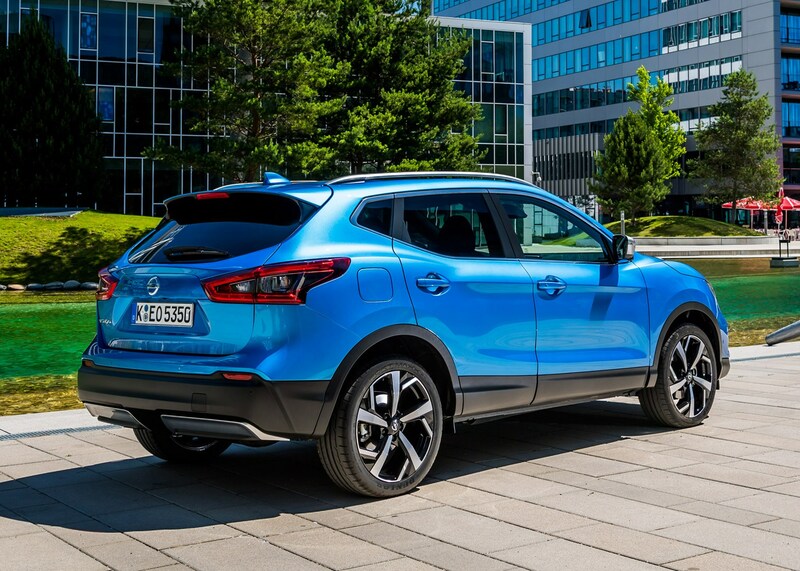 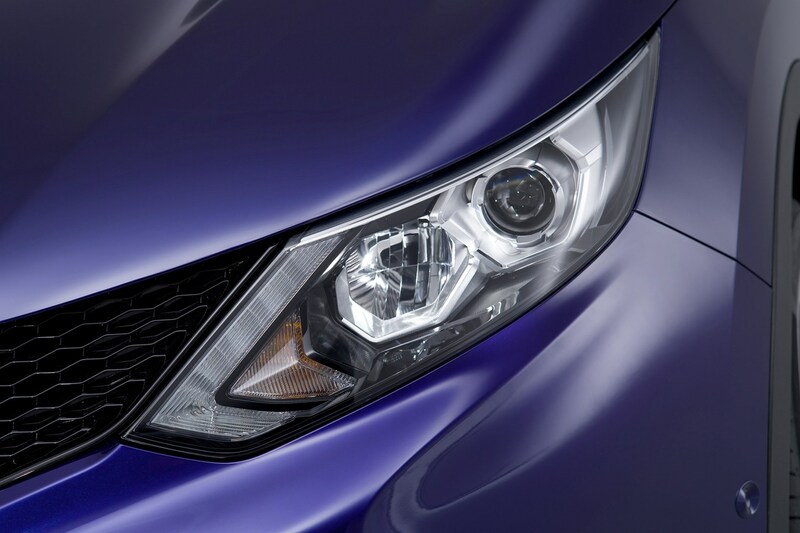 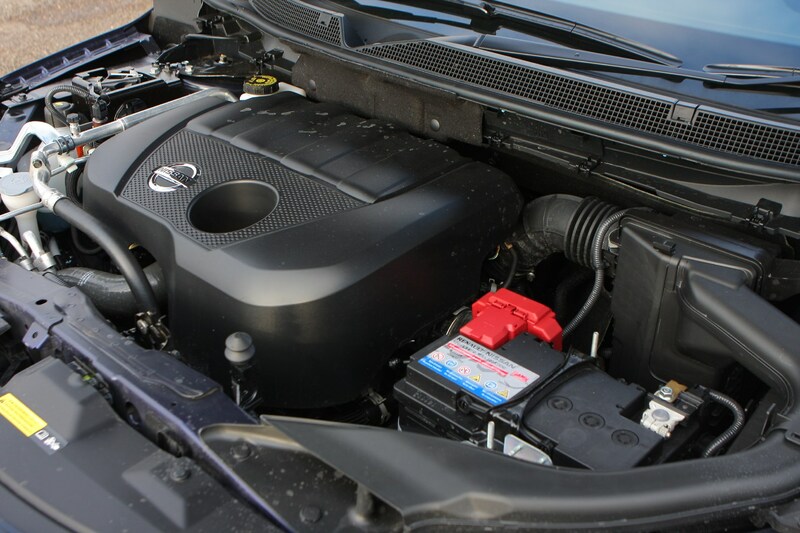 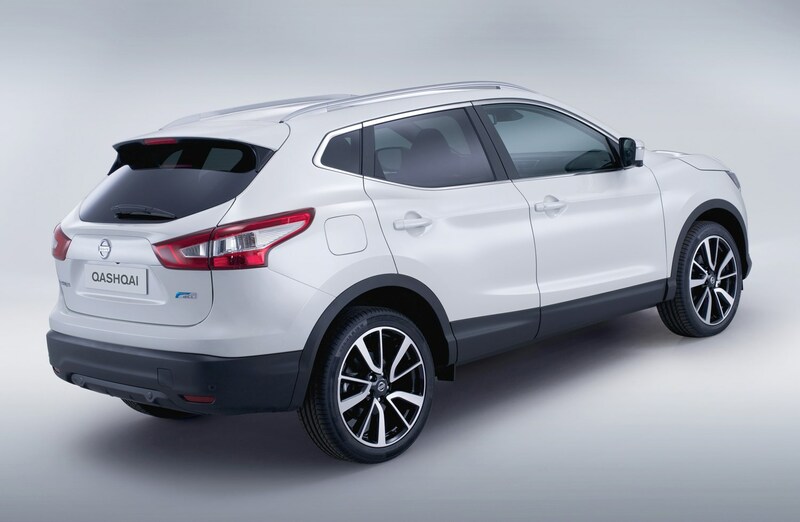 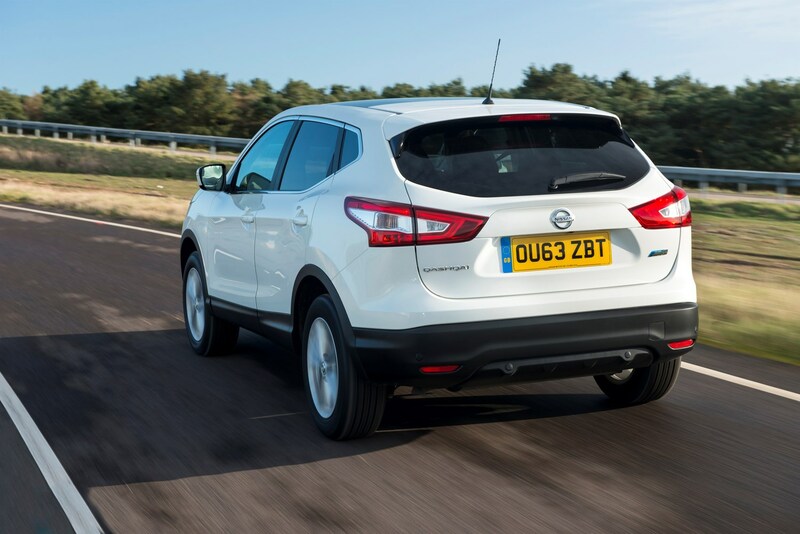 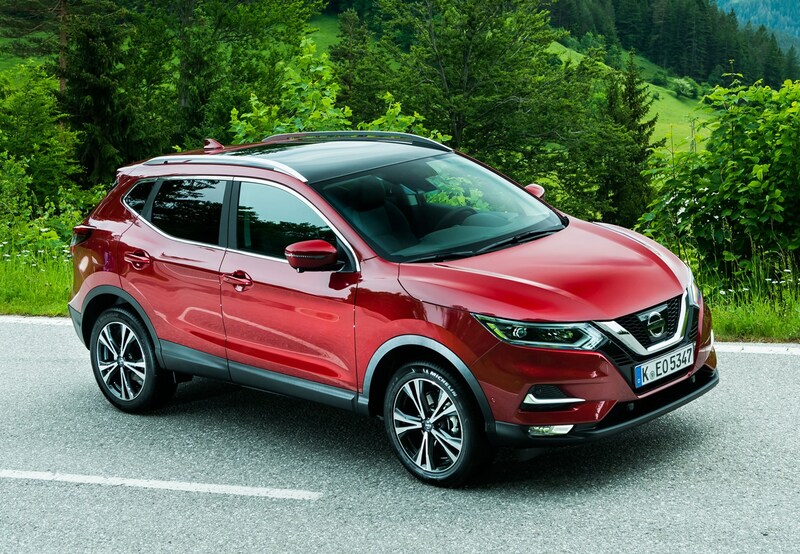 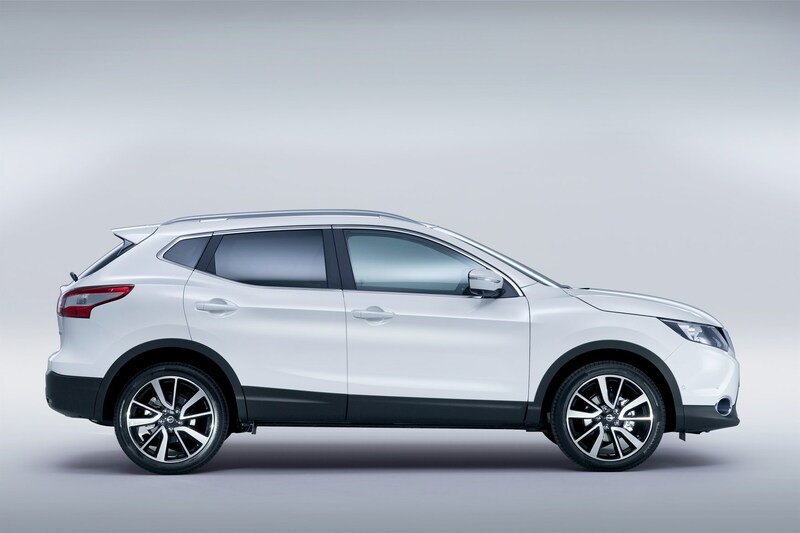 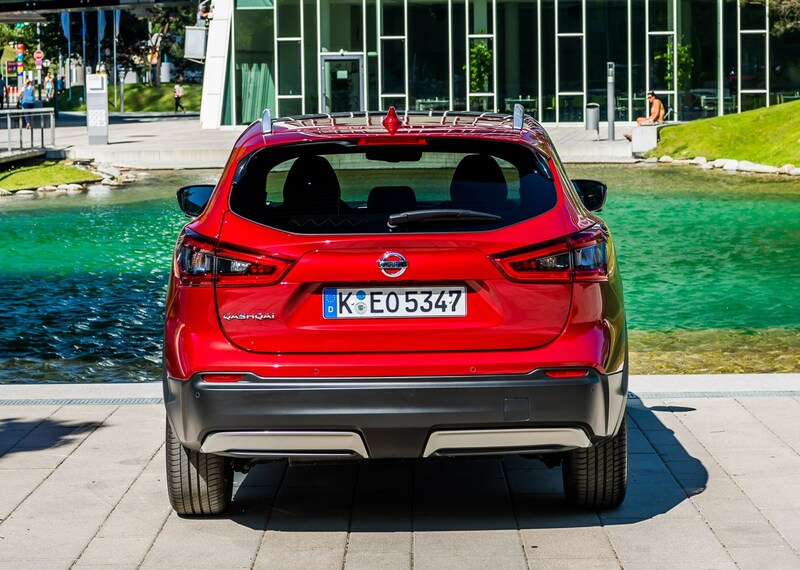 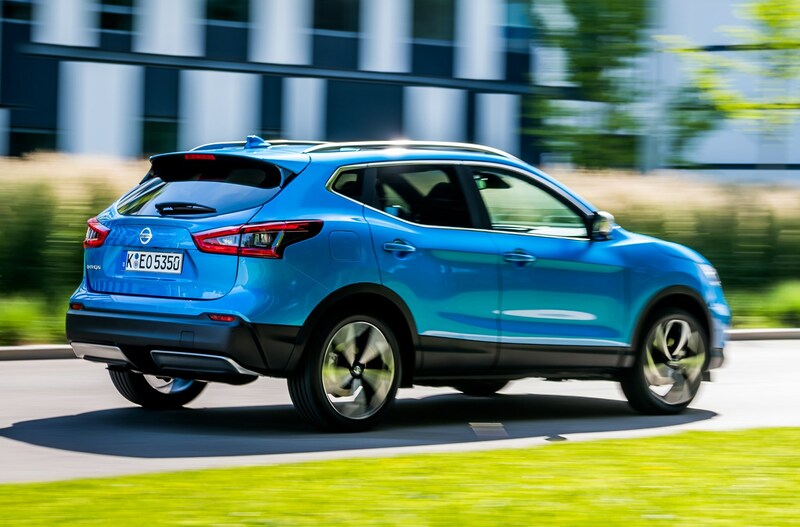 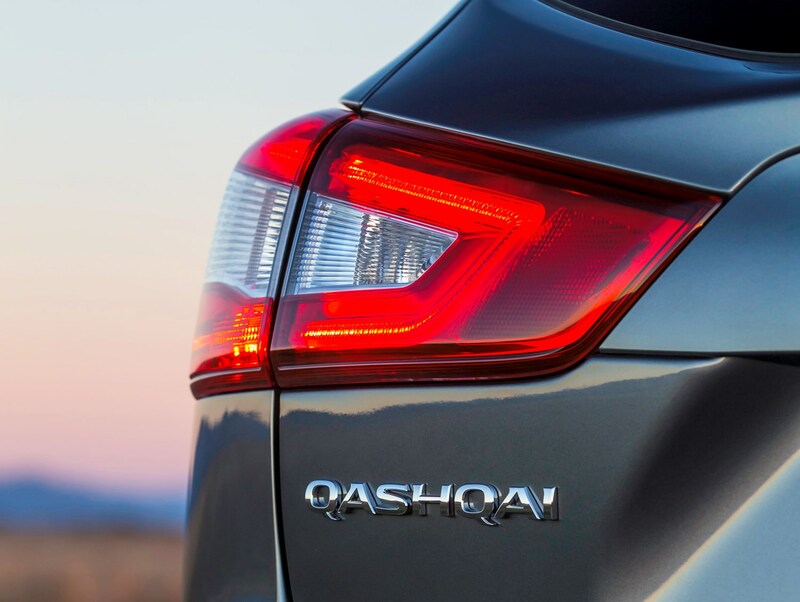 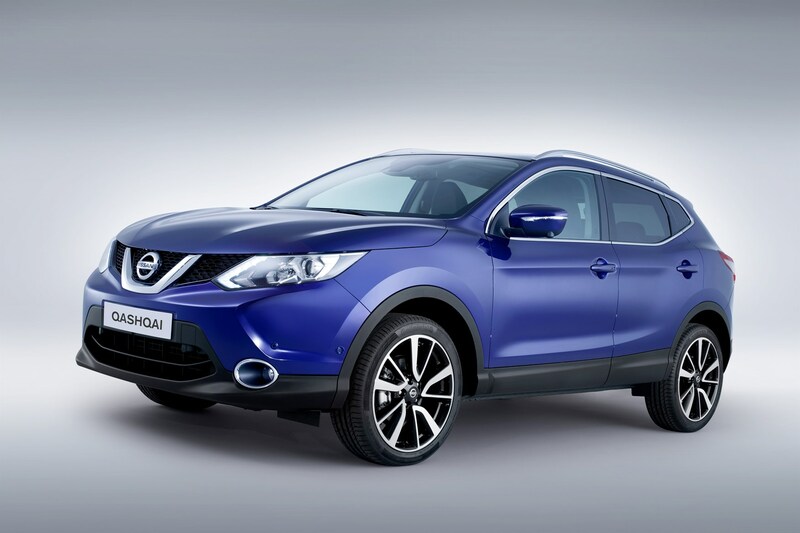 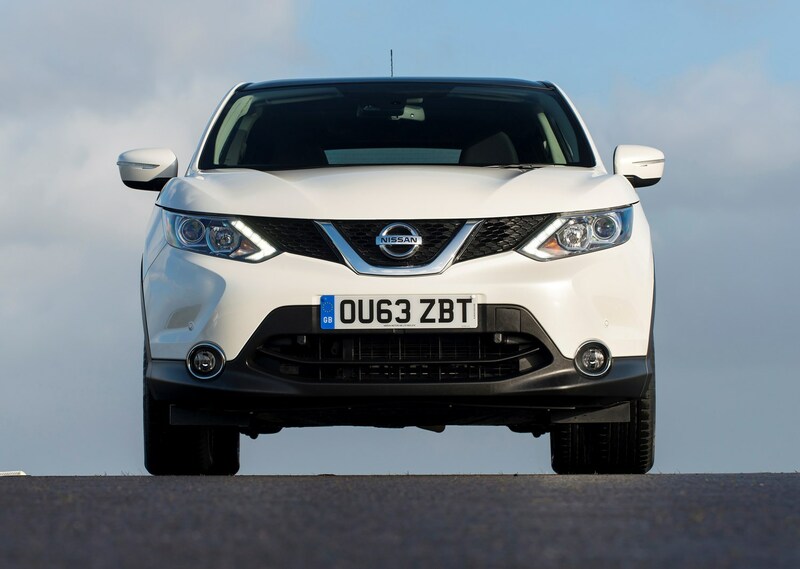 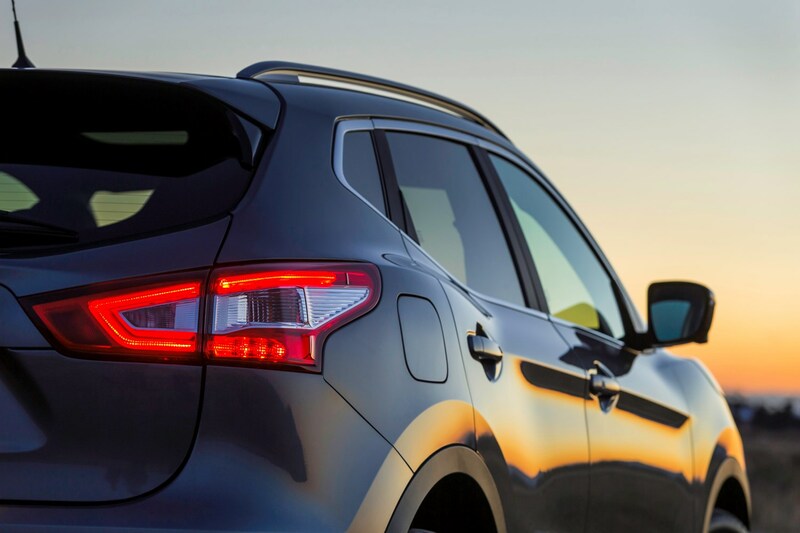 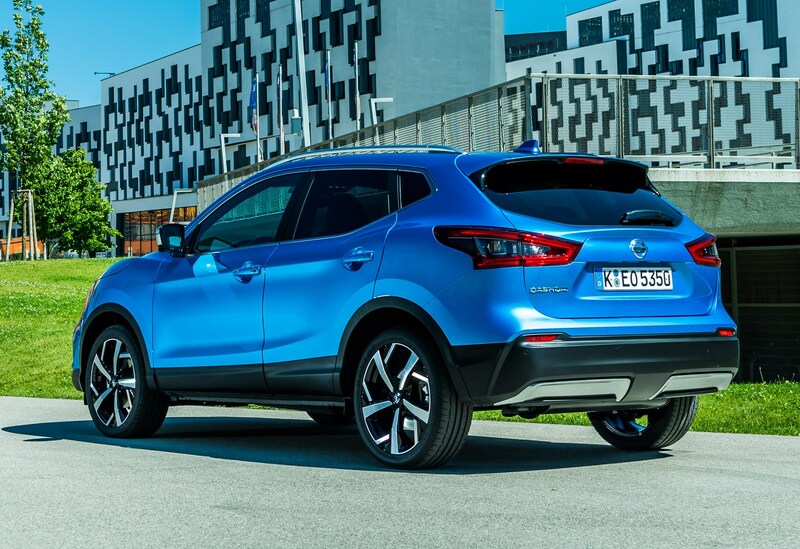 The range of engines available in the Qashqai has varied over its life-cycle. 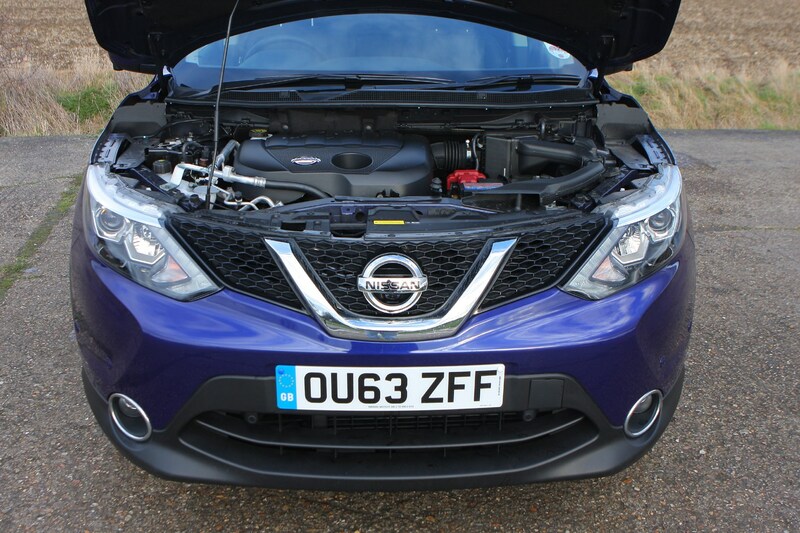 From late 2018, the range consists of a 1.3-litre DIG-T turbo petrol with a choice of two power outputs – 140hp and 160hp. 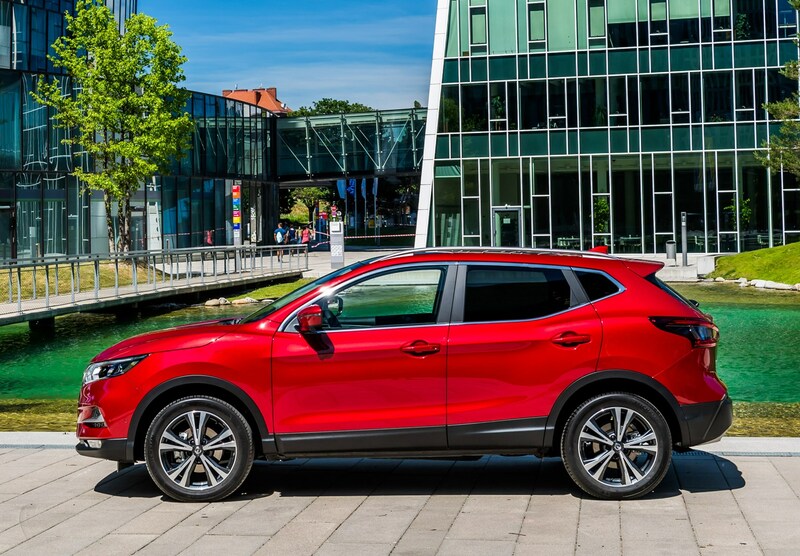 It’s an engine that you’ll also find under the bonnet of the Mercedes-Benz A-Class in the form of the A 200, as well as its Renault Kadjar sister car. 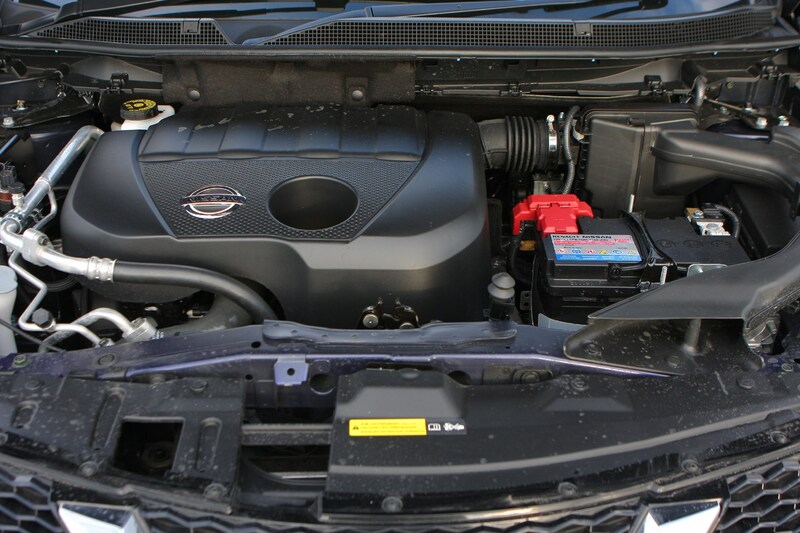 This 1.3-litre turbo replaced the 1.2-litre and 1.6-litre DIG-T units which produced 115hp and 163hp respectively. 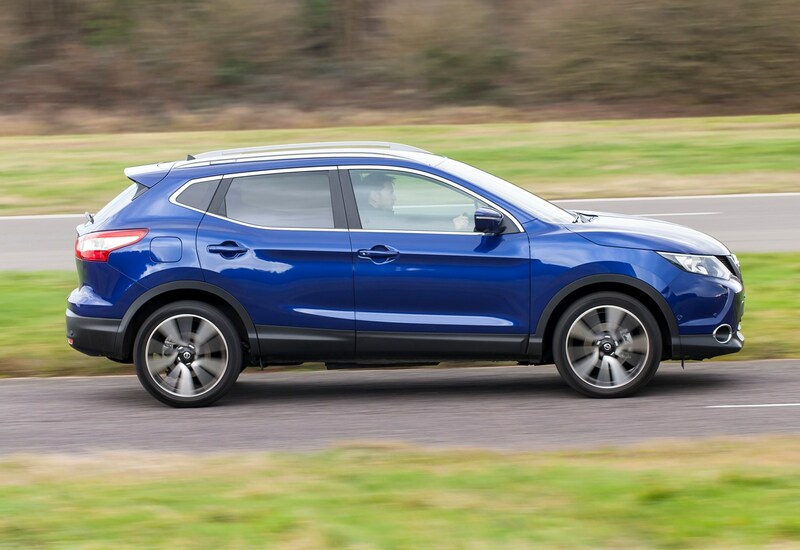 Overall, the new 1.3-litre engine is far smoother and punchier than what it replaces, yet we've yet to see any evidence that it can come close to its claimed average fuel economy in the real world. 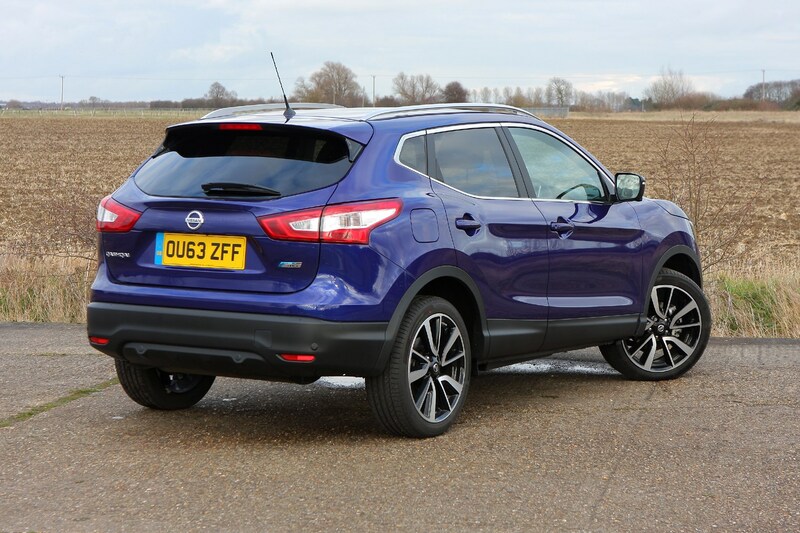 If you prefer diesel power, there’s a familiar 1.5-litre dCi with 115hp and is the most economical option for the Qashqai. 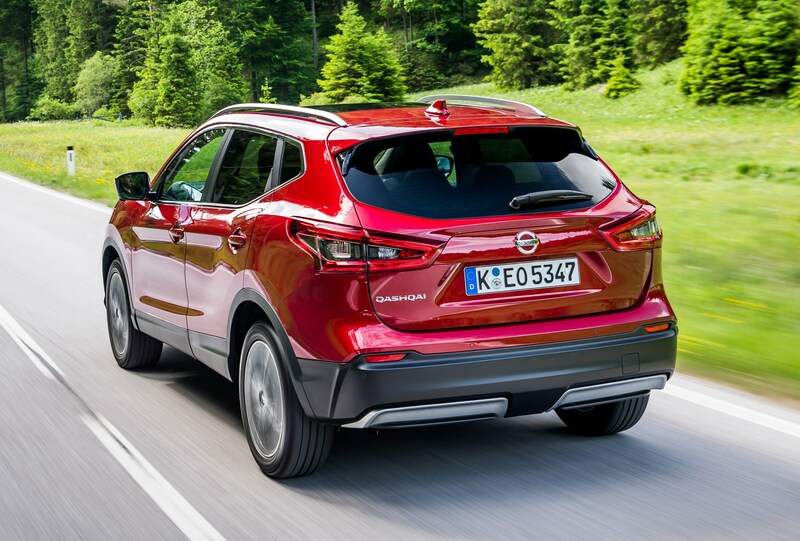 It’s not quick, but with a smooth power delivery and impressive claimed fuel economy, it’s a good choice if you cover long distances. 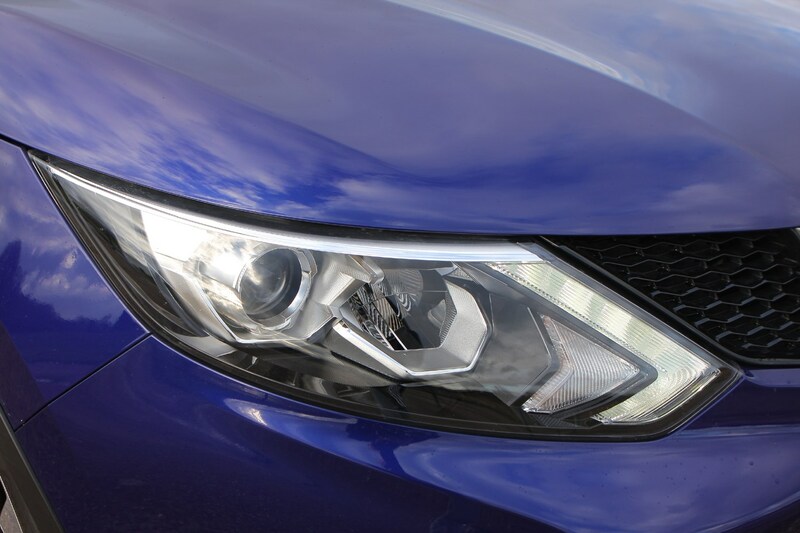 There’s also a 1.6-litre dCi with 130hp, which is replaced in 2019 with a new 1.7-litre dCi diesel with 150hp. 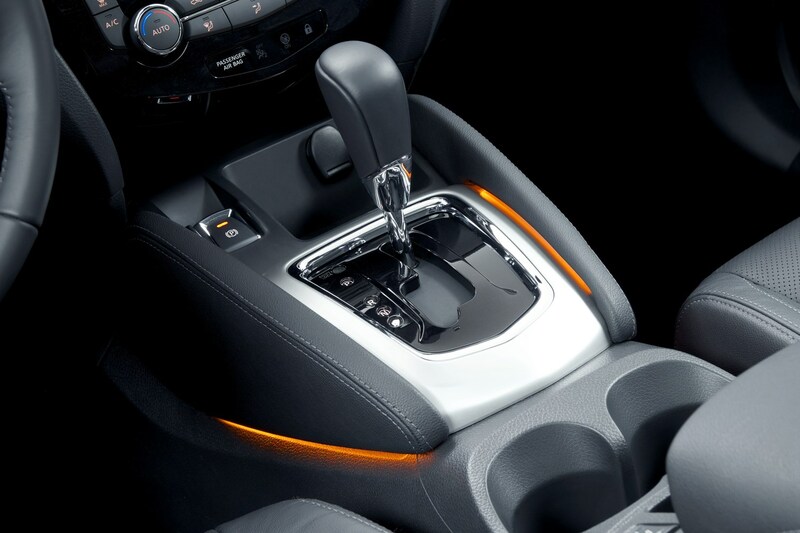 Manual and automatic gearboxes are available. 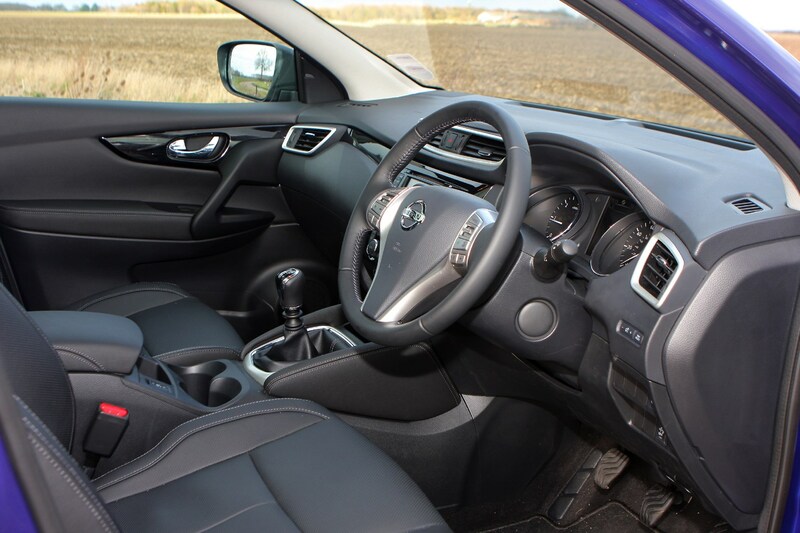 If you buy one of the older 1.2 or 1.6-litre DIG-T engines, your automatic option uses a CVT, while newer 1.3-litre DIG-T cars make use of a newer DCT (dual-clutch transmission) ‘box shared with Renault. 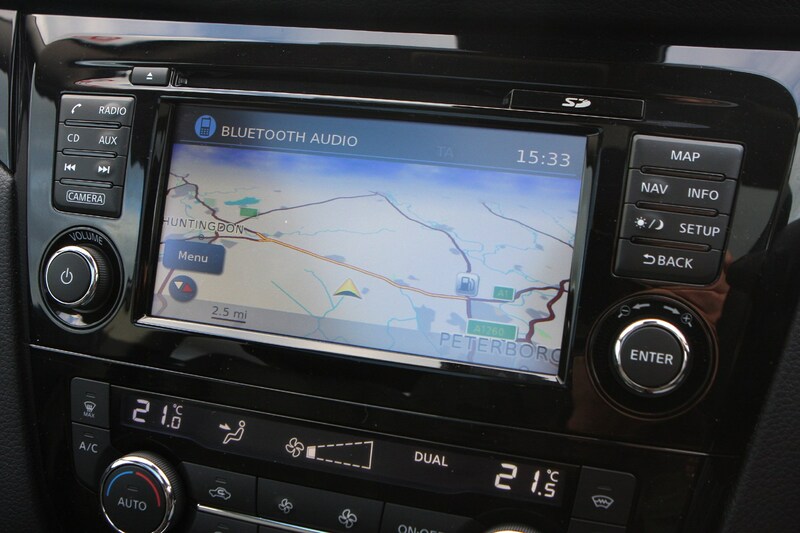 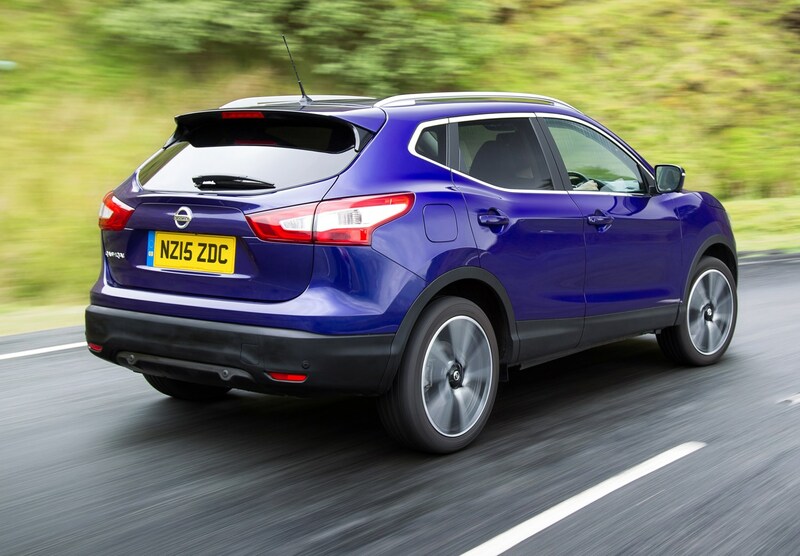 It’s more responsive and smoother than the old CVT, and is a good fit with the Qashqai’s range of updated powertrains. 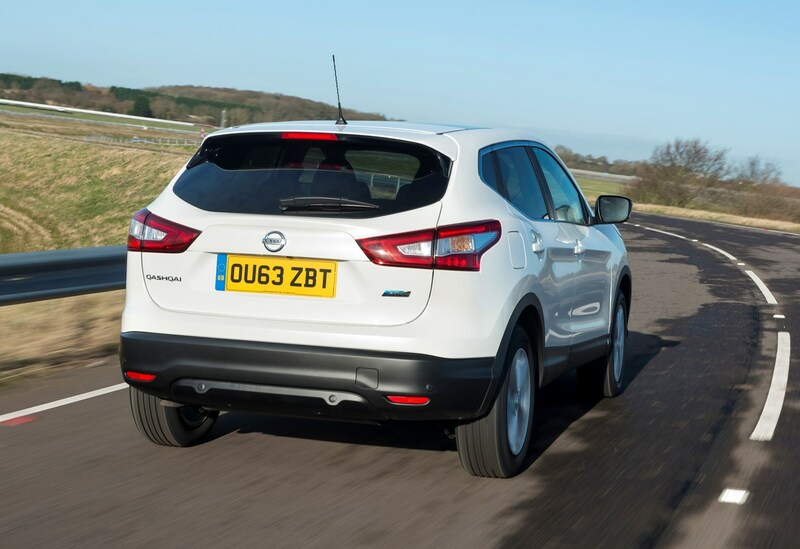 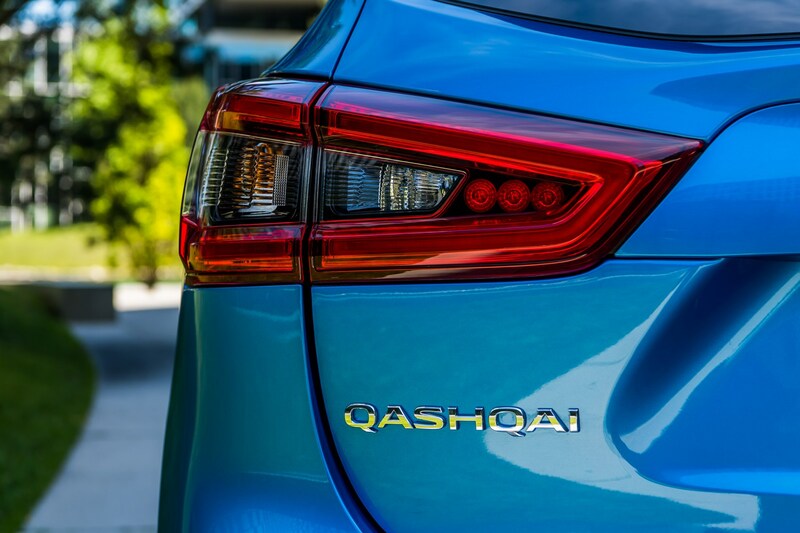 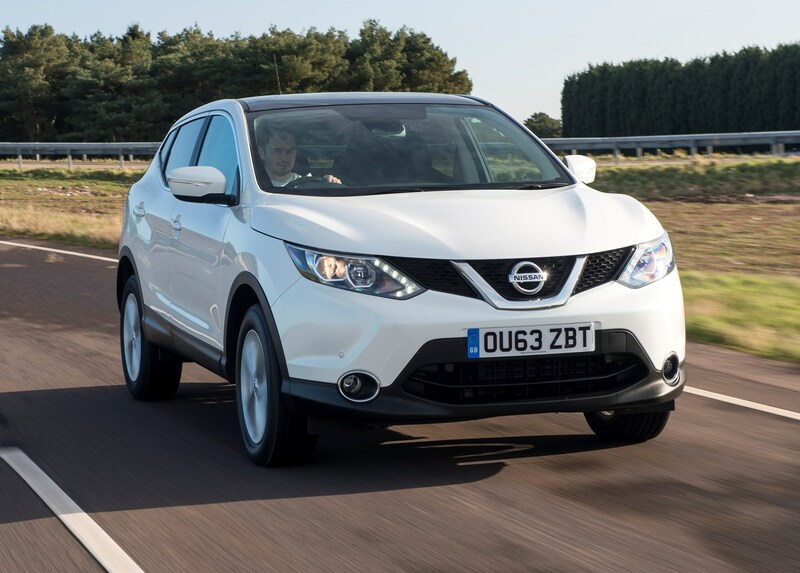 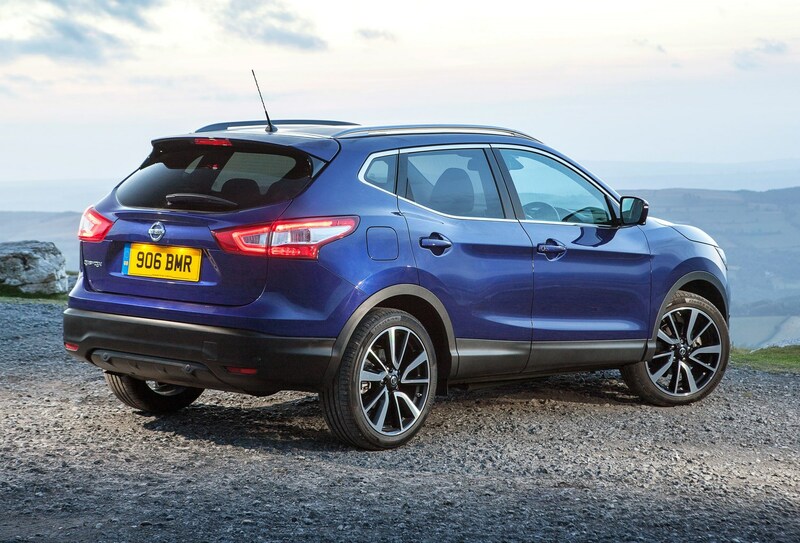 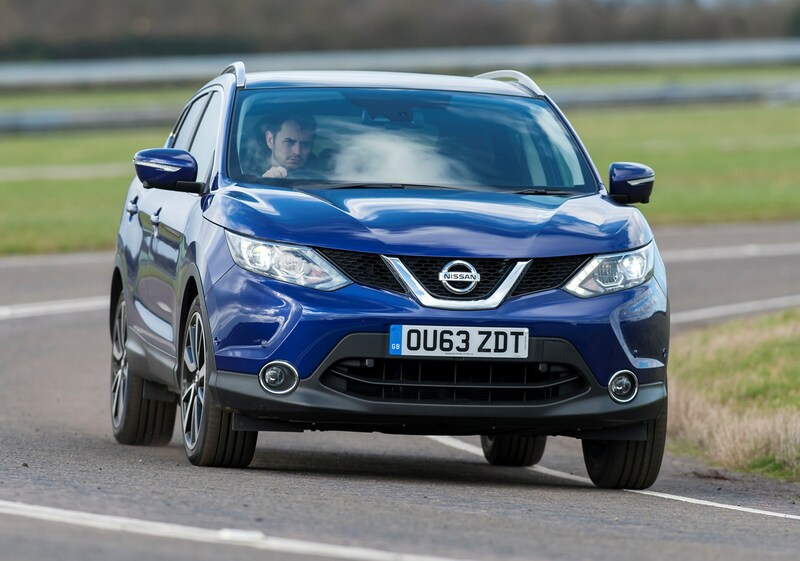 The new Qashqai performs well on the road. 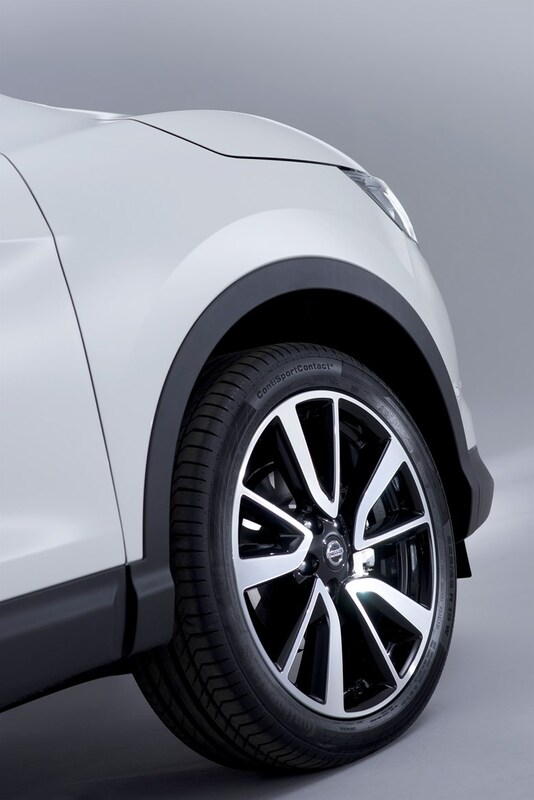 It’s very easy to drive with safe, assured handling and admirable ride comfort, which remains pliant even when specified with large alloy wheels (rims of between 16 and 19 inches are available). 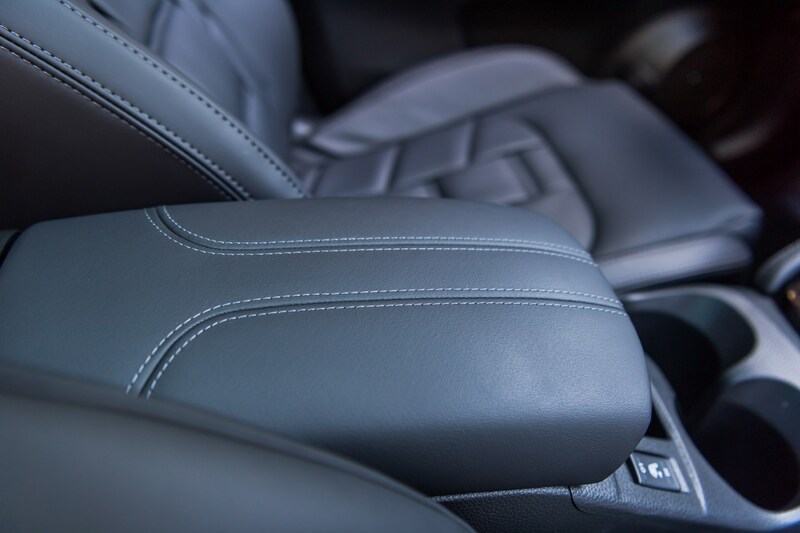 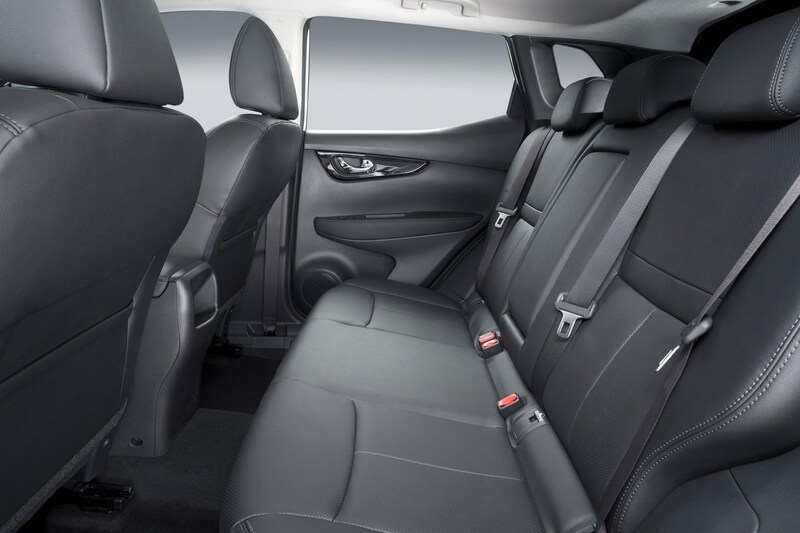 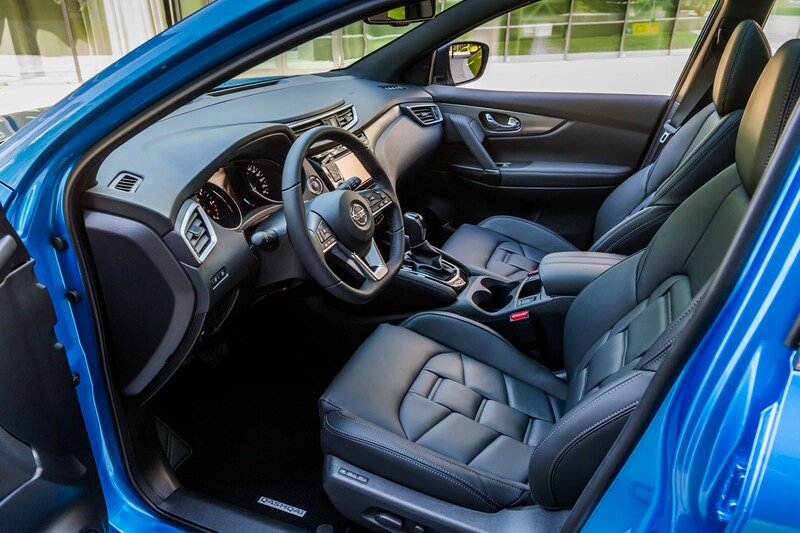 The comfortable-yet-supportive seats on all models help boost the car's comfort levels. 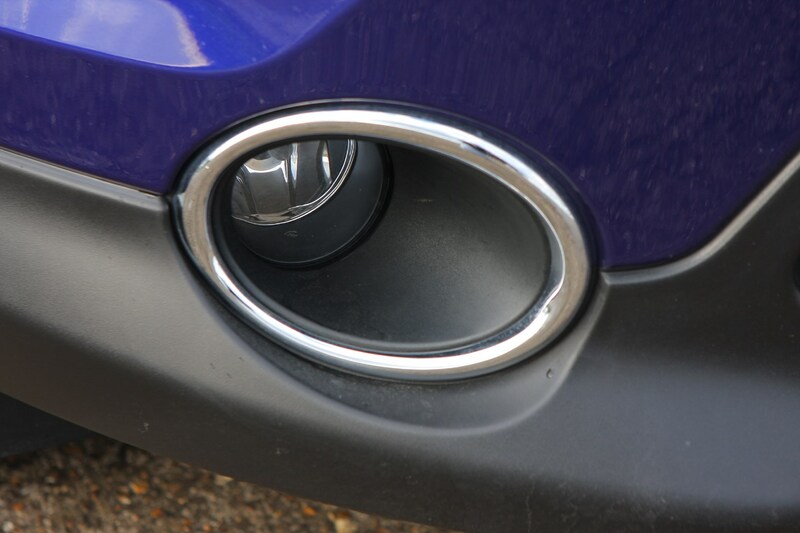 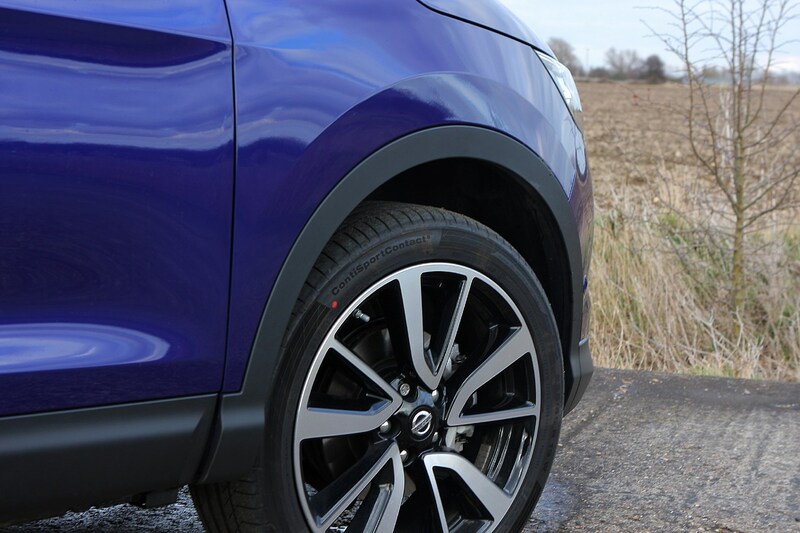 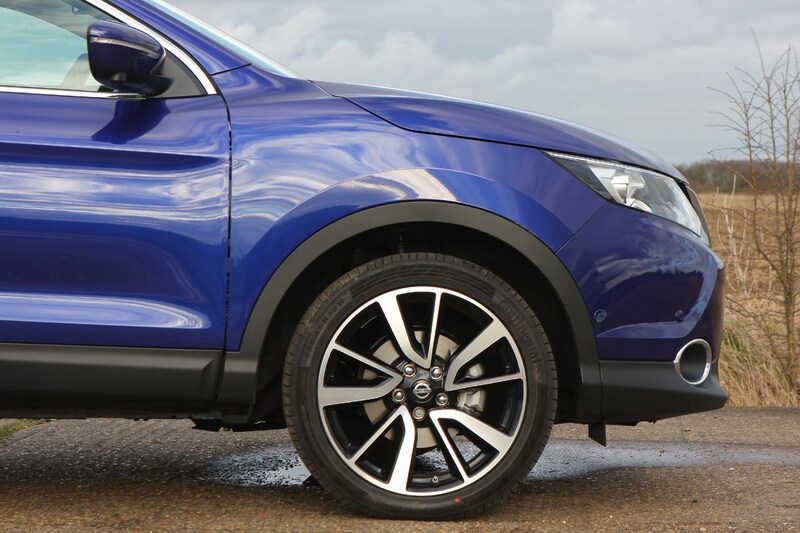 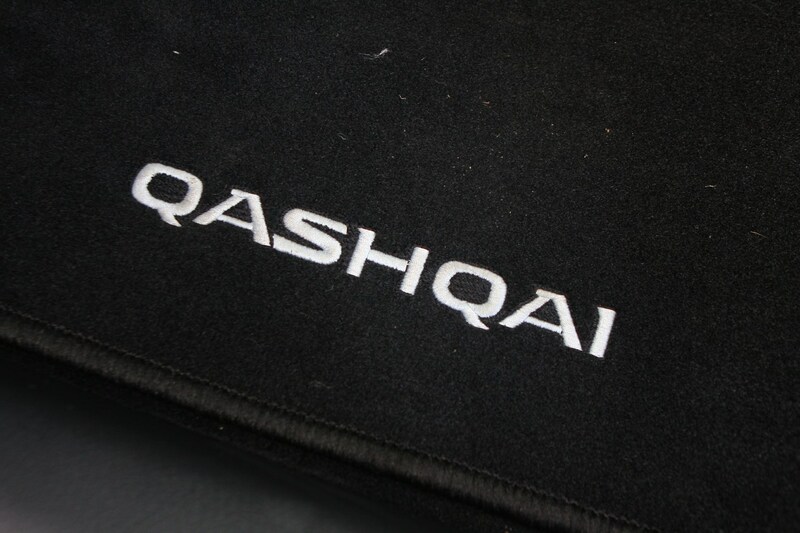 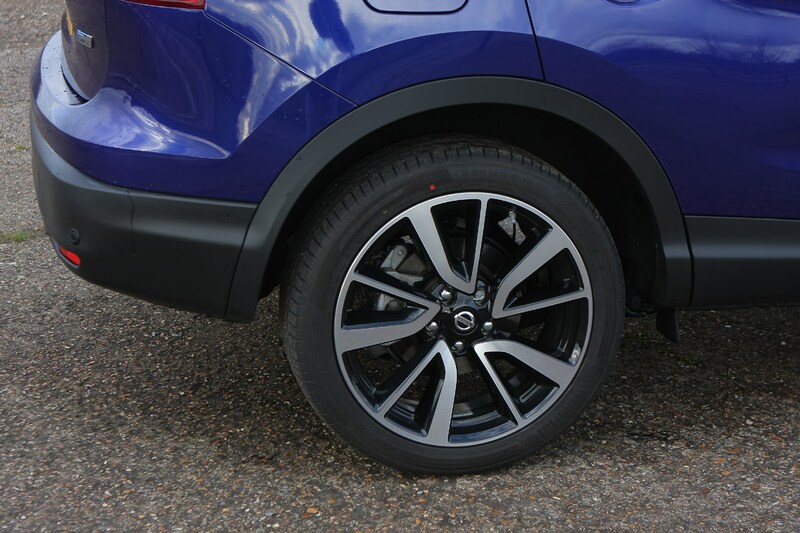 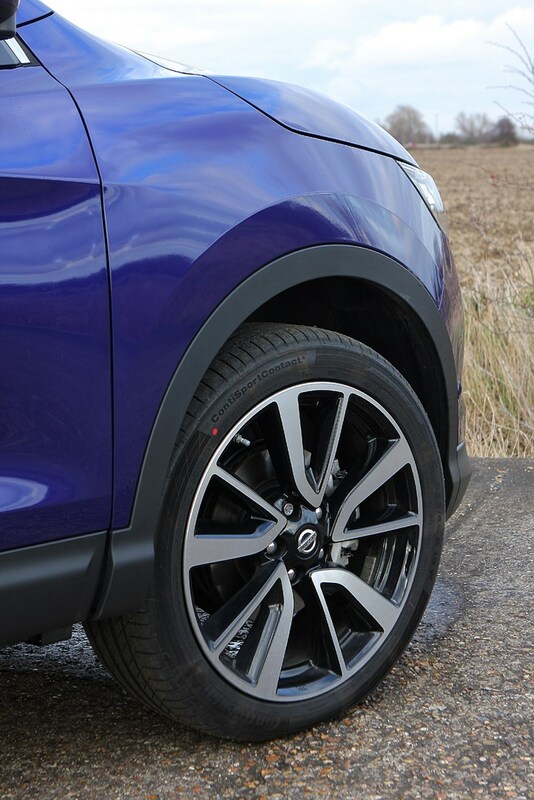 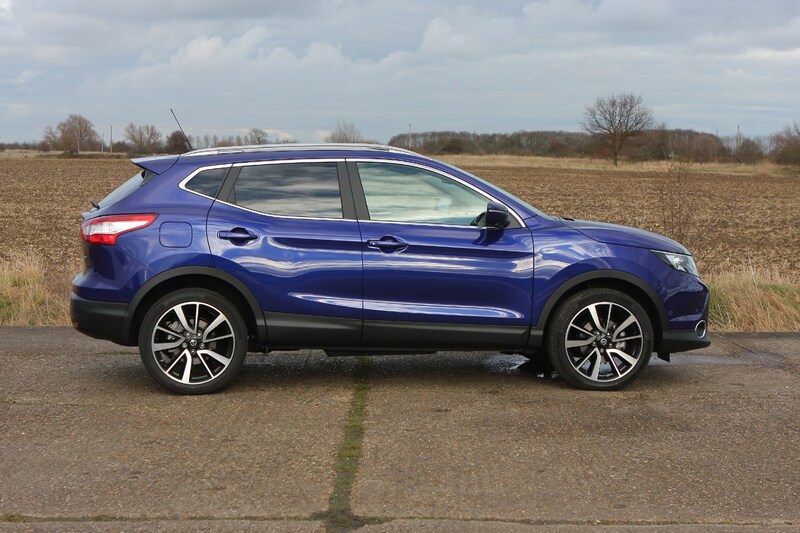 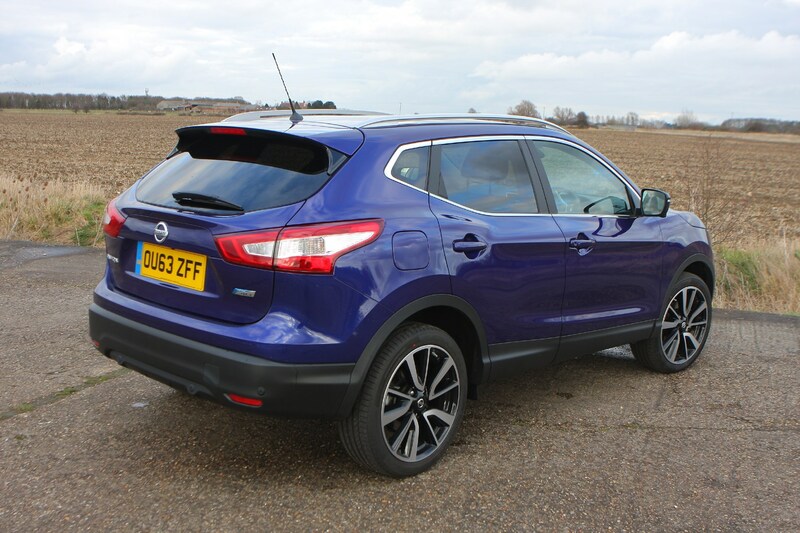 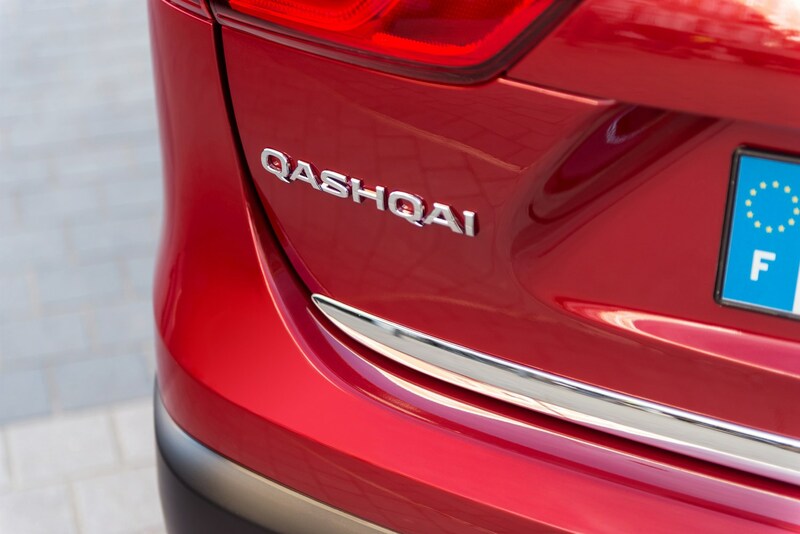 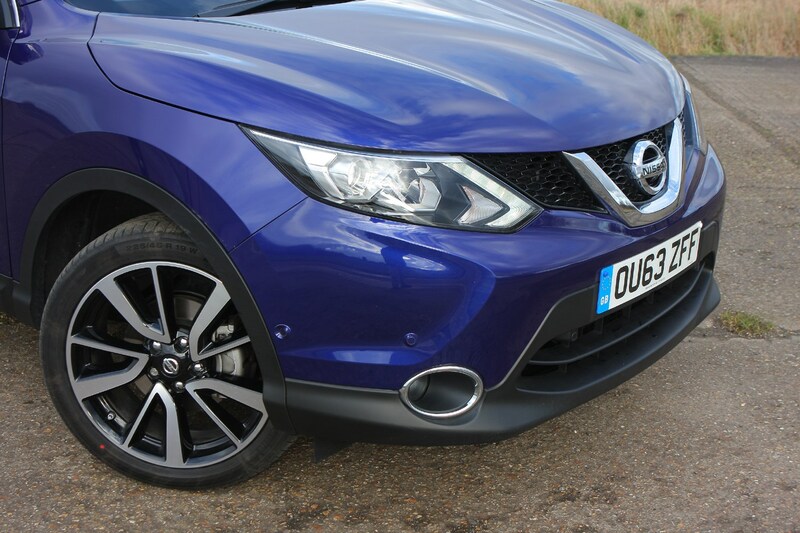 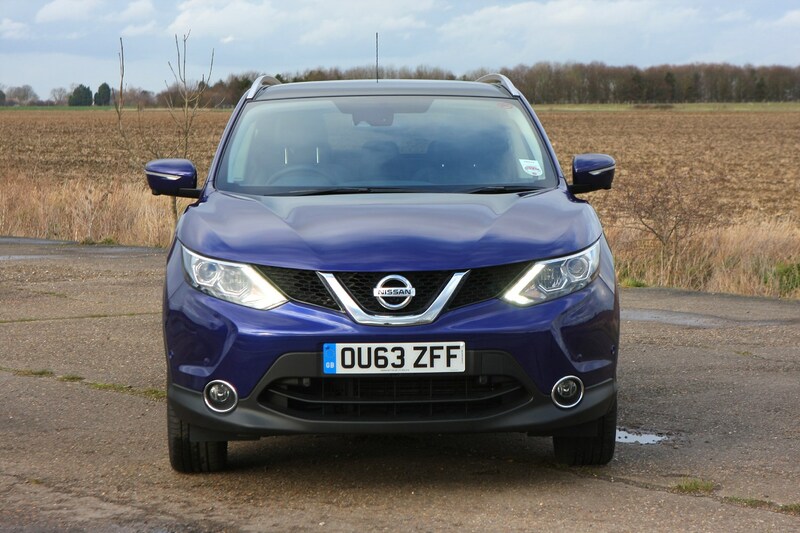 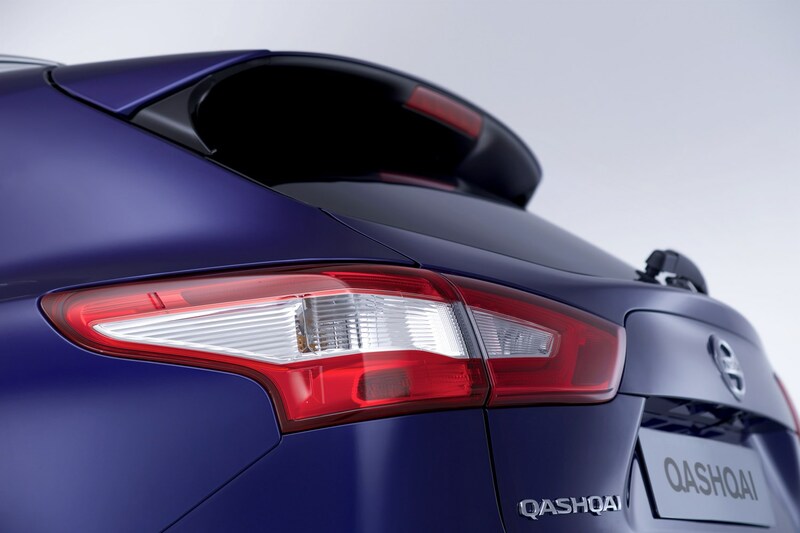 Numerous Qashqai accessories are available to tailor your car (see the Feature section of our review). 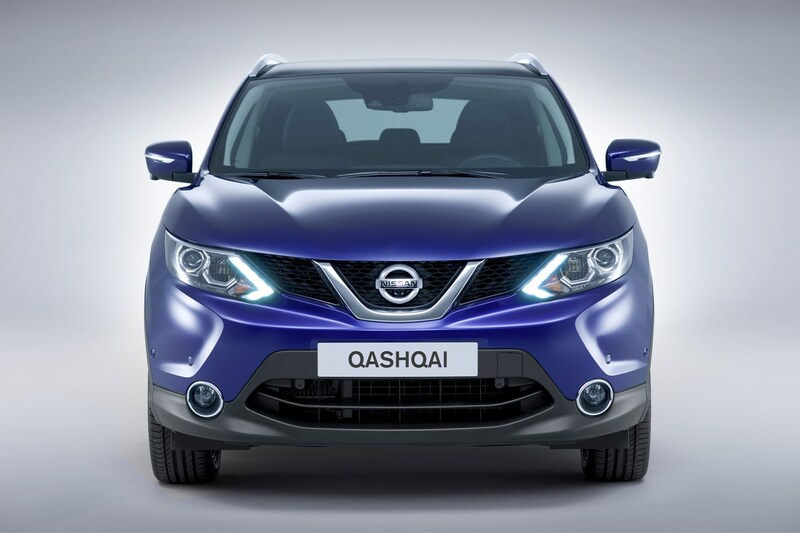 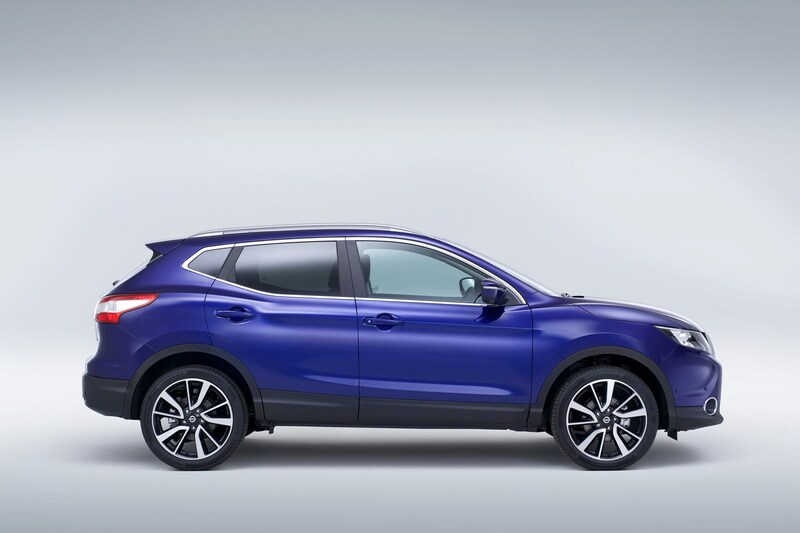 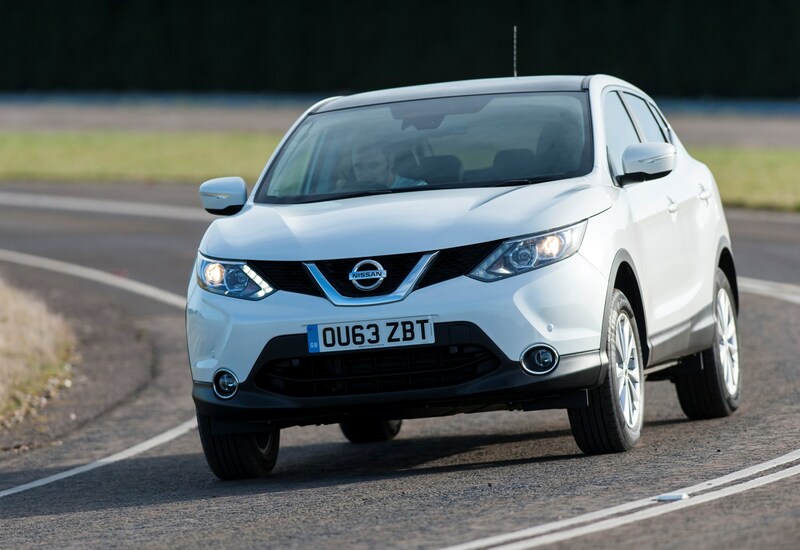 Added to the Qashqai range in 2018 was a suite of driver assistance and safety systems dubbed ProPilot. 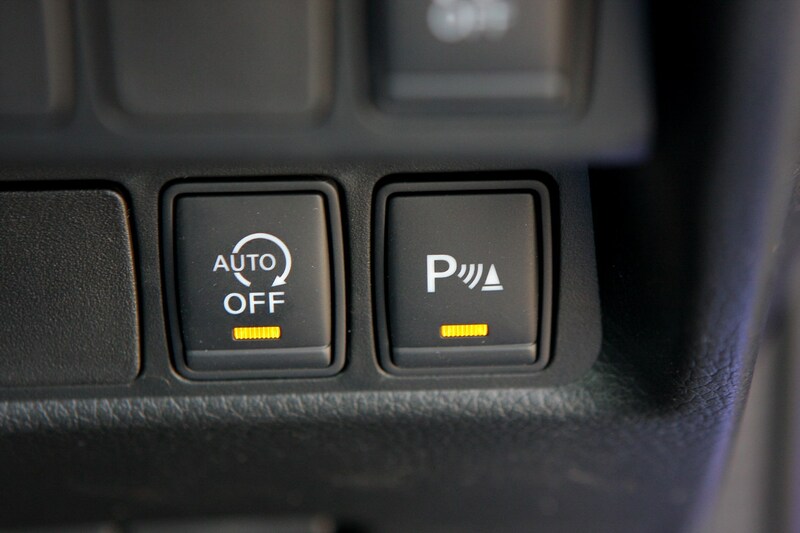 Launching as a standalone model called Pilot One Edition, ProPilot comes with adaptive cruise control with traffic jam assist (on automatic cars) as well as blindspot monitoring and intelligent lane keep assist systems to keep you in the middle of your lane without straying across the lines. 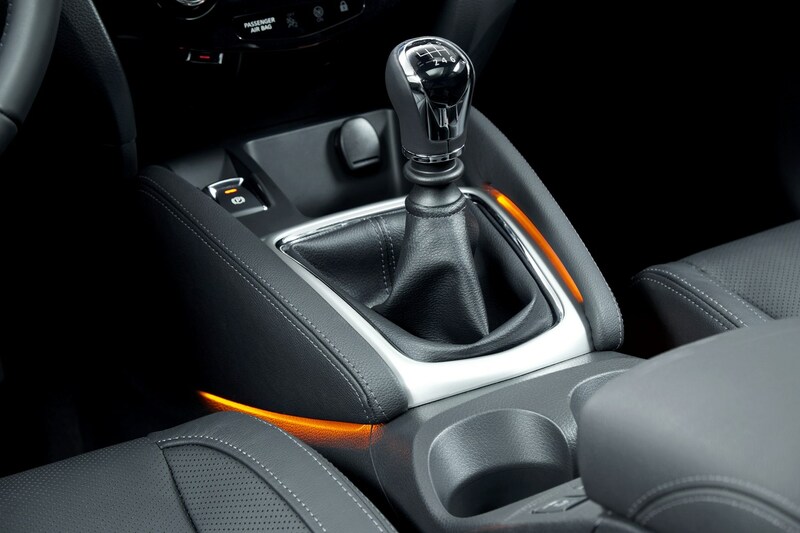 This equipment is also available as an option pack called Drive Assist Pack on models with manual gearboxes. 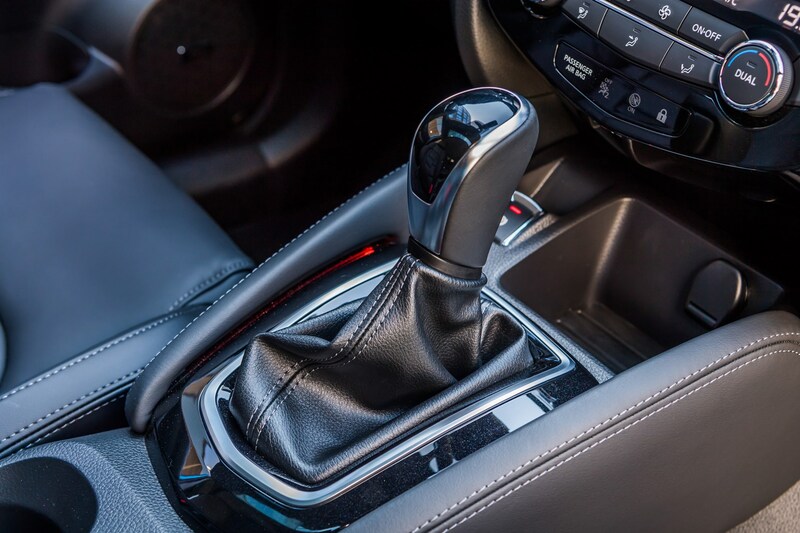 It comes with all the equipment listed above, but without traffic jam assist, as this only works on cars with automatic transmissions. 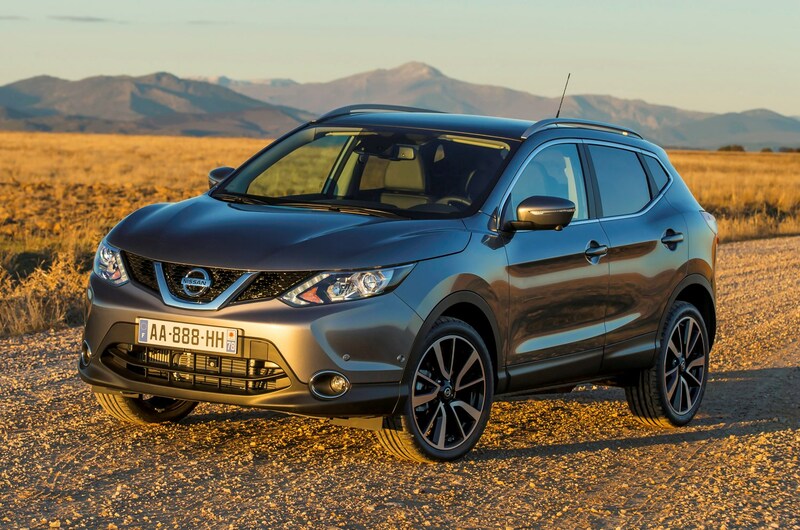 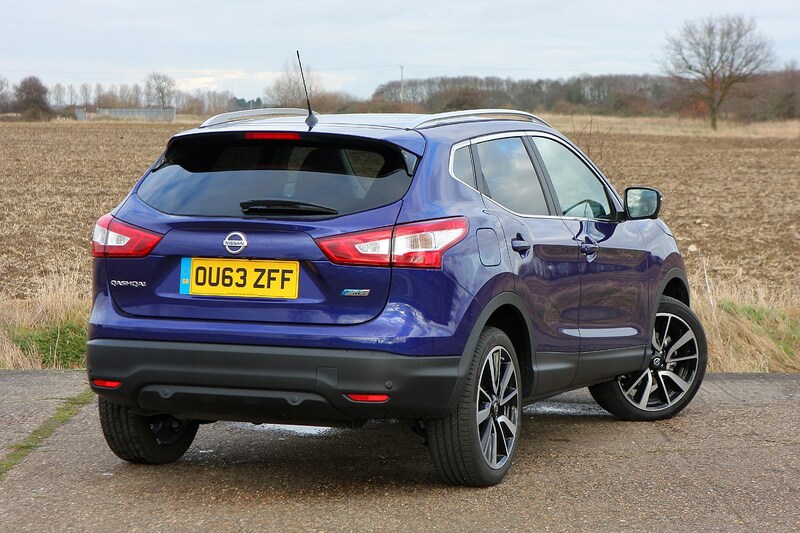 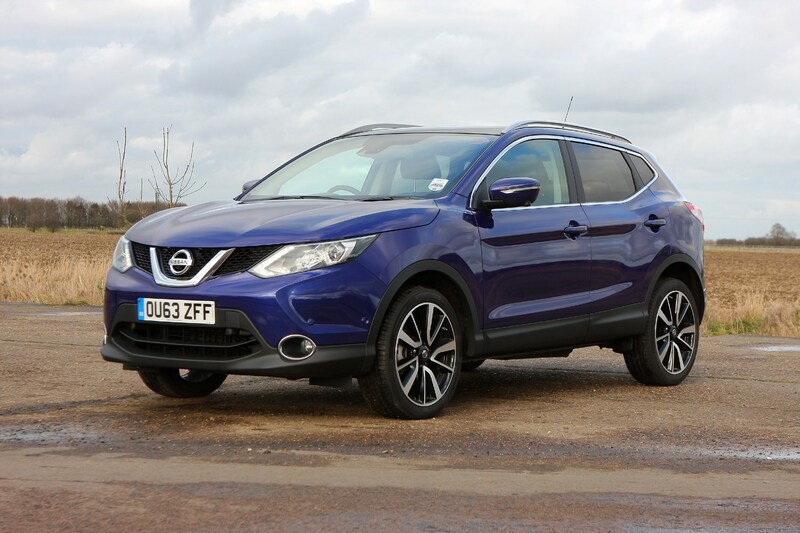 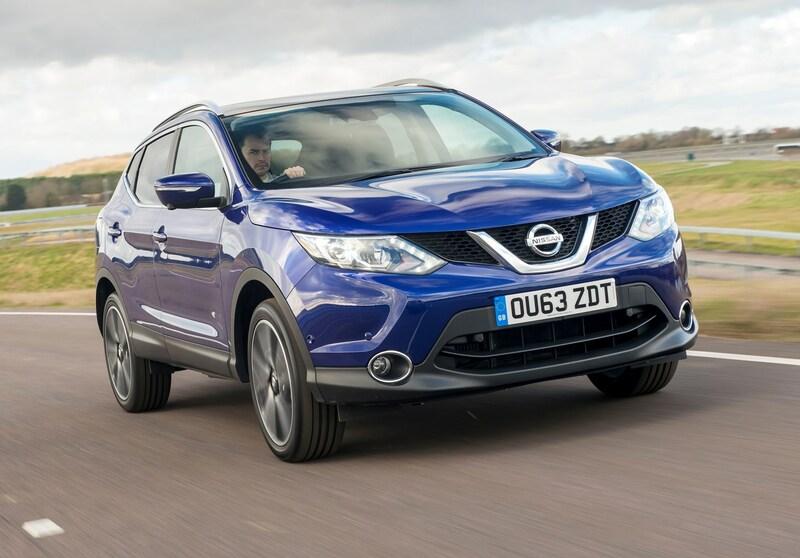 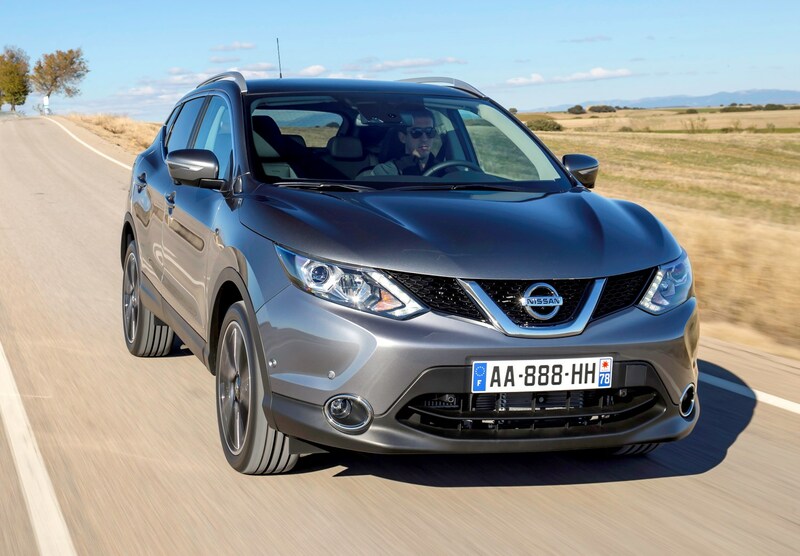 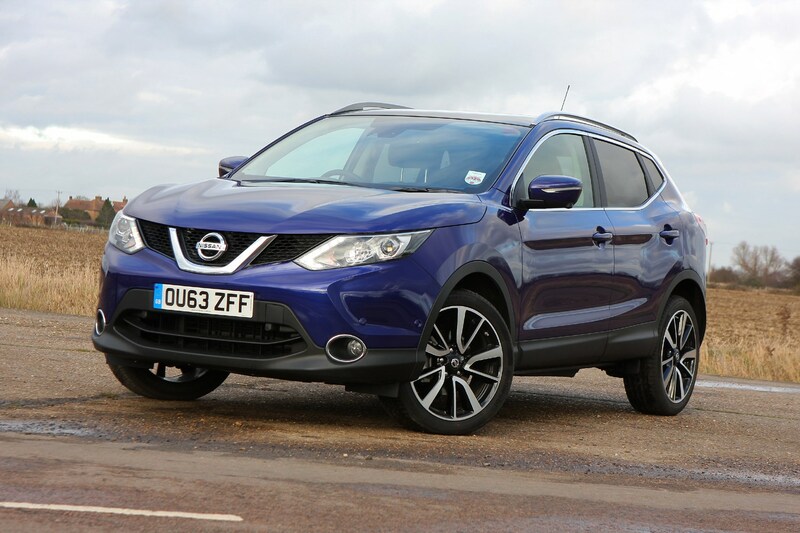 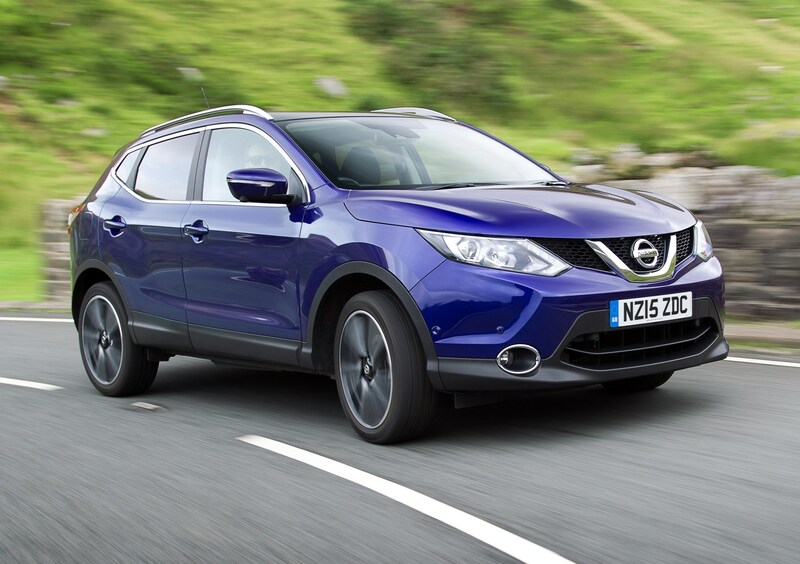 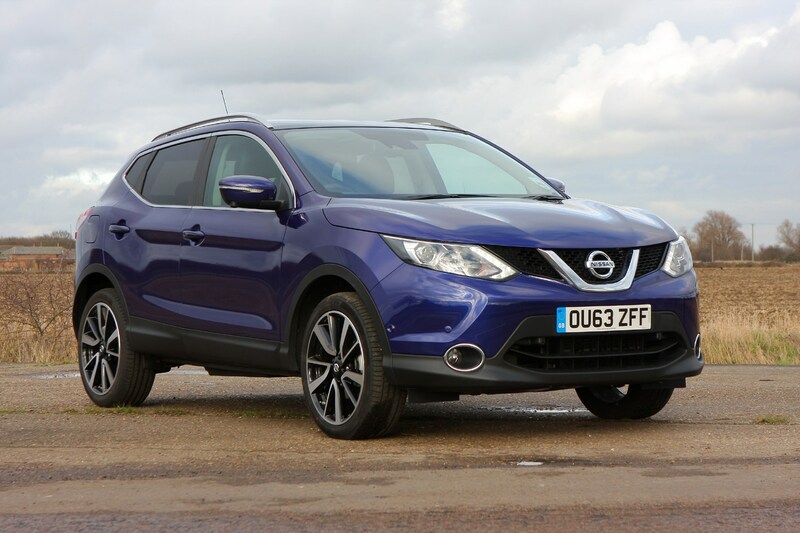 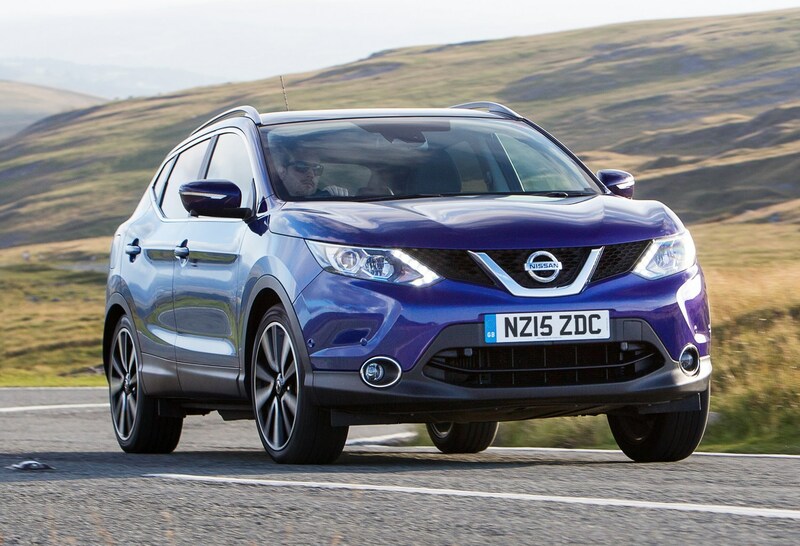 Should you buy a Nissan Qashqai? 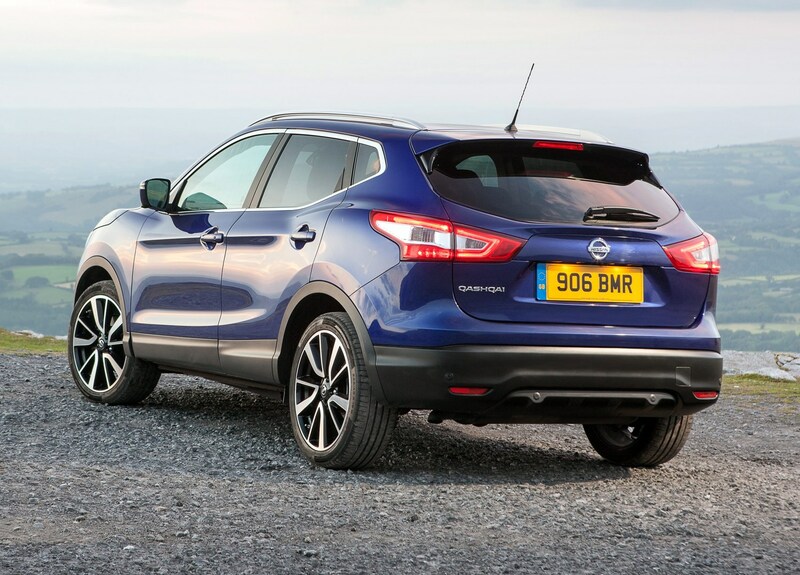 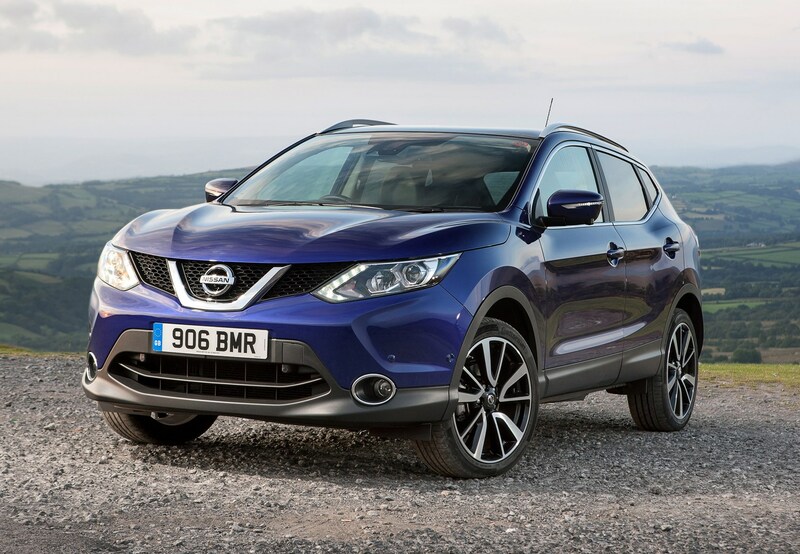 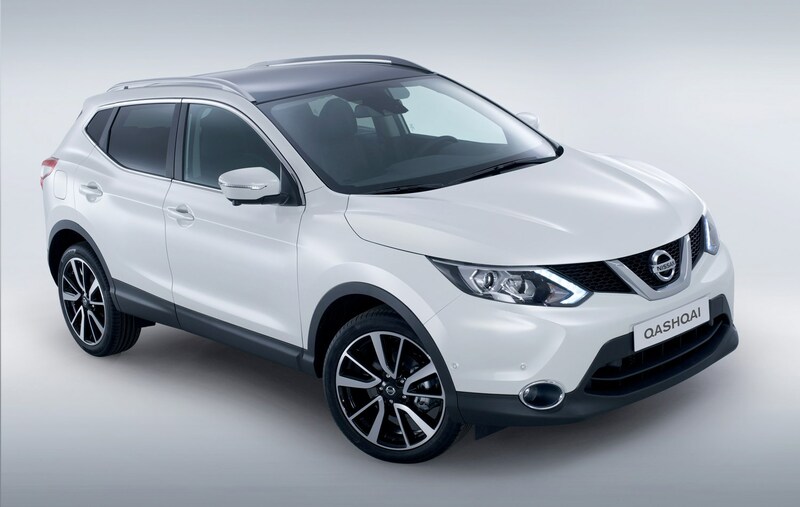 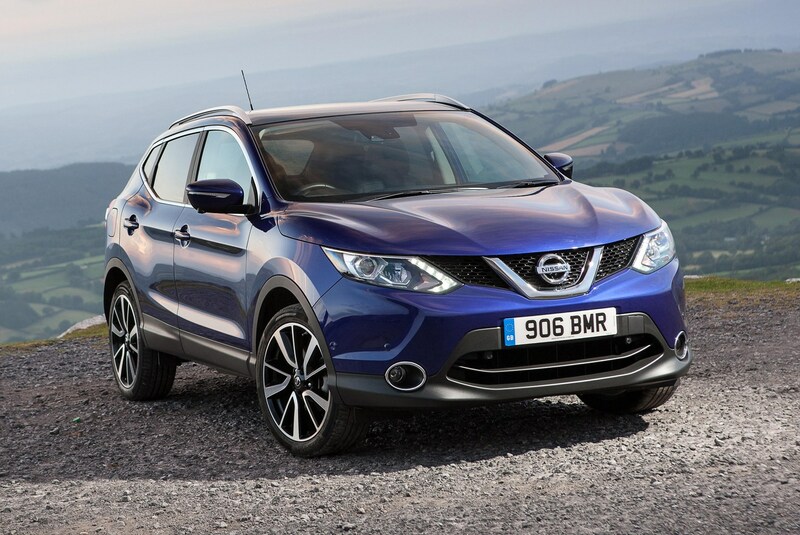 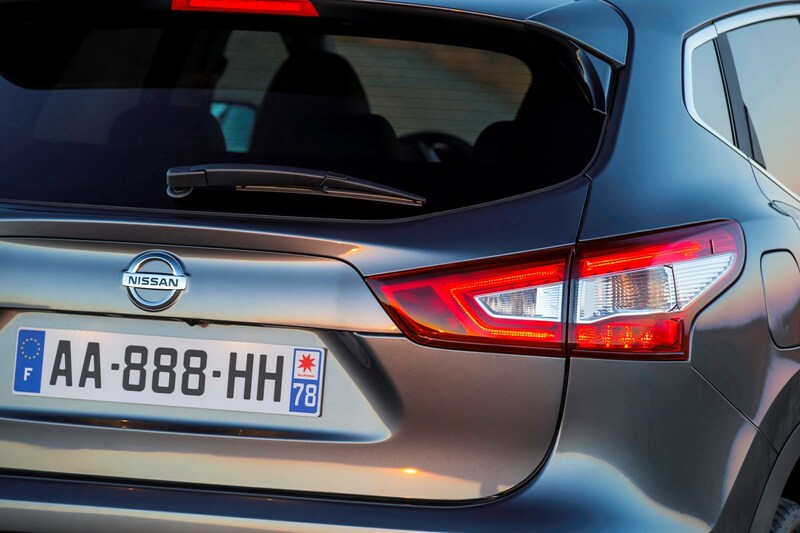 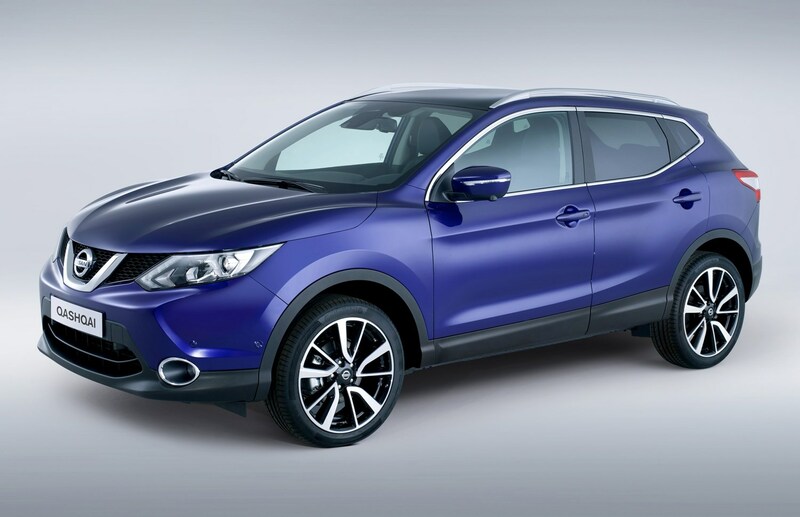 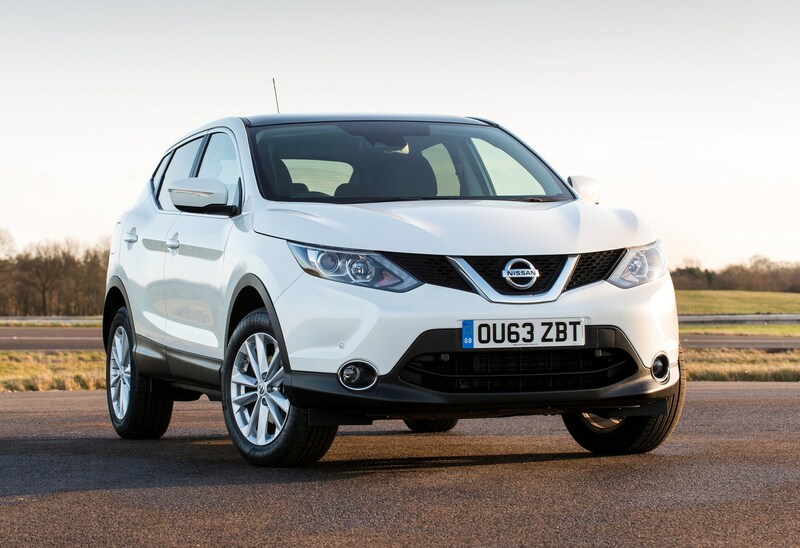 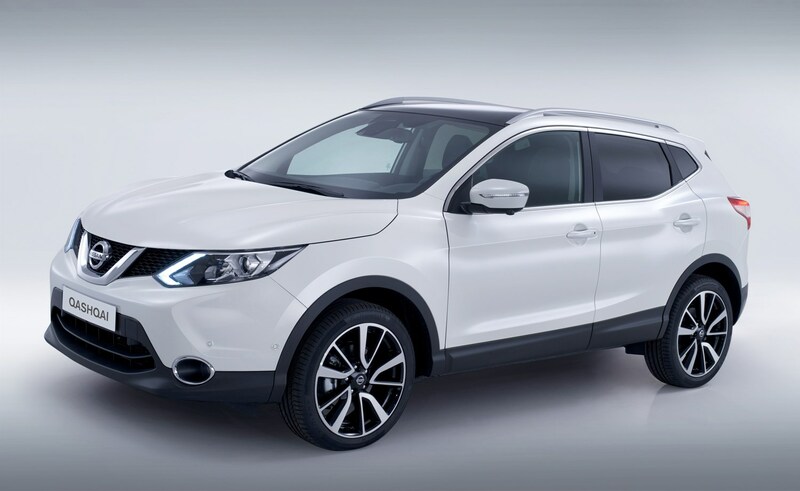 The Nissan Qashqai remains one of the default choices in the family crossover sector for good reason. 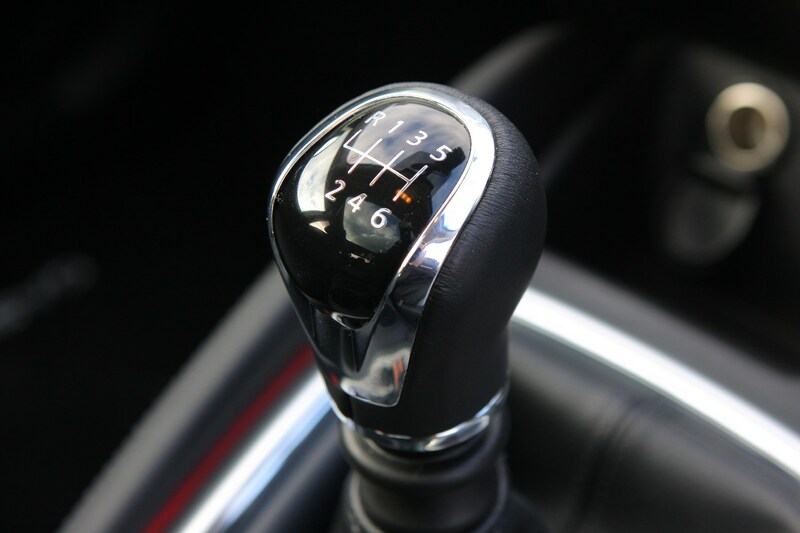 It may not be outstanding in any one area, but cleverly achieves high scores in virtually every discipline, making it a tricky benchmark to overlook – especially at such democratic prices.